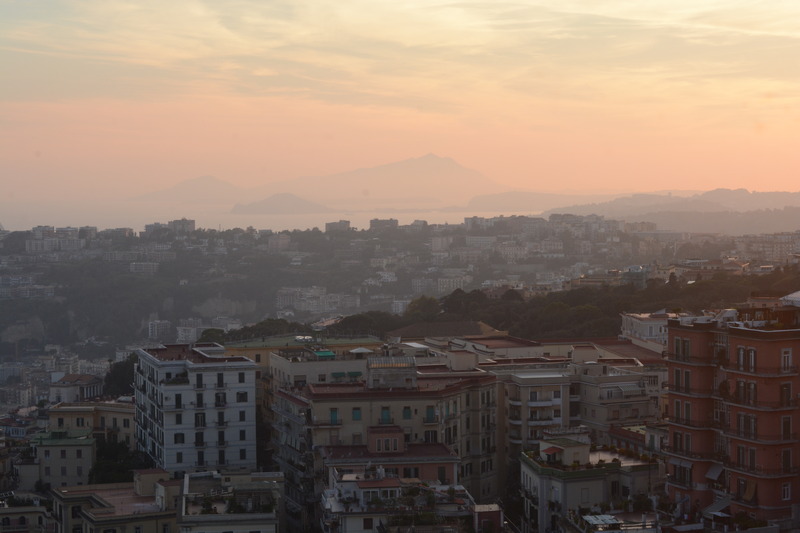 Day 1 - Arrive in Naples. 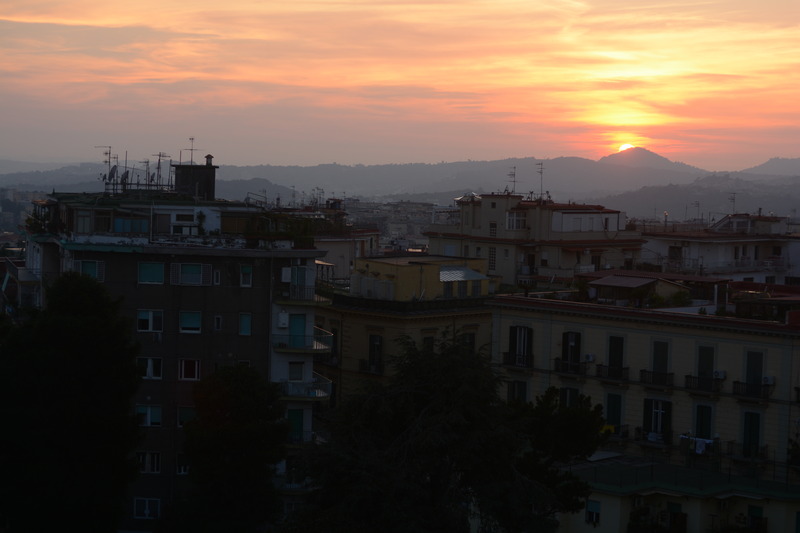 We spend the night in the city. 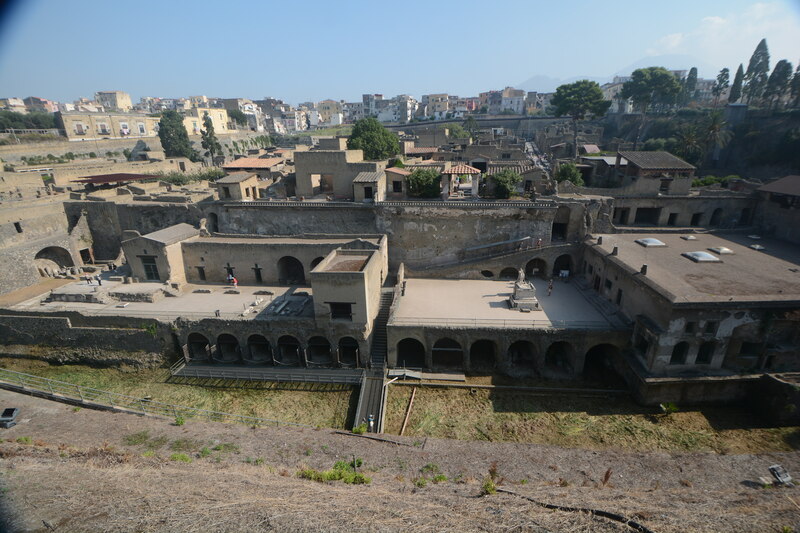 Day 2 - Herculaneum World Heritage Site and Mount Vesuvius. 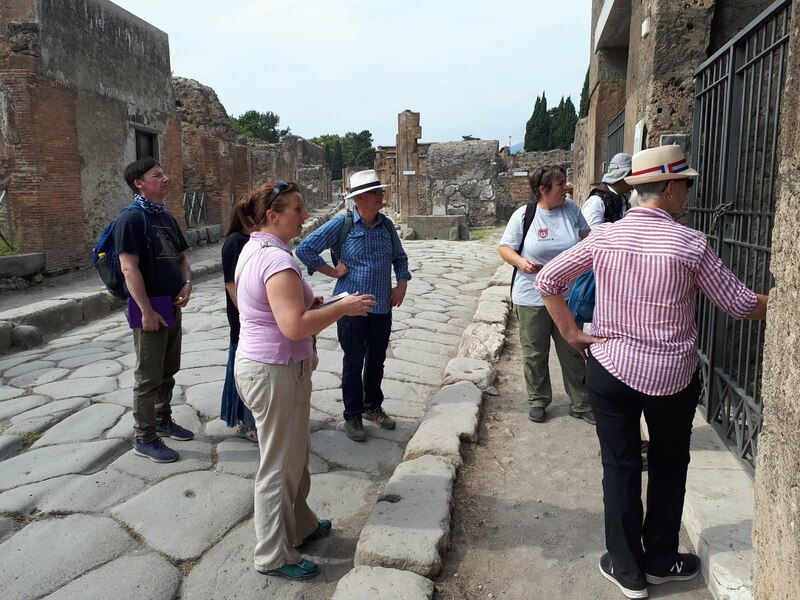 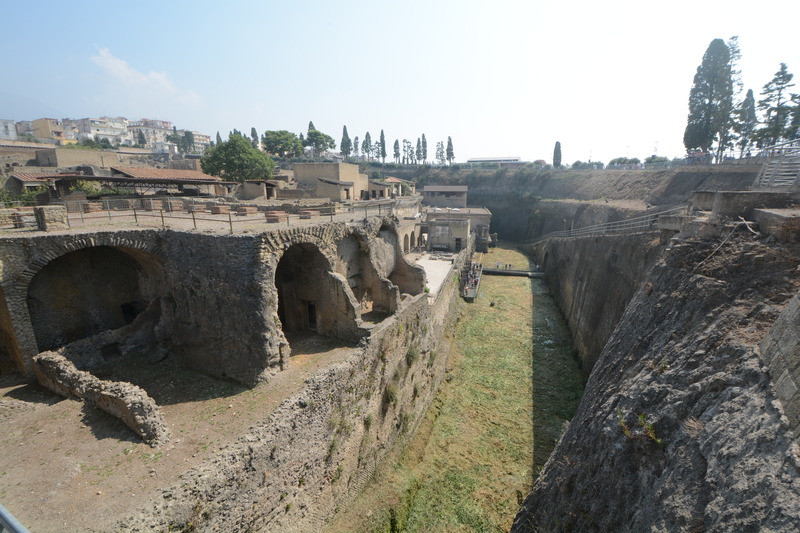 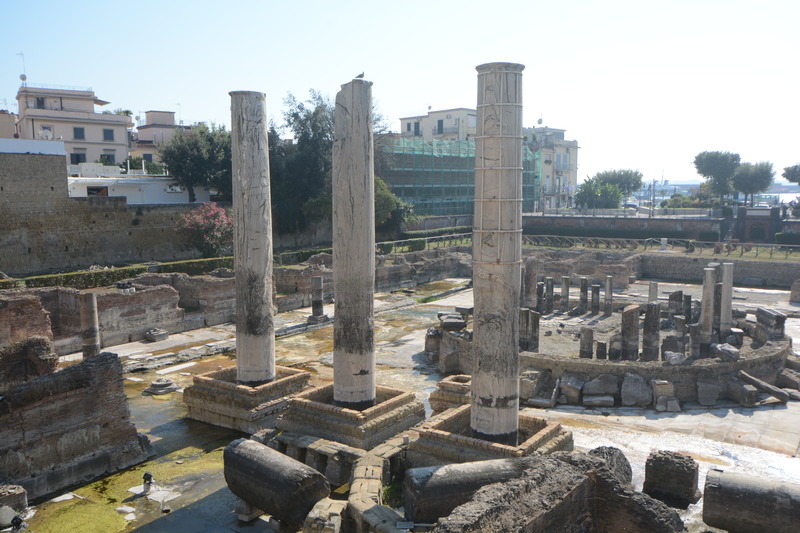 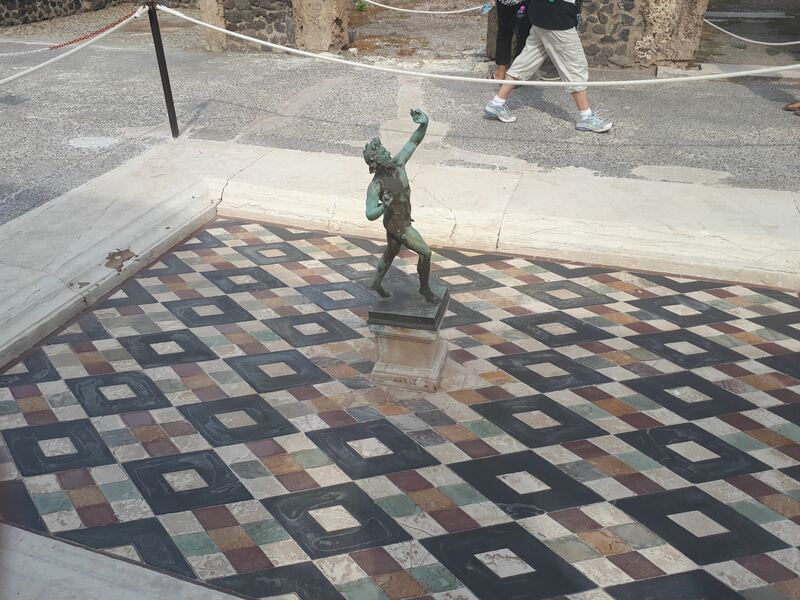 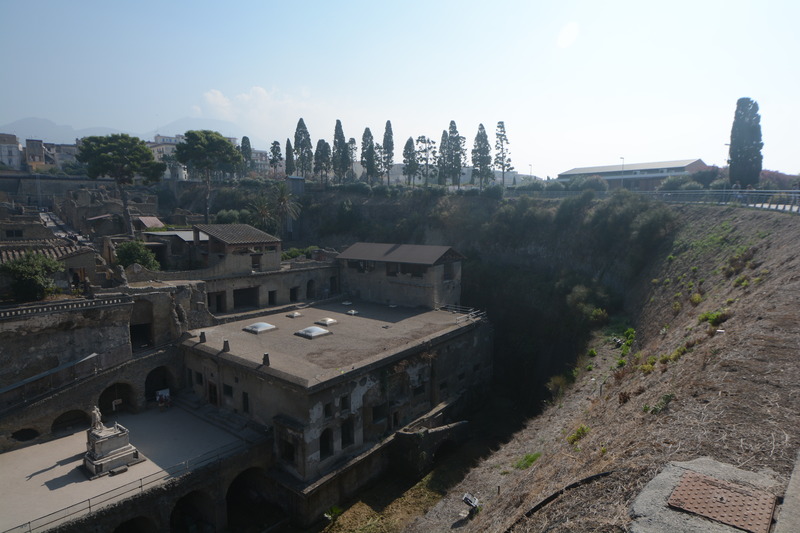 Our first stop is the ruined Roman city of Herculaneum at the base of Mount Vesuvius volcano. 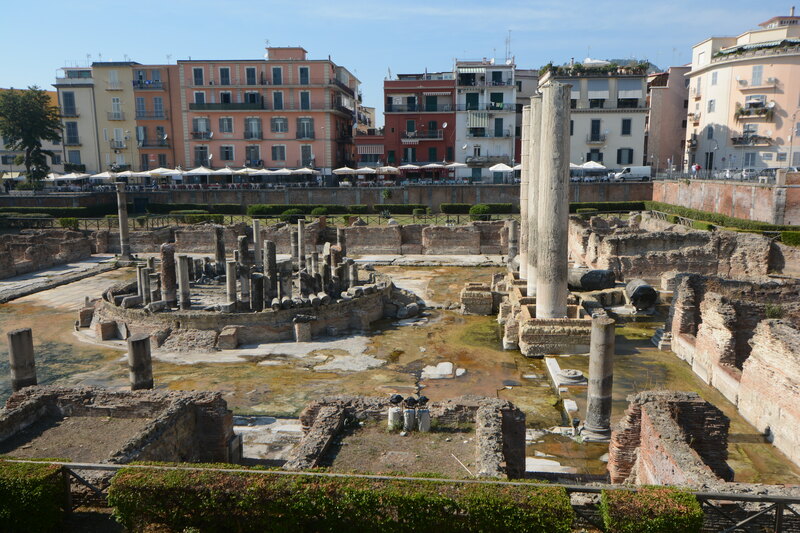 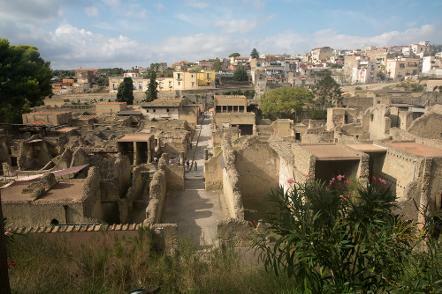 The city, a World Heritage Site, was buried by pyroclastic flows from the volcano's eruption of 79 AD. 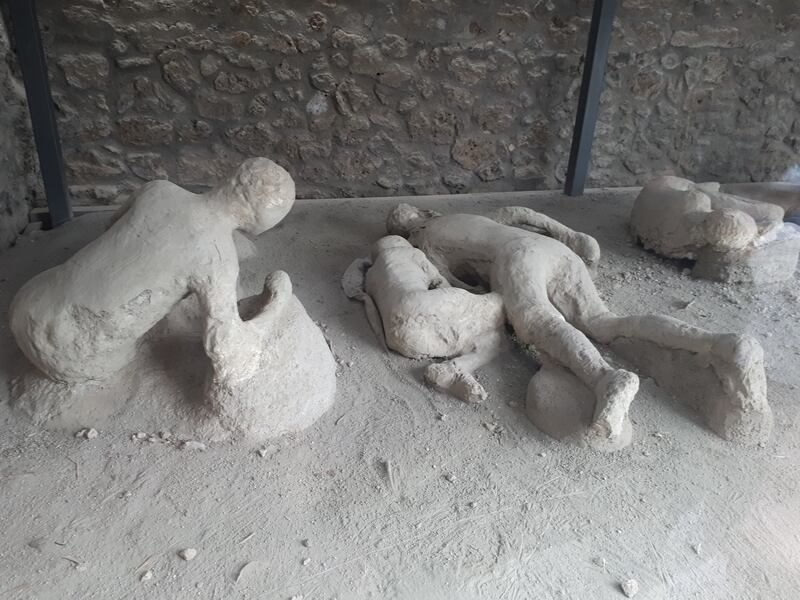 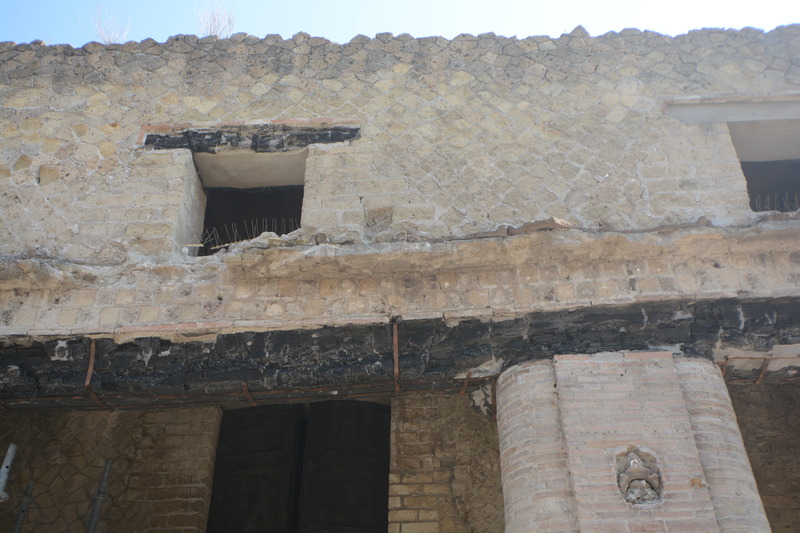 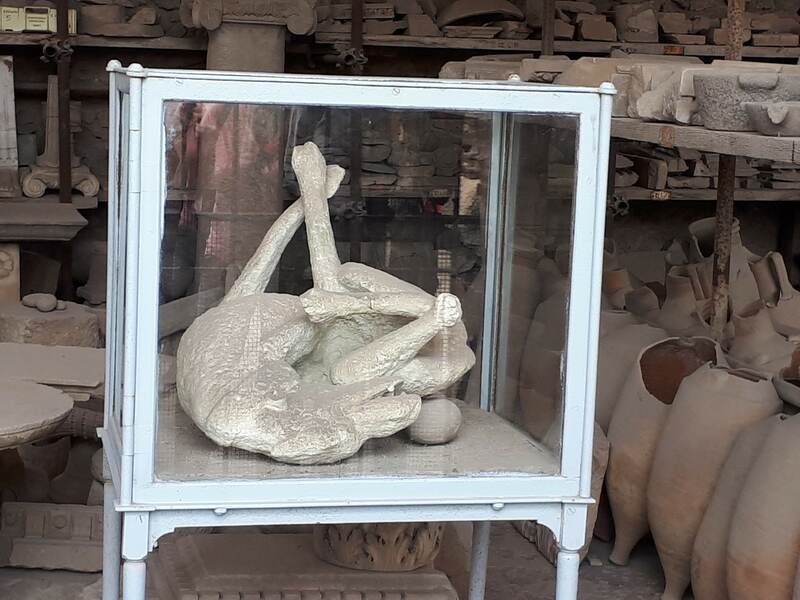 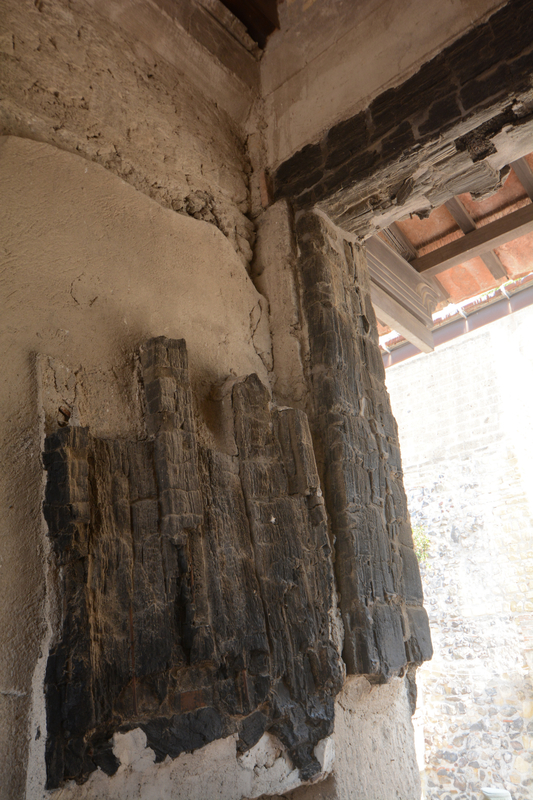 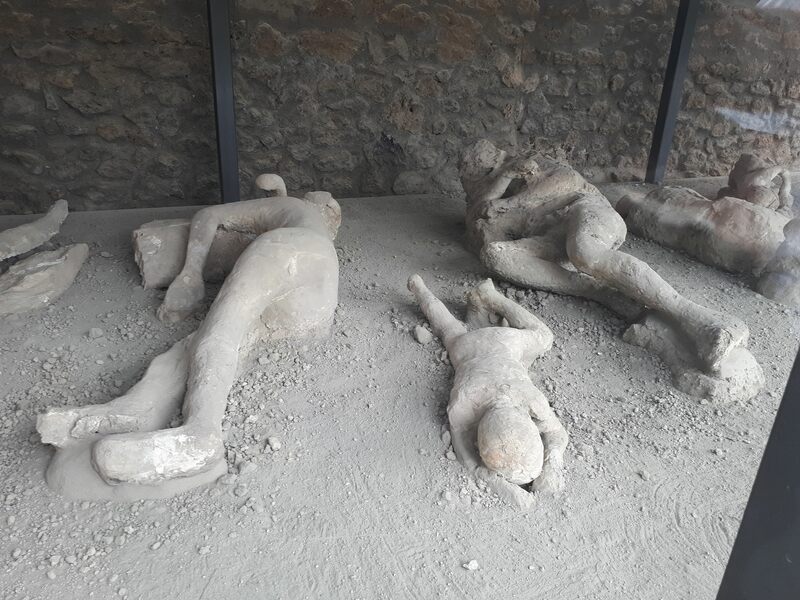 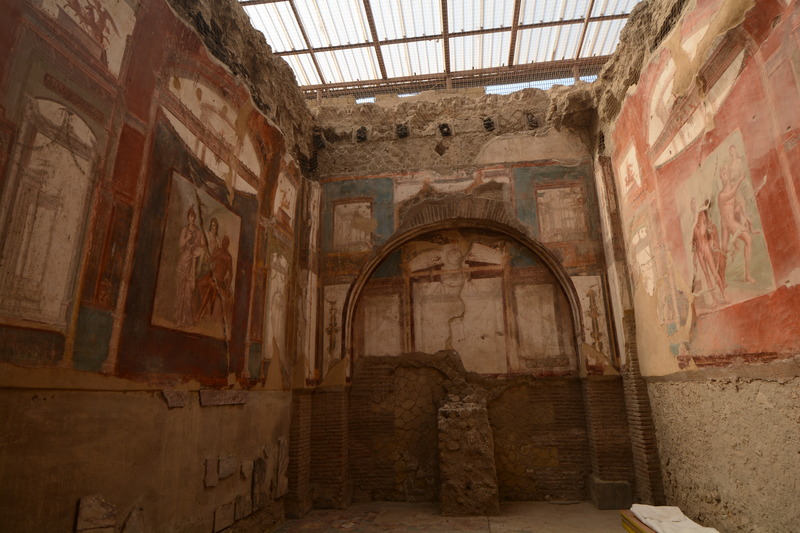 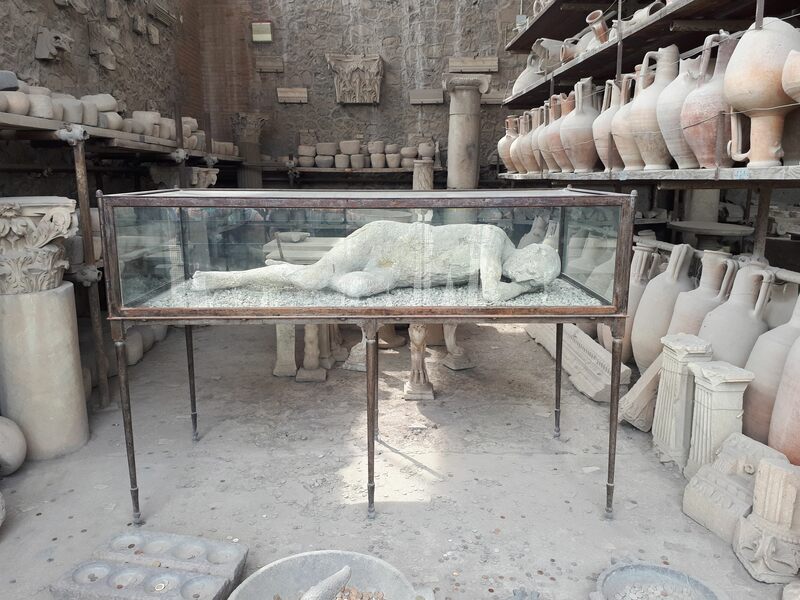 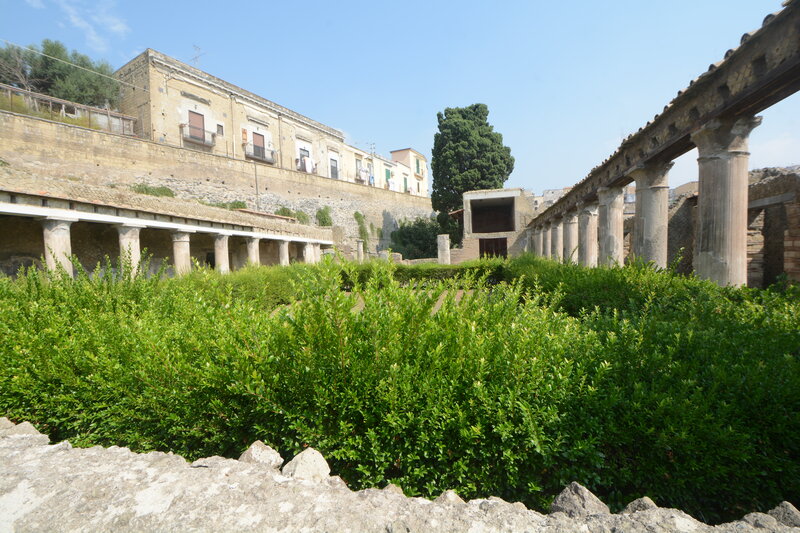 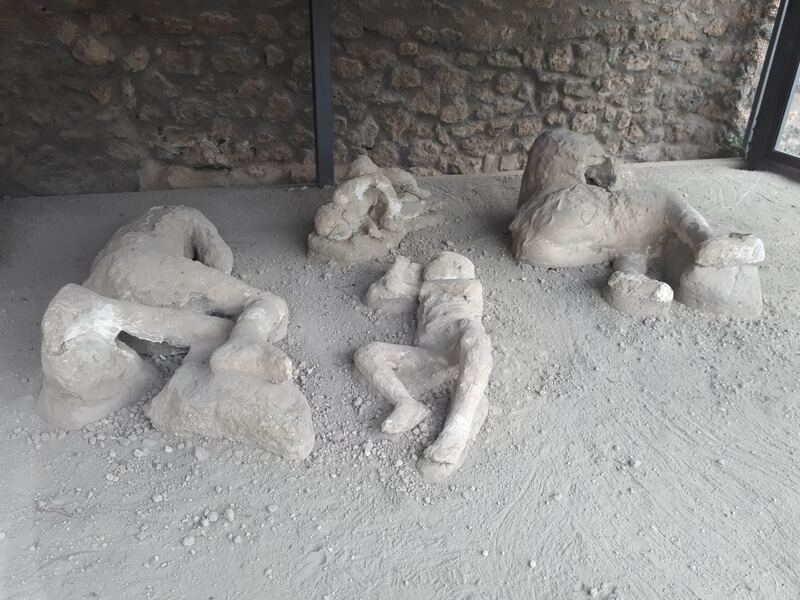 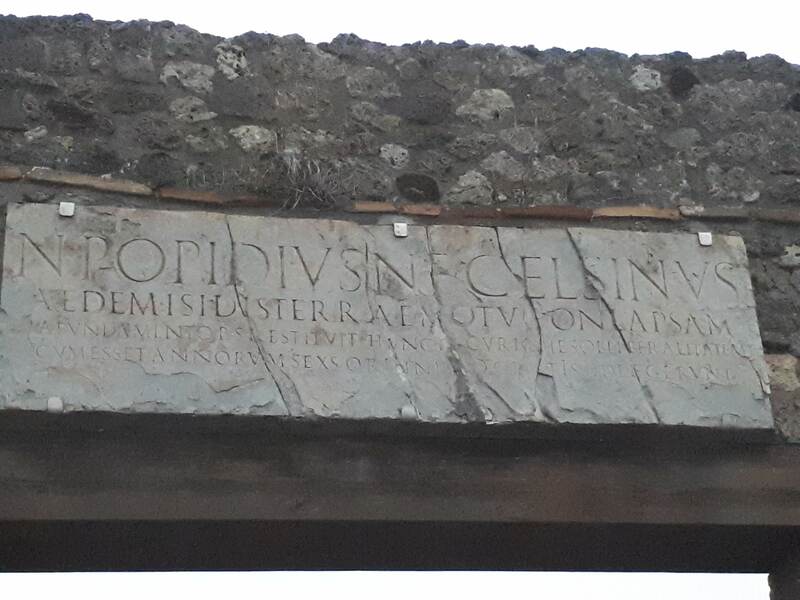 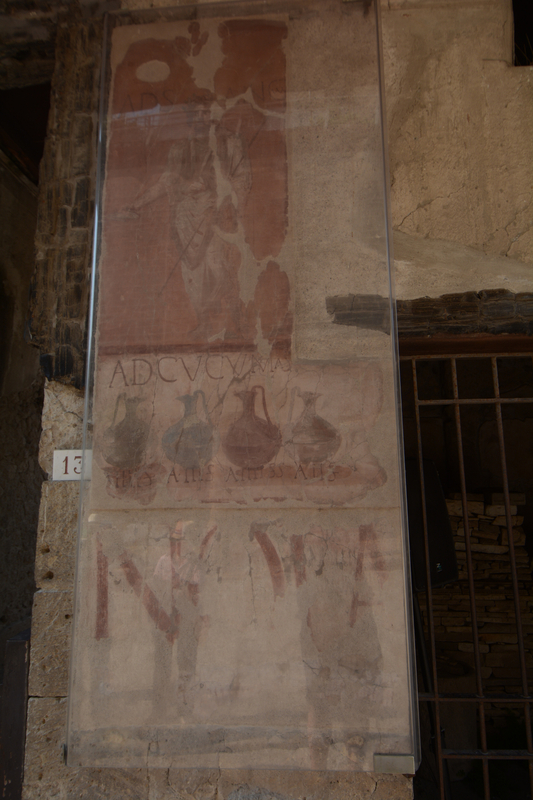 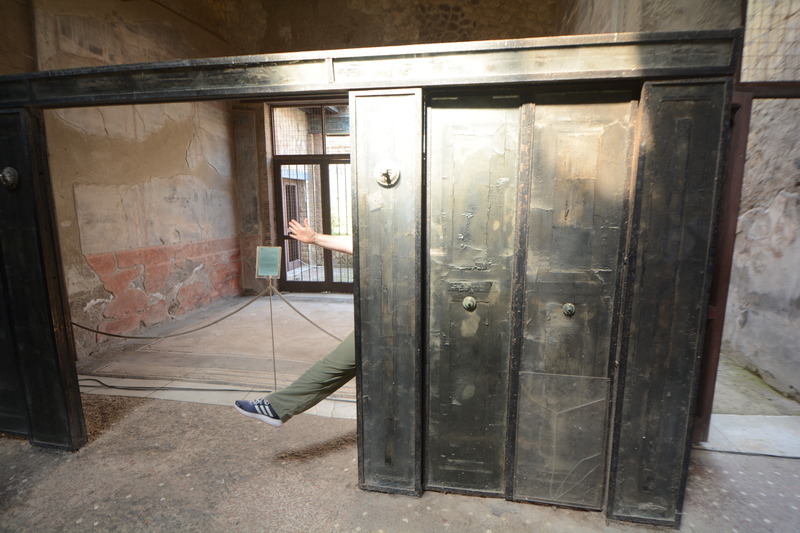 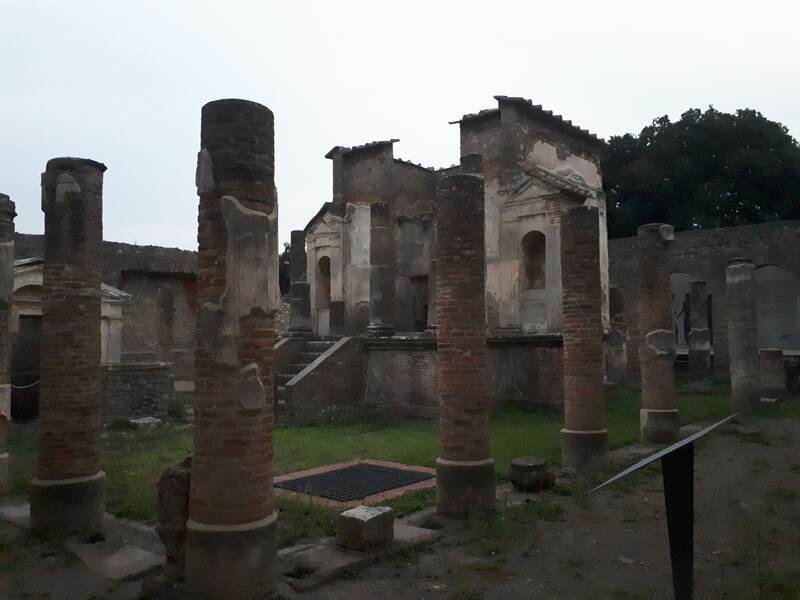 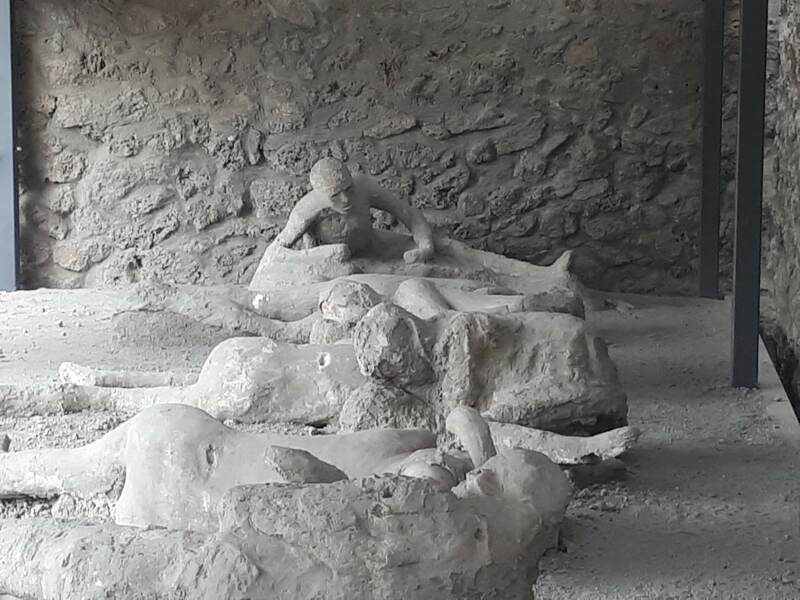 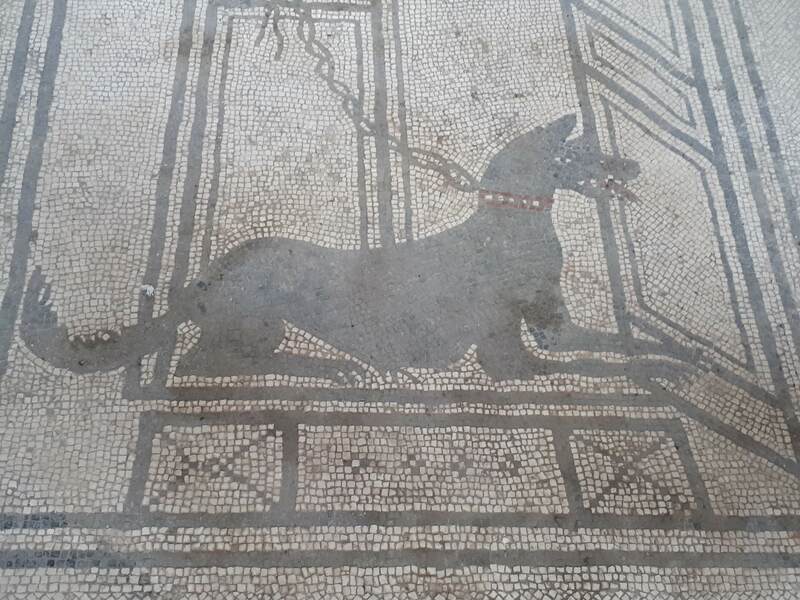 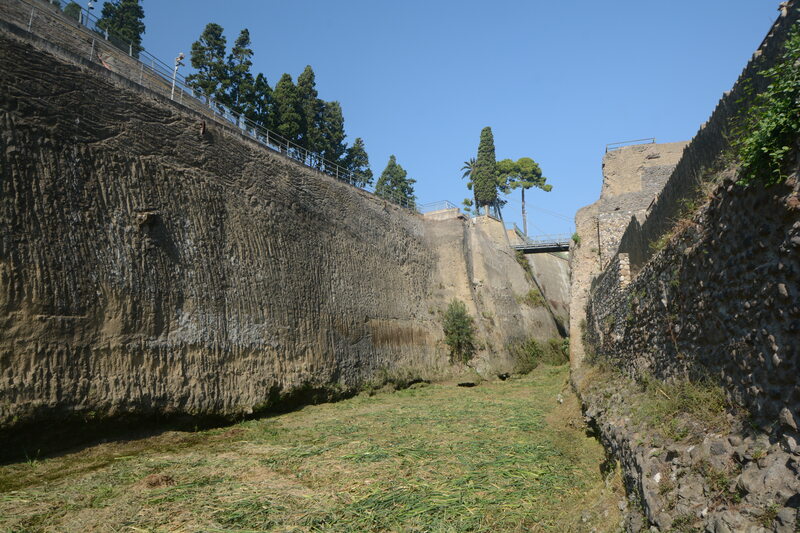 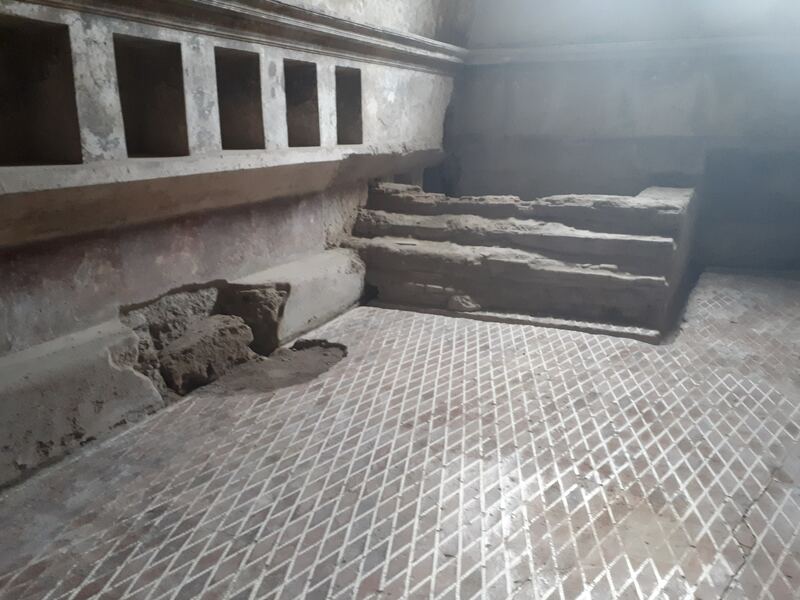 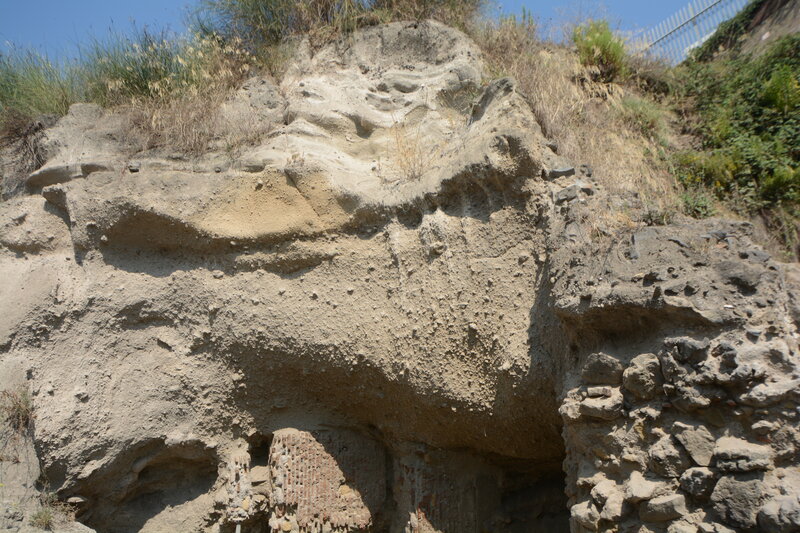 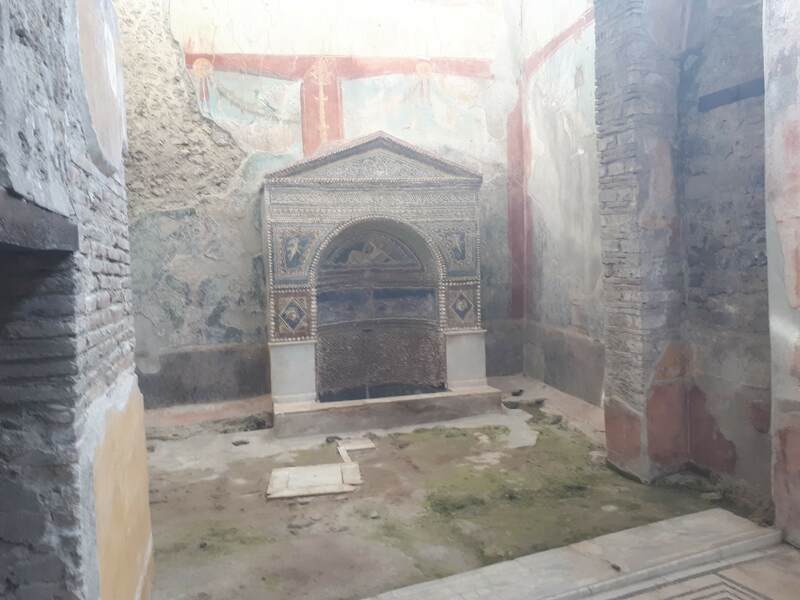 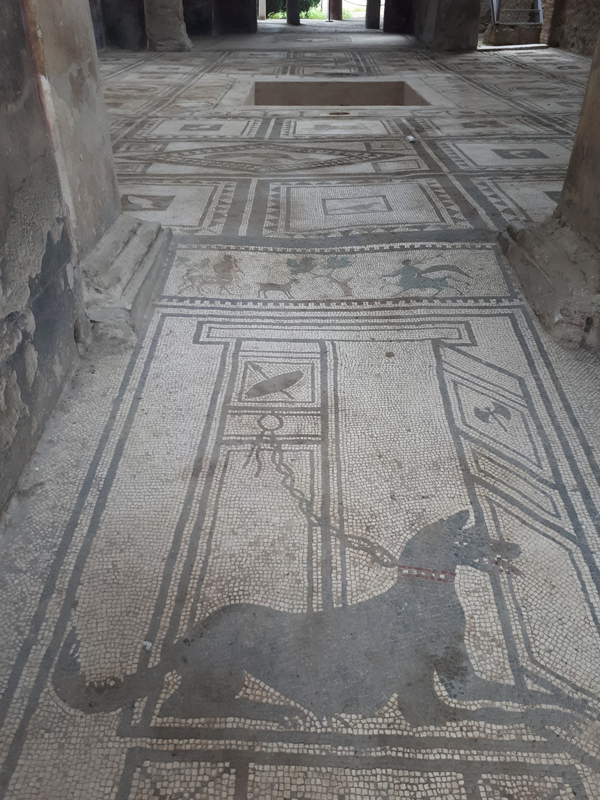 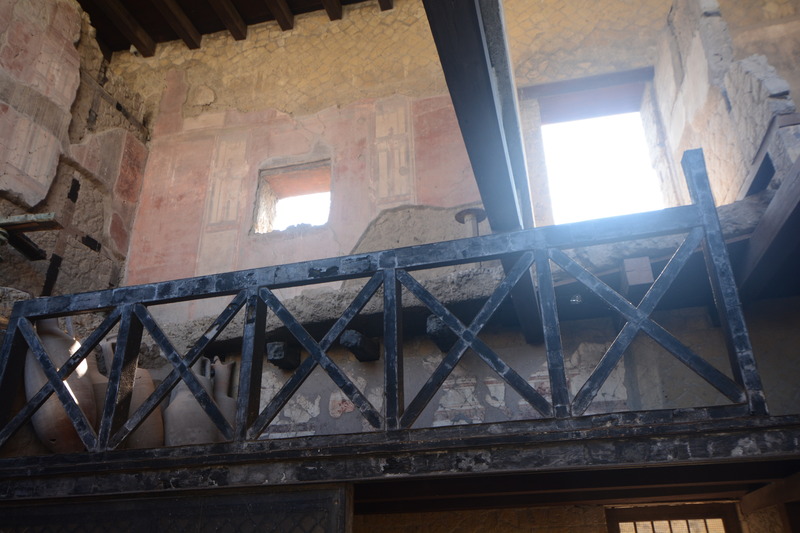 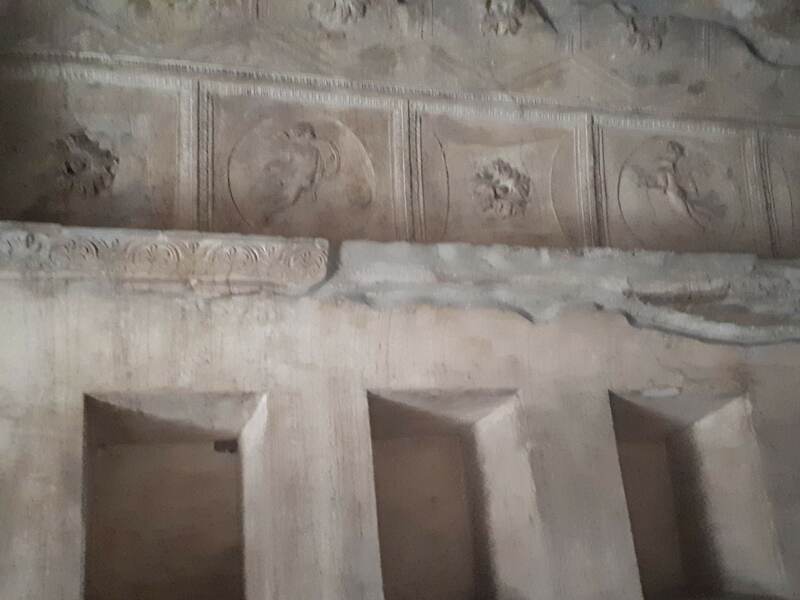 The site has exceptional preservation due to the depth of the pyroclastic deposits, allowing wood and other organic based objects to be preserved. 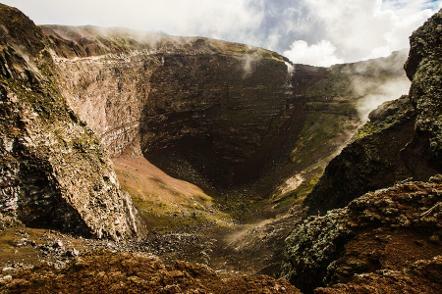 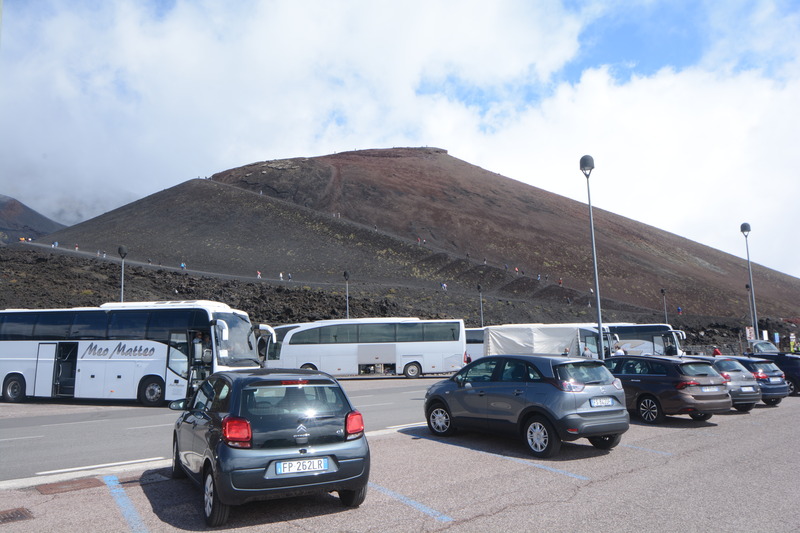 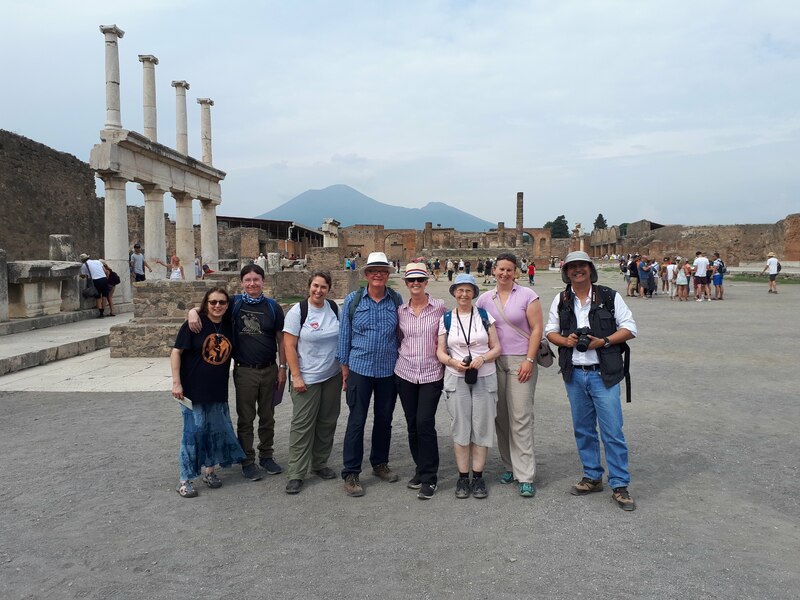 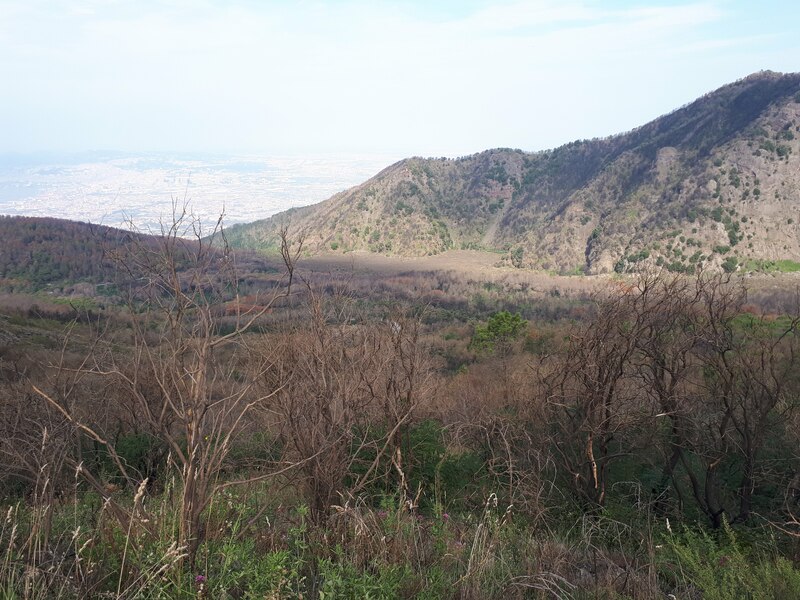 In the afternoon we take a tour bus to the Parco Nationale del Vusuvio and walk to the summit of Mount Vesuvius itself. 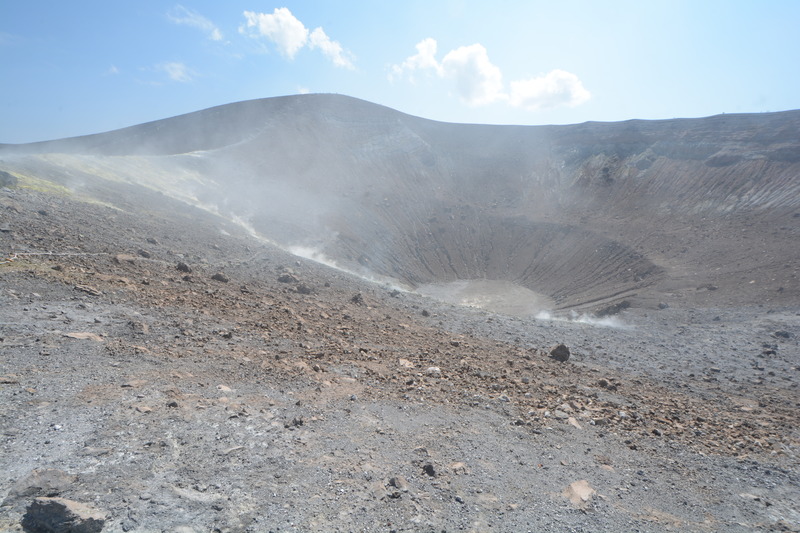 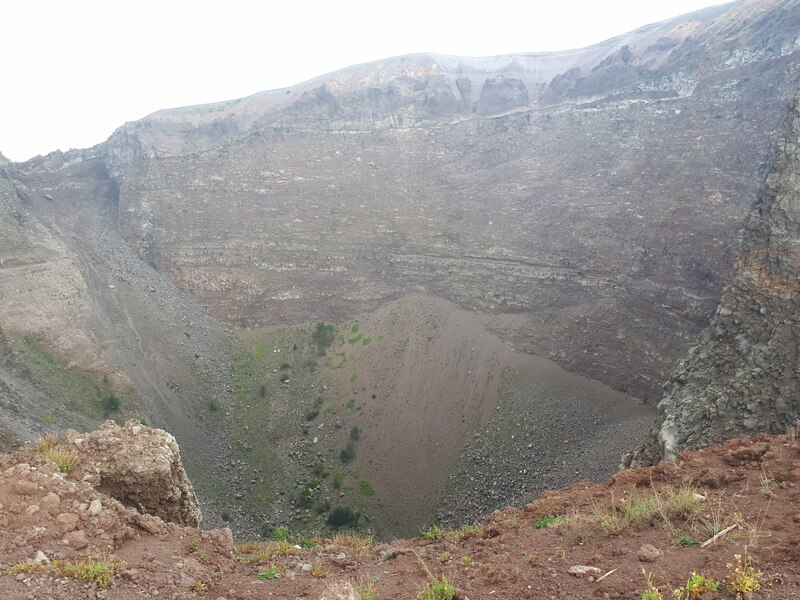 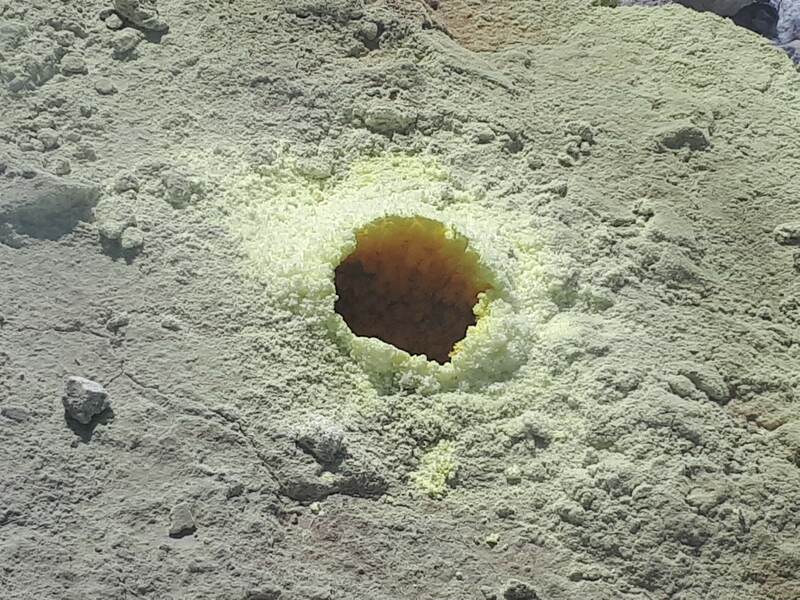 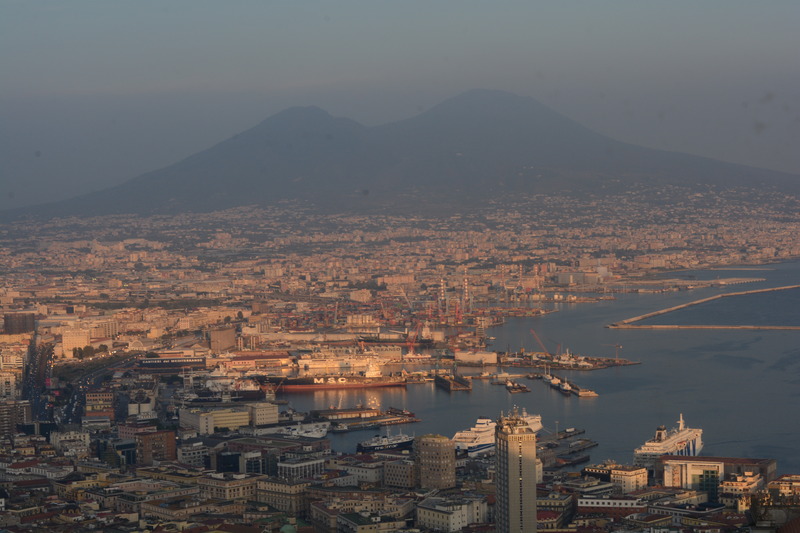 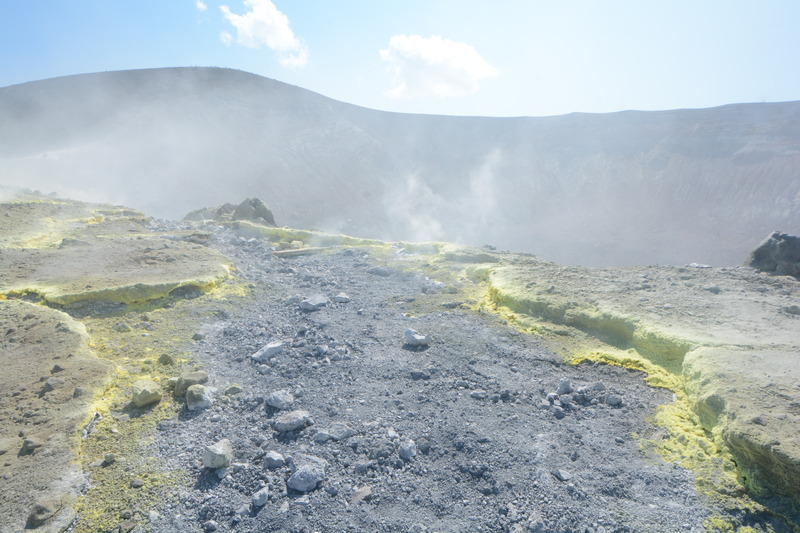 At the summit we can peer into the crater, see active fumeroles and get magnificent views over the city of Naples. 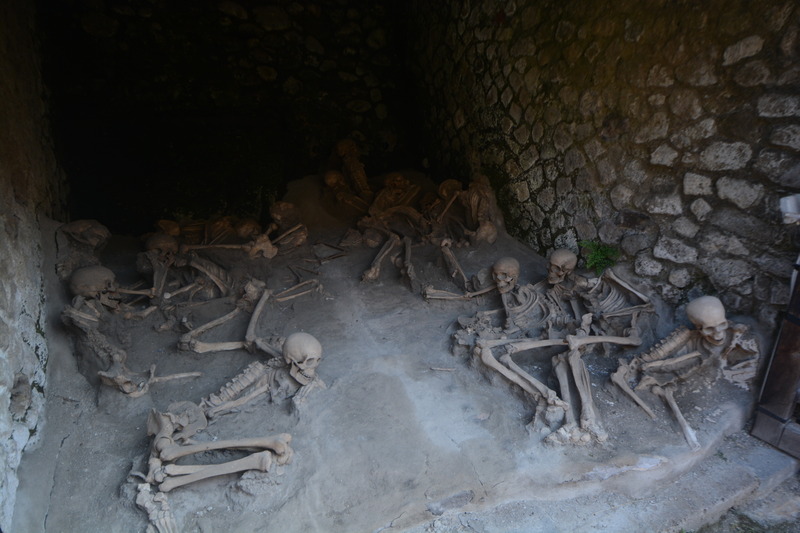 We spend another night in our Naples hotel. 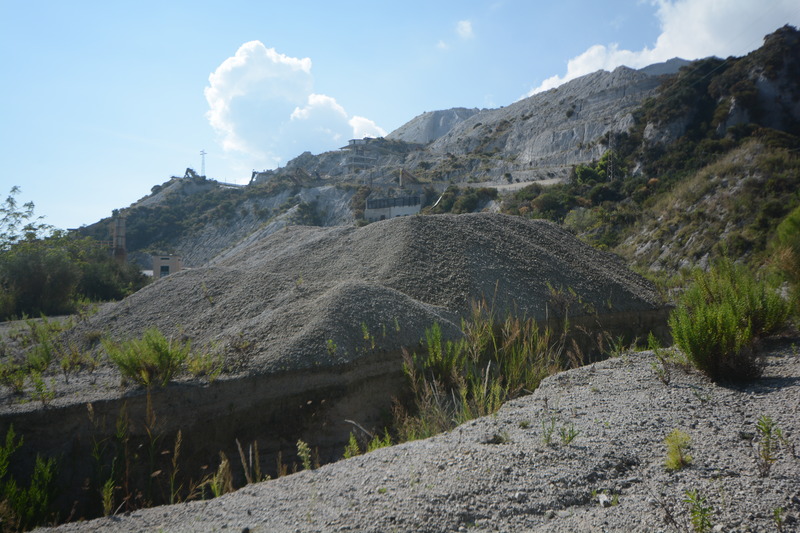 Day 3 - Phlegraean Fields Caldera, Naples. 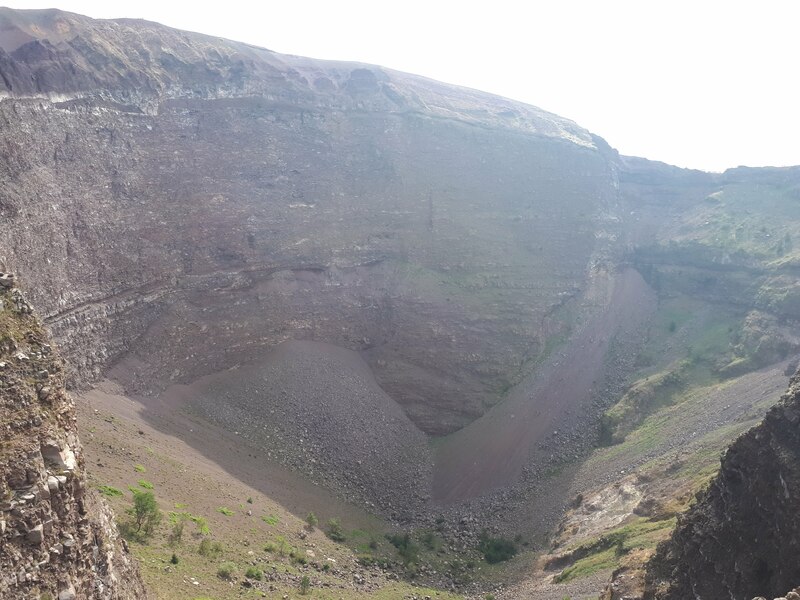 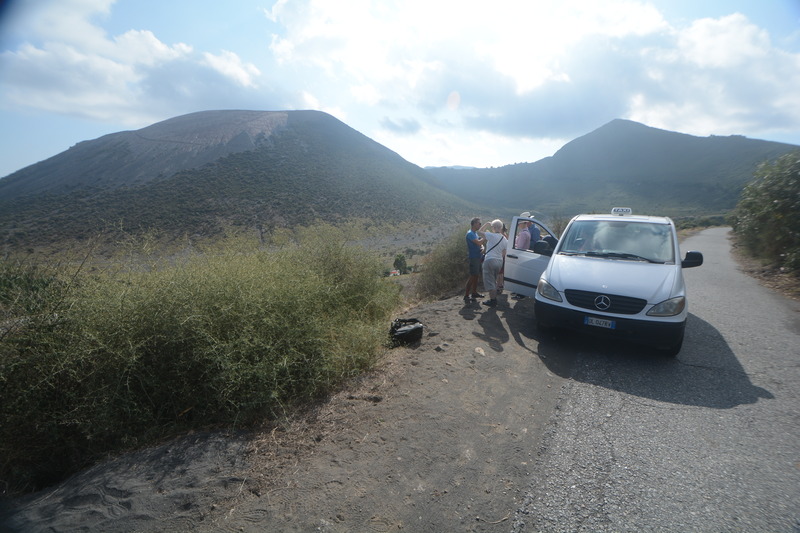 We travel by train and visit the Phlegraean Fields volcanic area, which is 15km west of Naples. 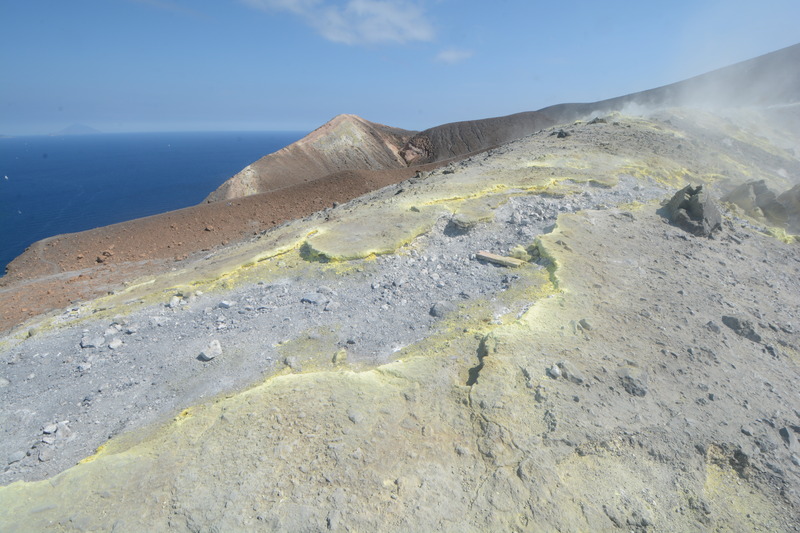 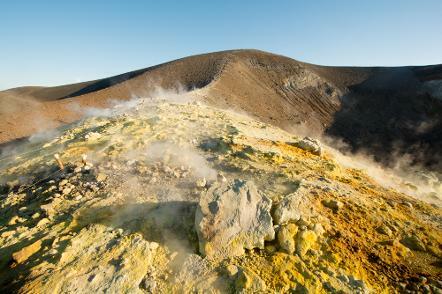 Lying mostly underwater, the area of the caldera comprises 24 craters and volcanic edifices. 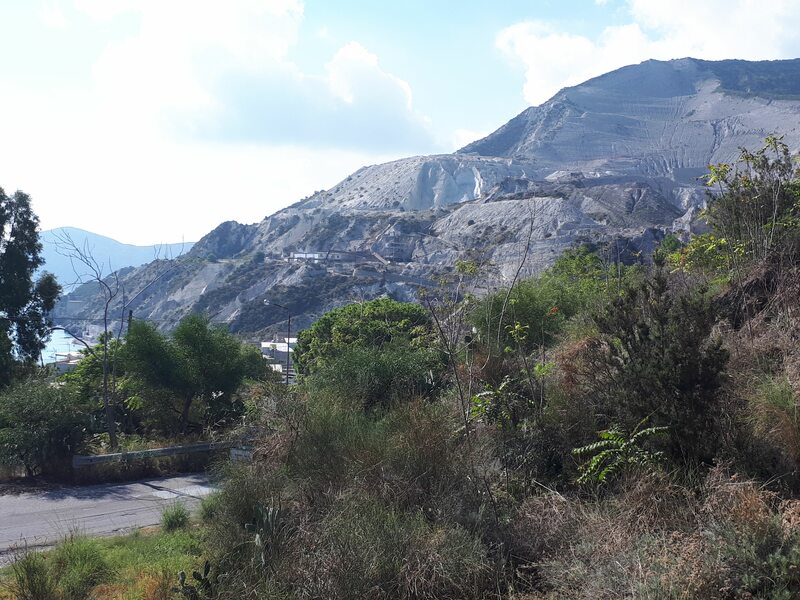 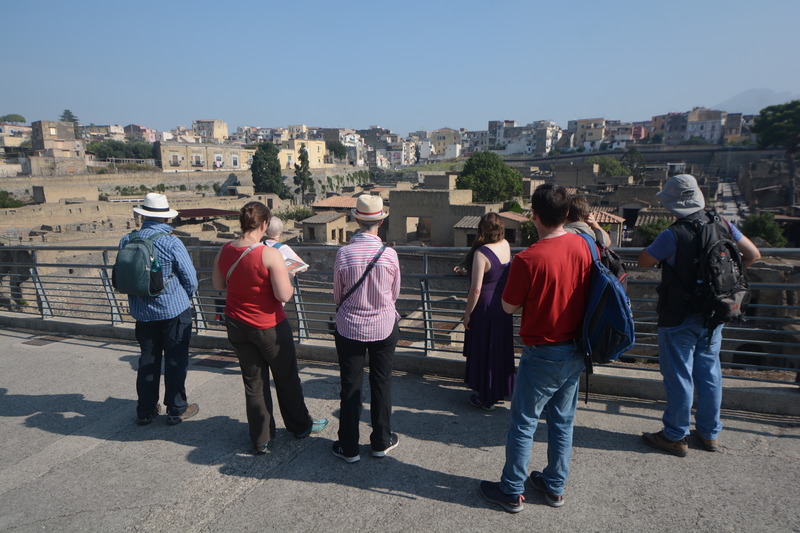 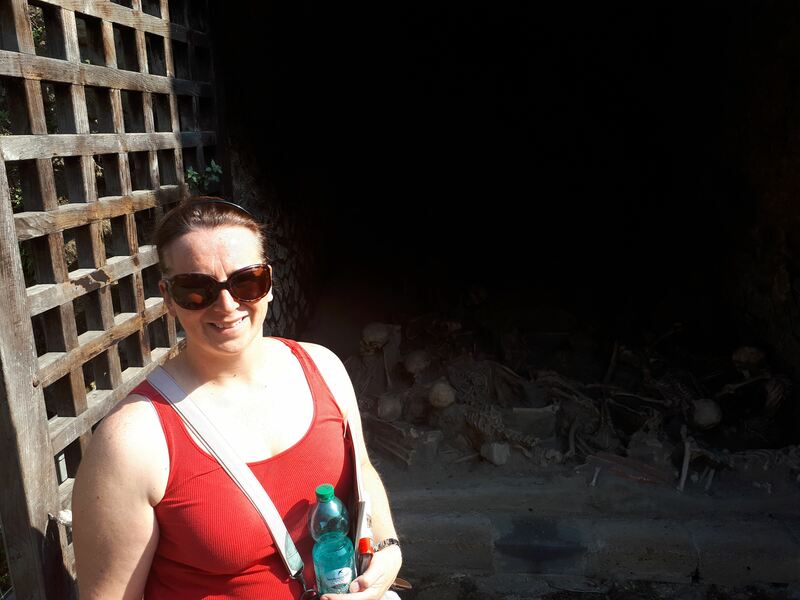 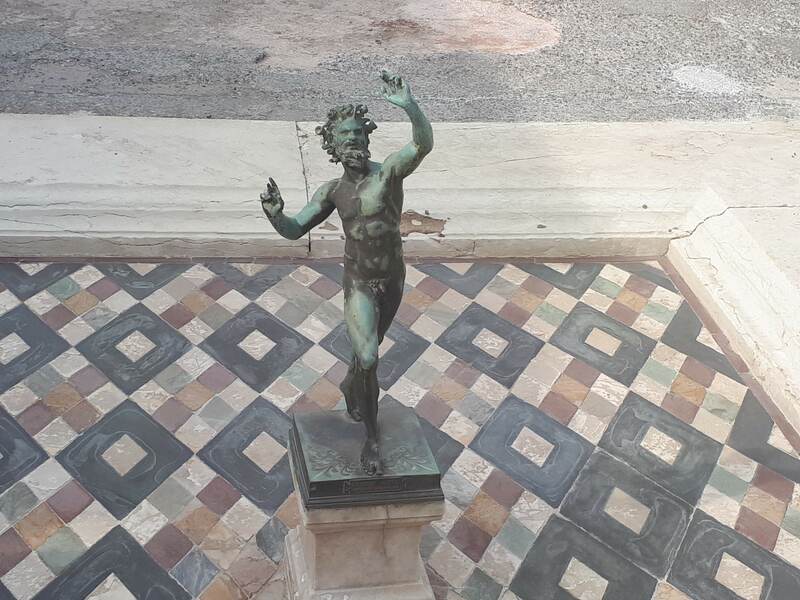 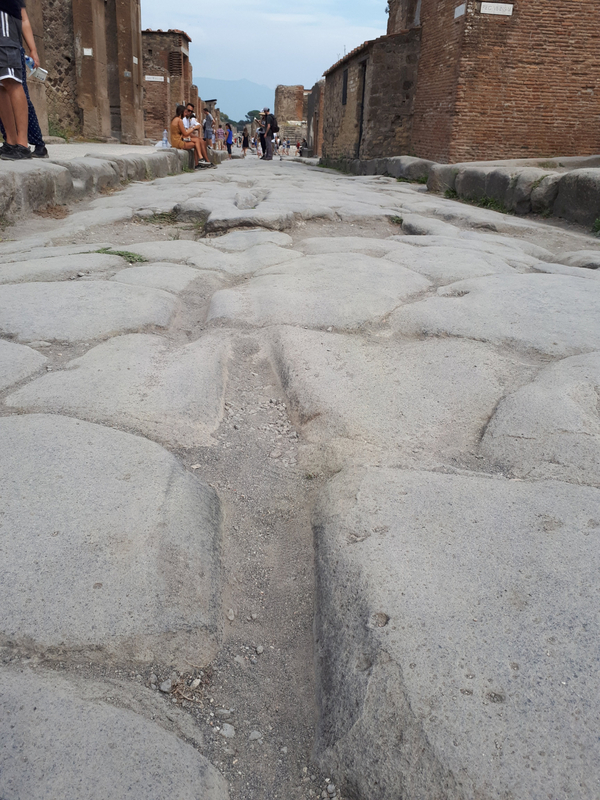 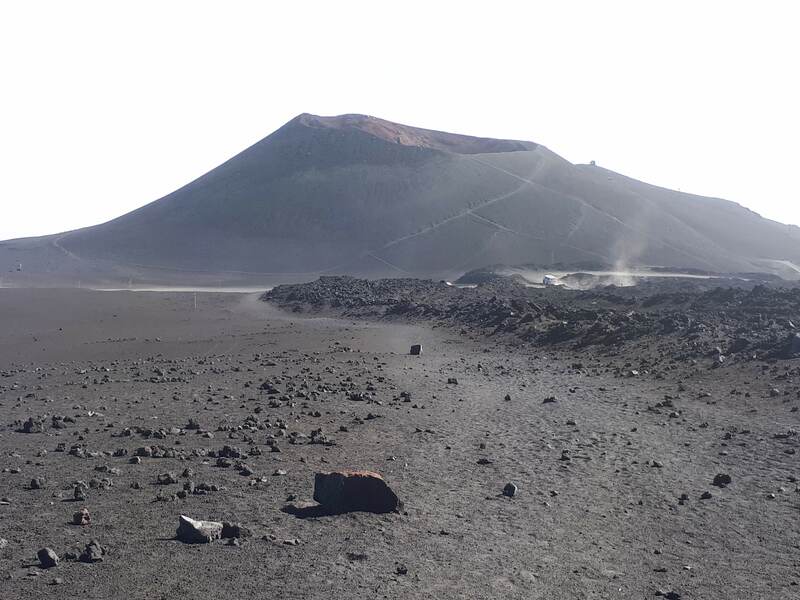 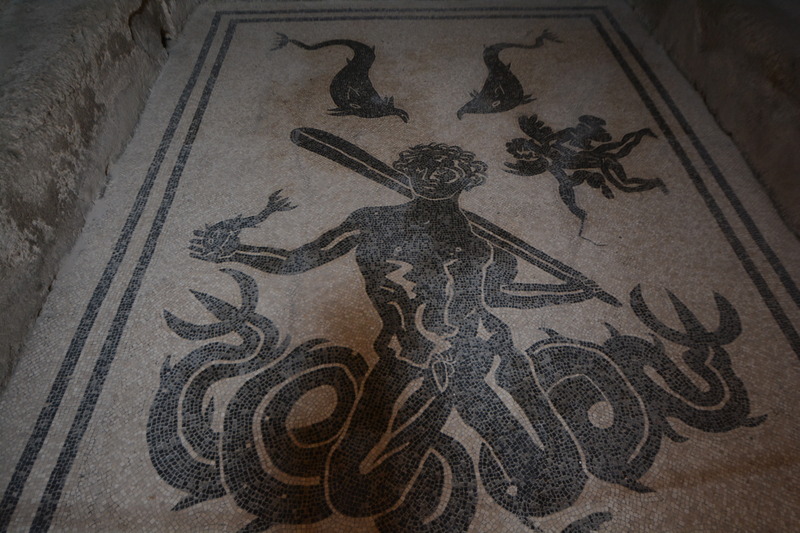 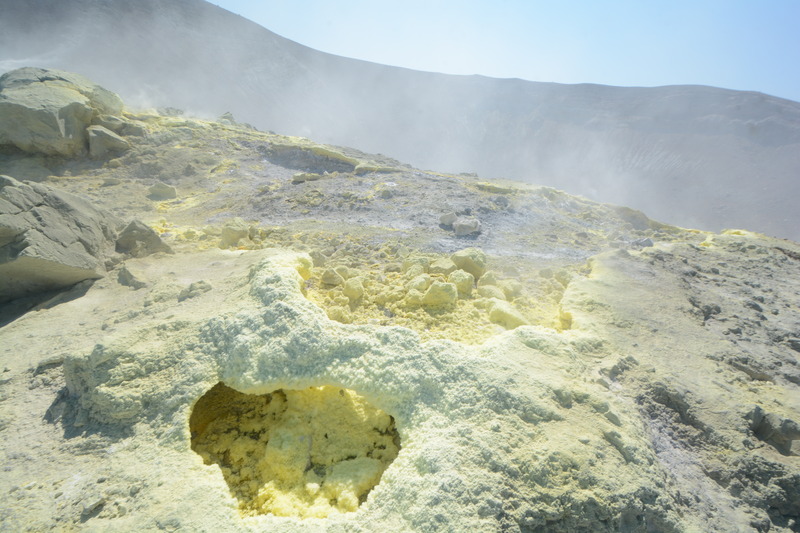 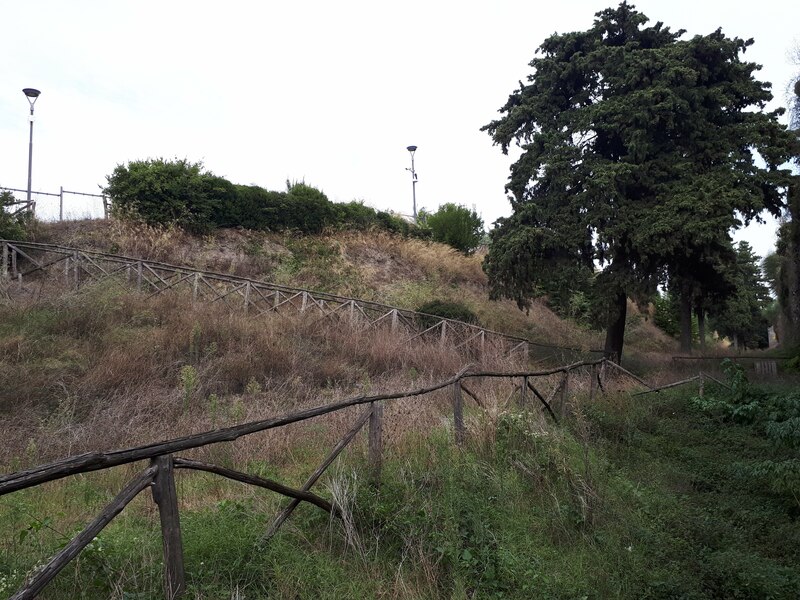 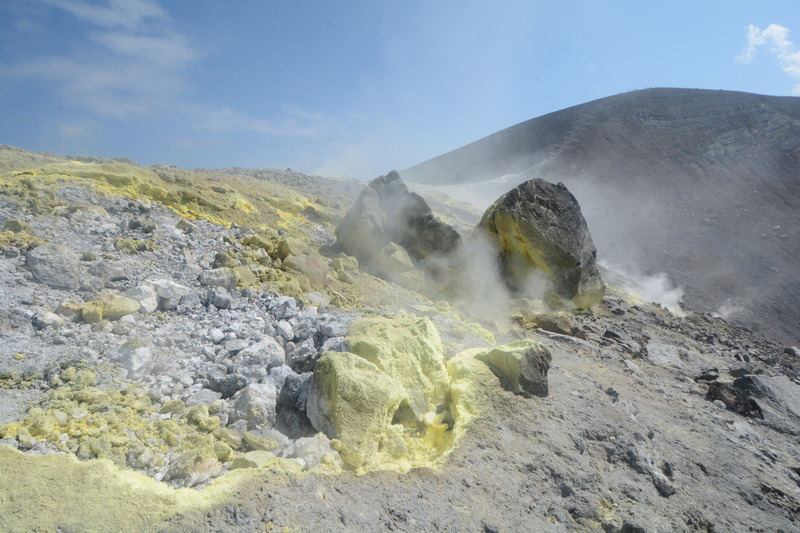 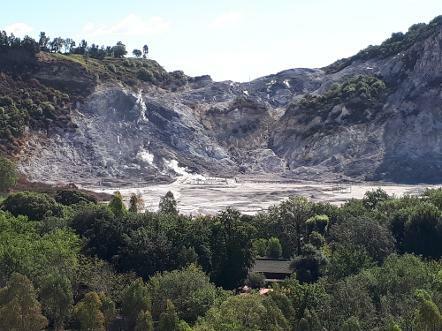 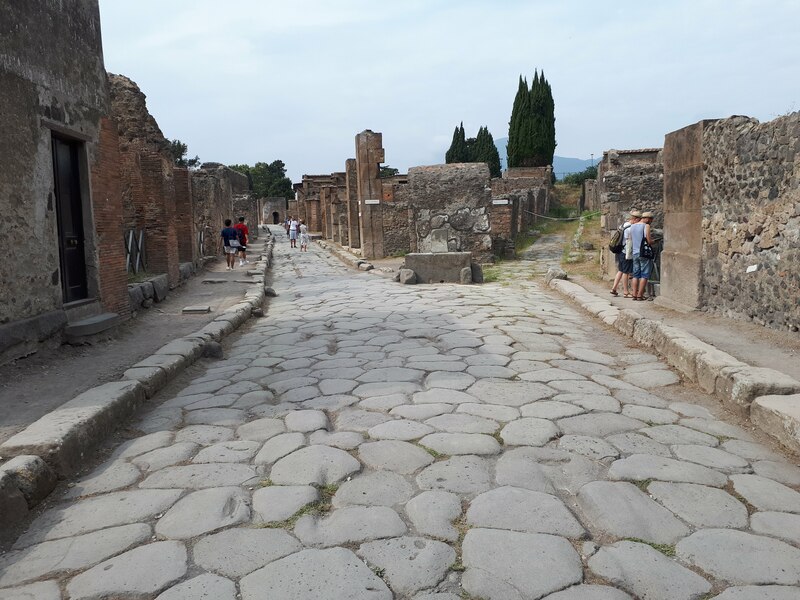 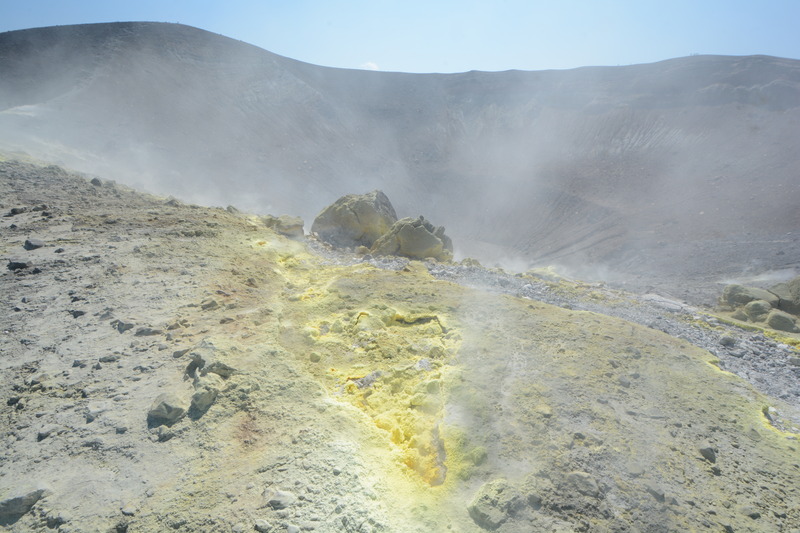 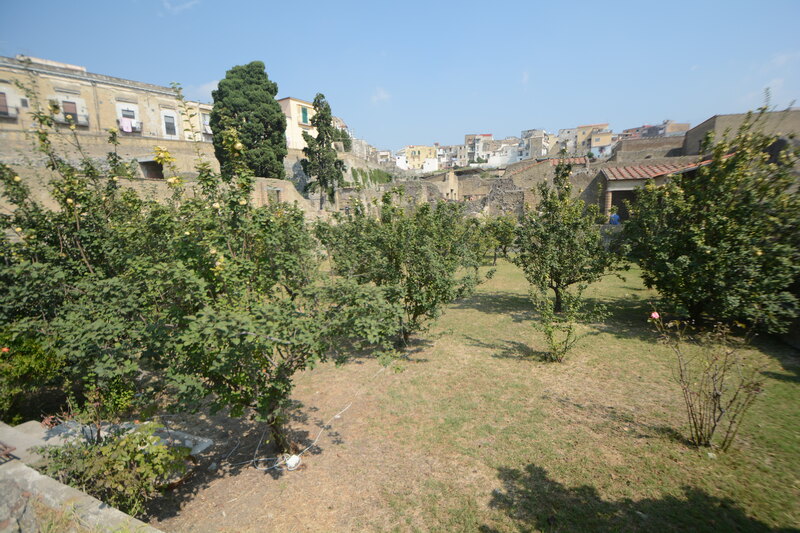 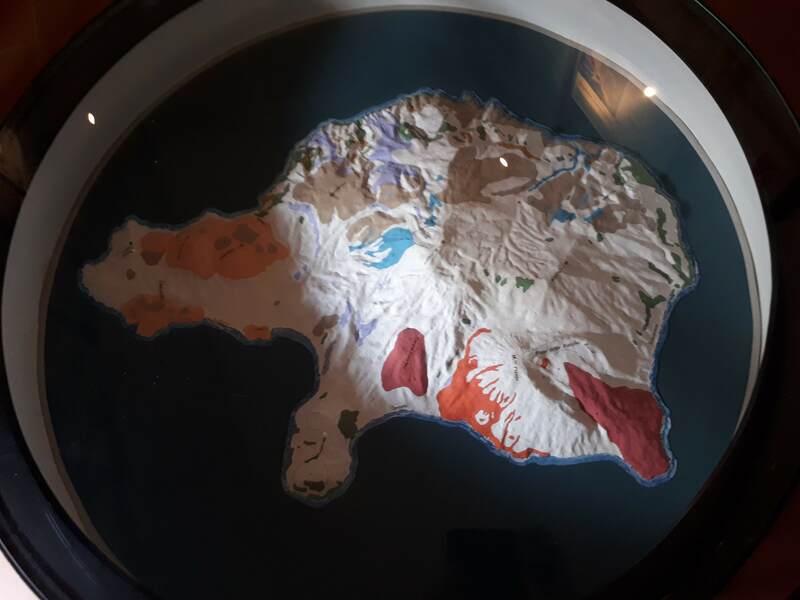 In the morning we take the train to Pozzuoli Solfatara station and walk for 15 minutes to the Solfatara crater, the mythological home of the Roman god of fire, Vulcan. 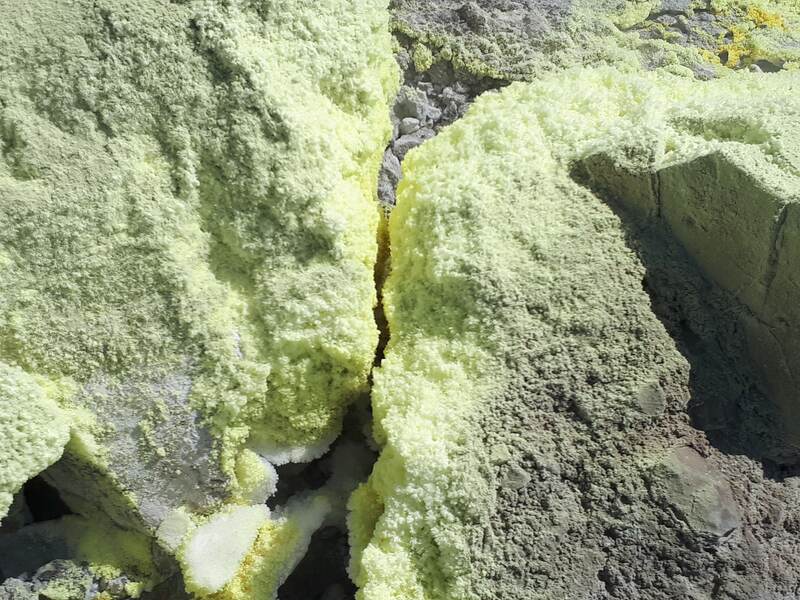 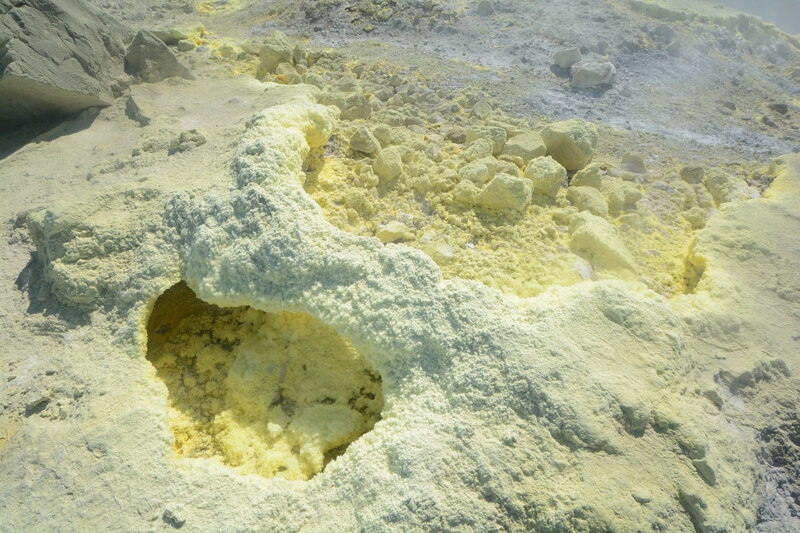 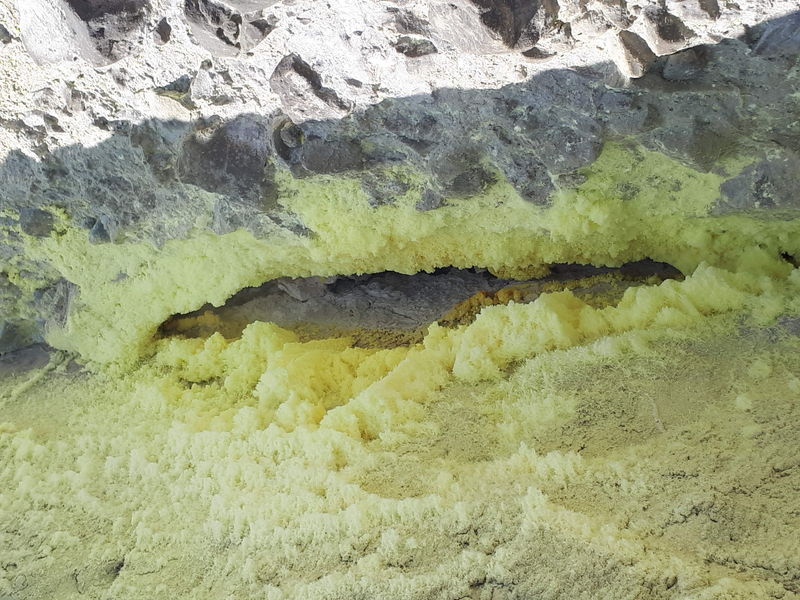 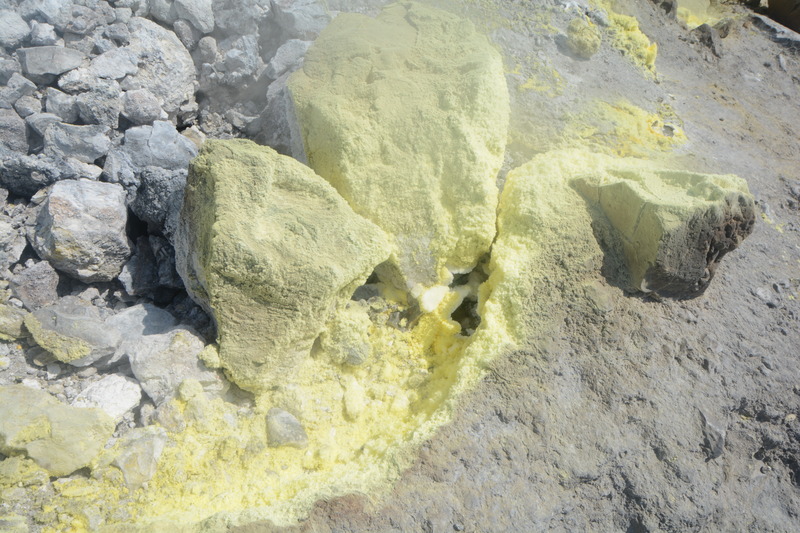 Here we see hydrothermal activity and gaseous emissions. 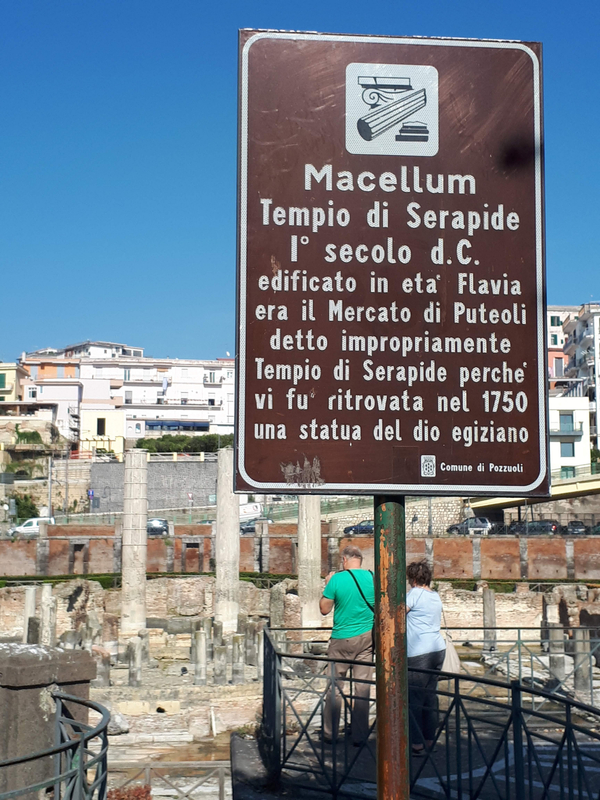 From here we walk for another 15 minutes to see the Flavian Amphitheater, the third largest Roman amphitheater in Italy. 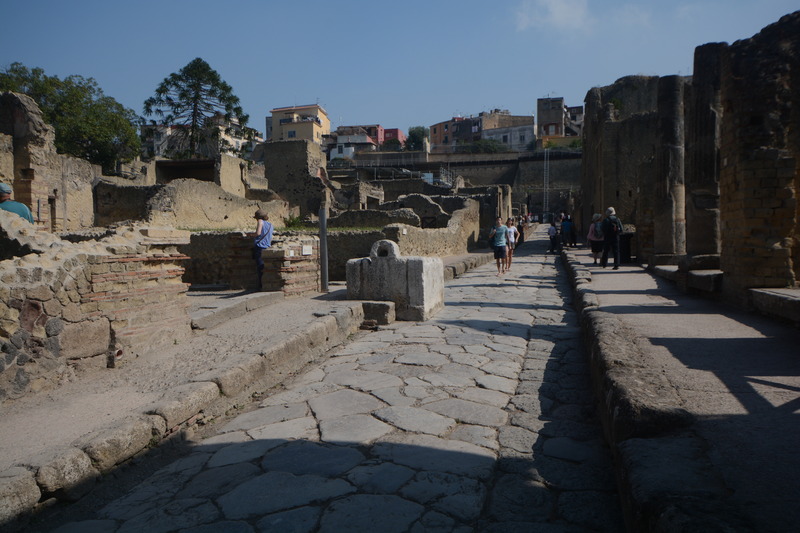 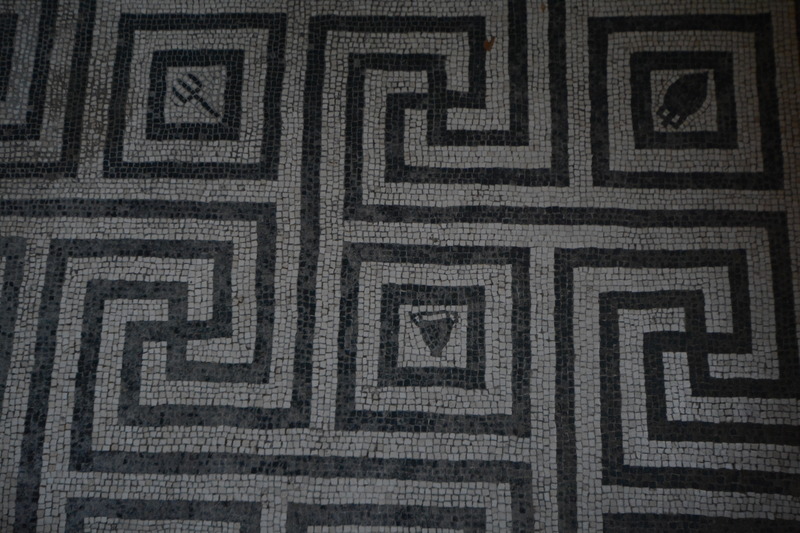 We then walk on for another 15 minutes to the Temple of Serapsis in Pozzuoli . 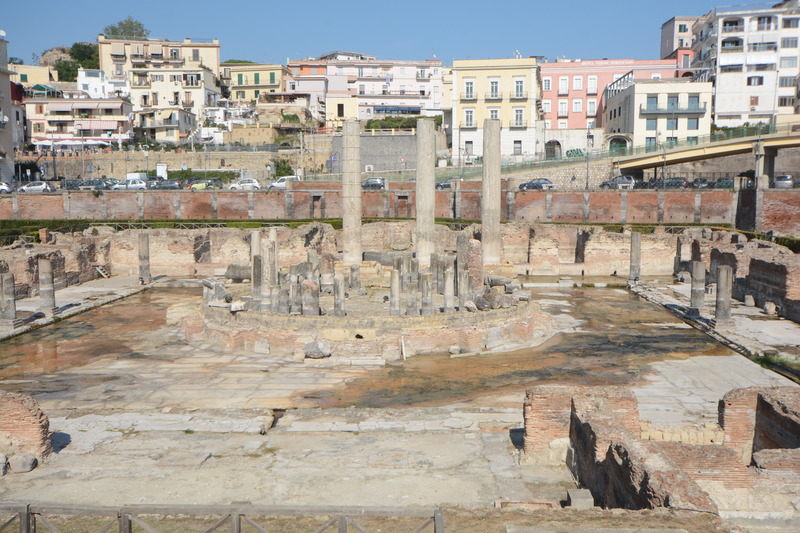 This 'temple' was a Roman Market and features on the front cover of Charles Lyell's Principles of Geology published in 1830. 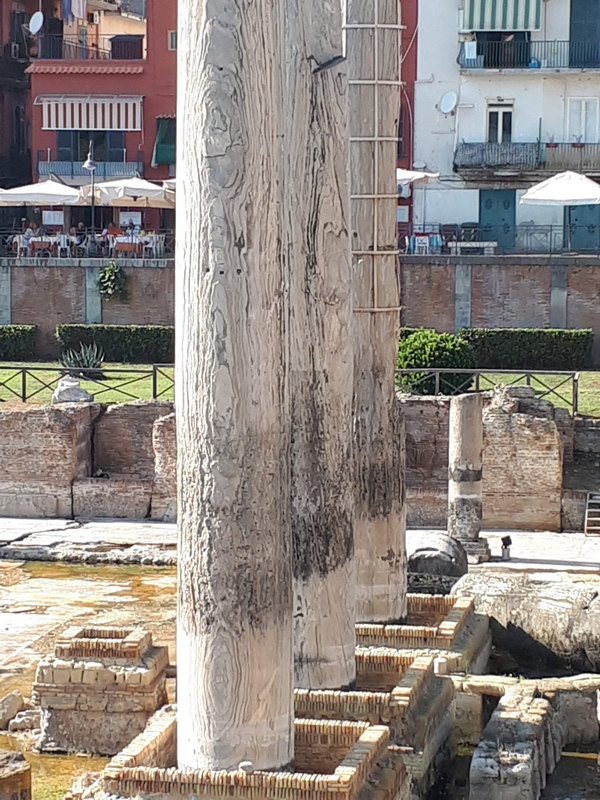 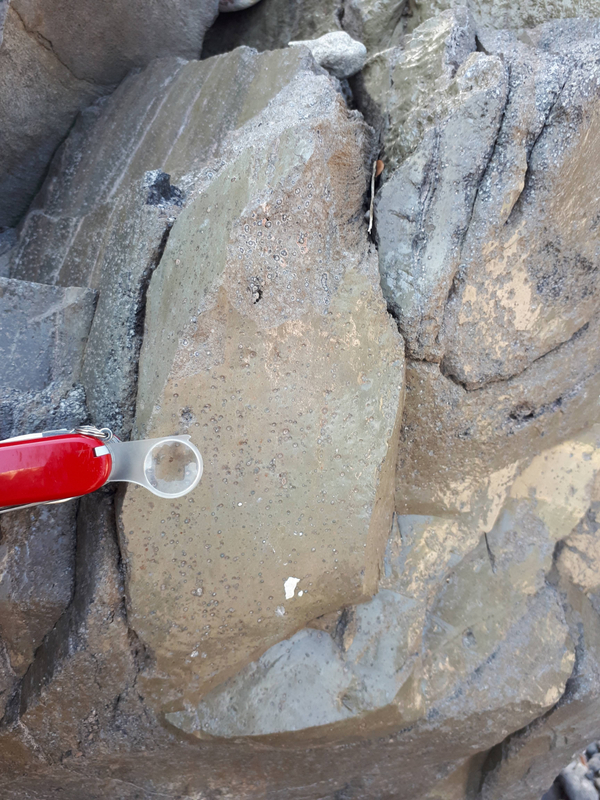 The pitted surface of the temple's columns, caused by marine molluscs, tell us the land has subsided and risen again due to the swelling of the magma chamber beneath. 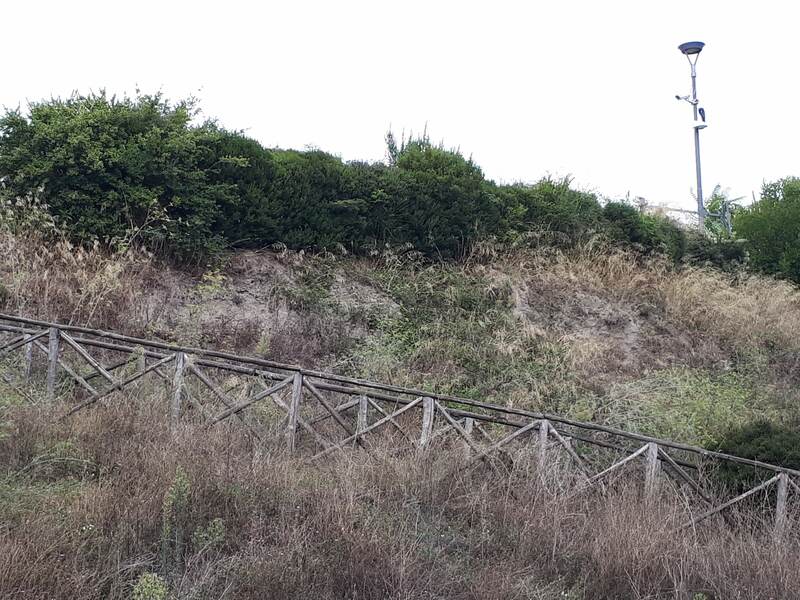 After lunch we take the train for another 15 minutes to reach Arco Felice and from here it is a 15 minute walk to Monte Nuovo. 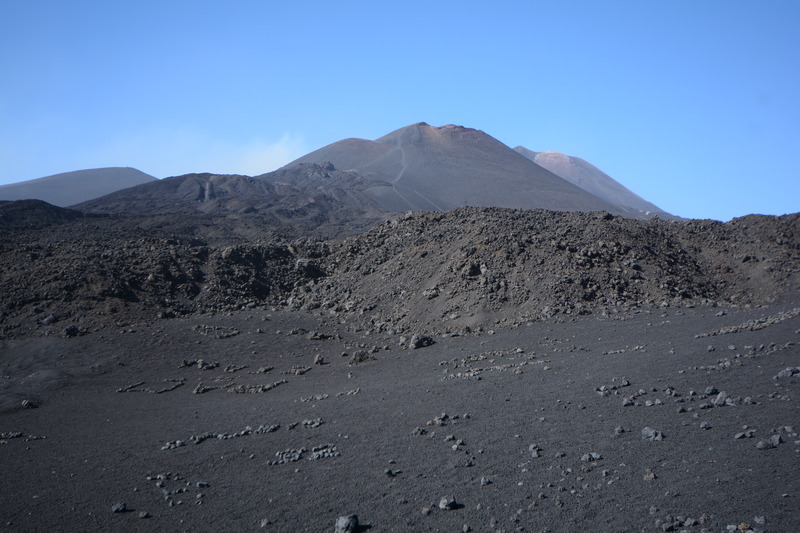 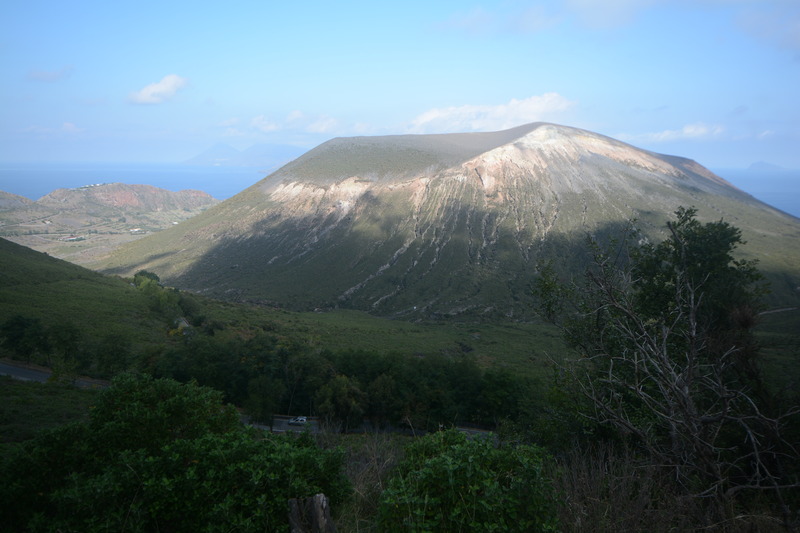 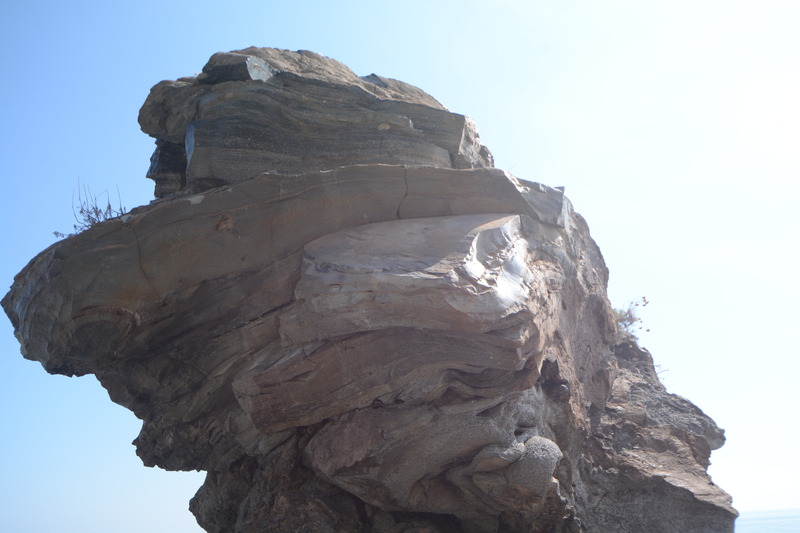 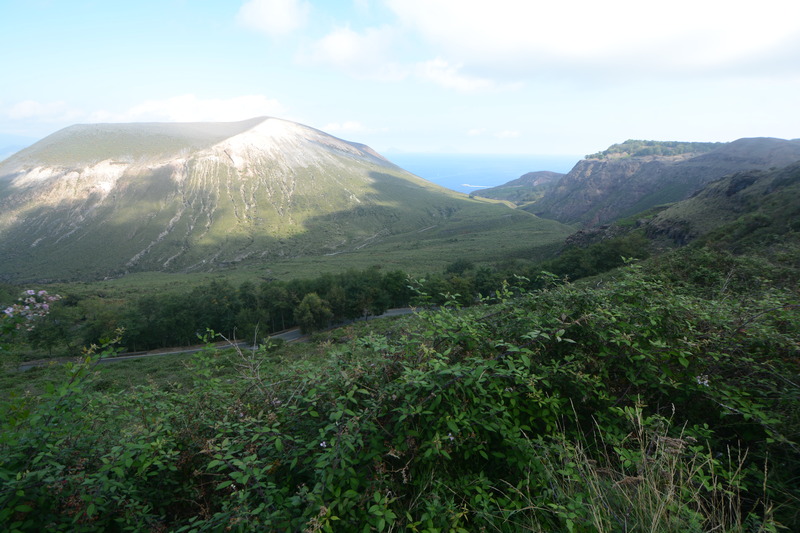 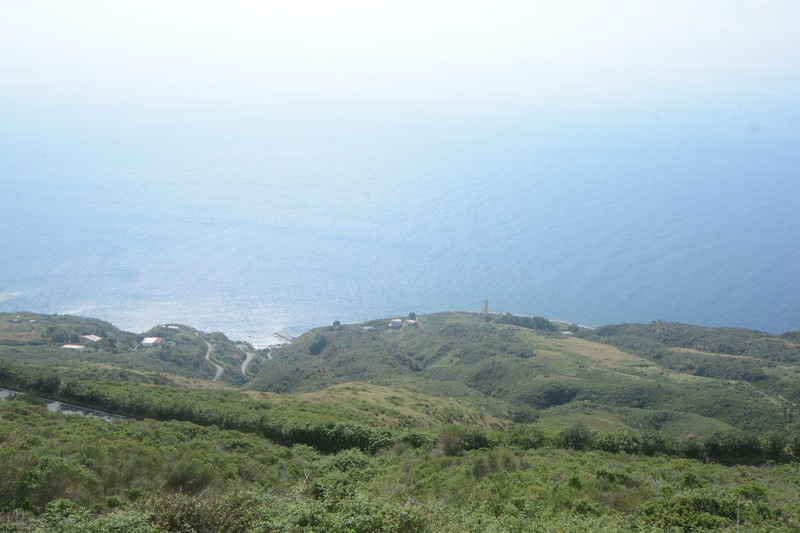 Monte Nuovo is the site of the most recent volcanic activity in the Phelgraean Fields. 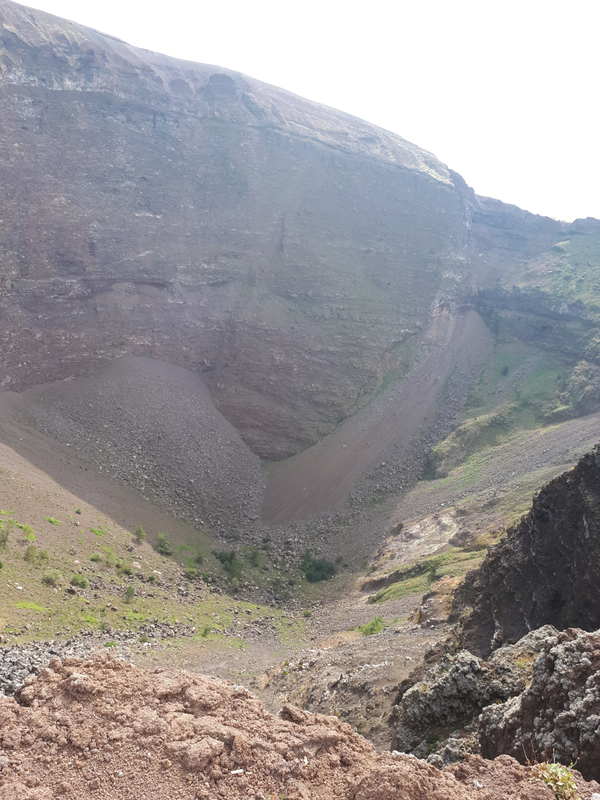 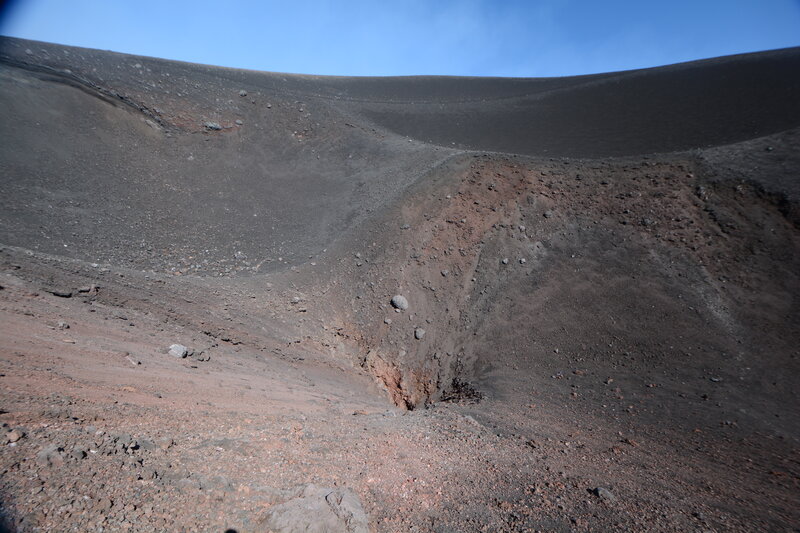 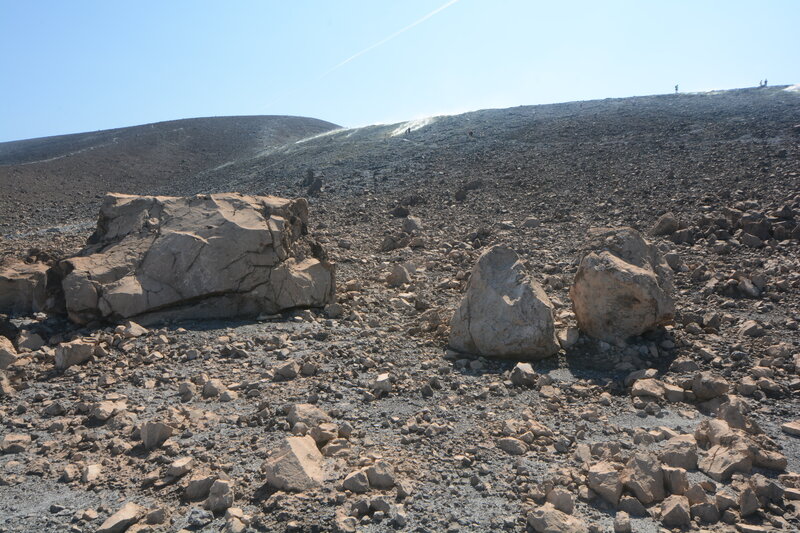 It is a scoria cone that erupted in 1538. 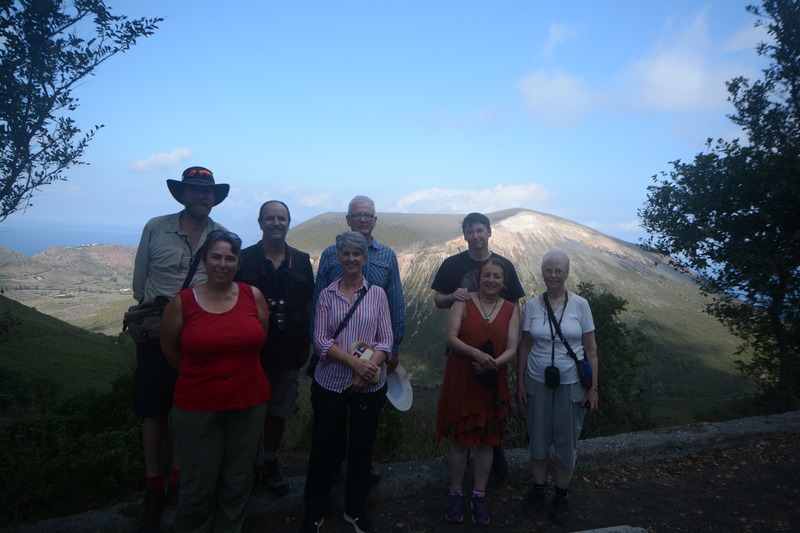 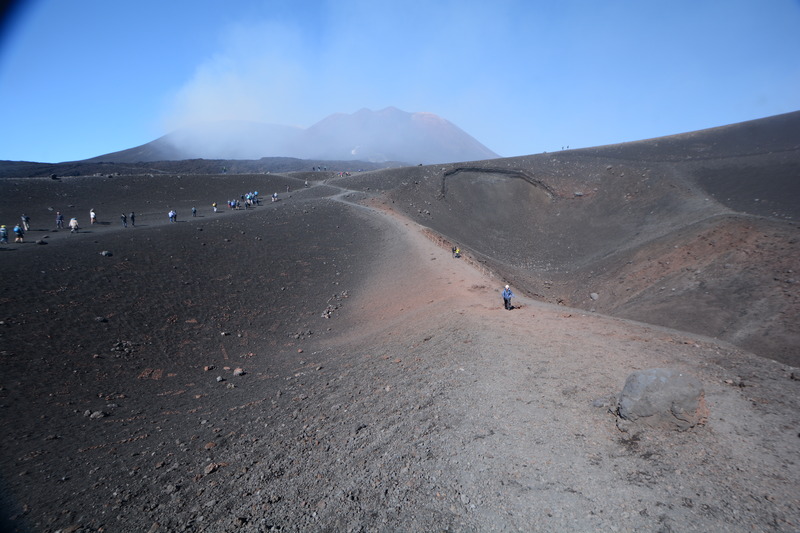 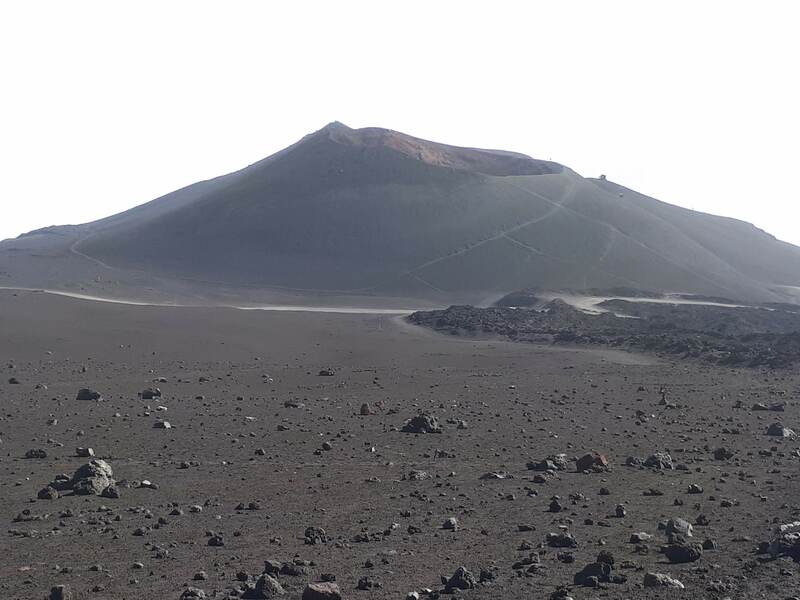 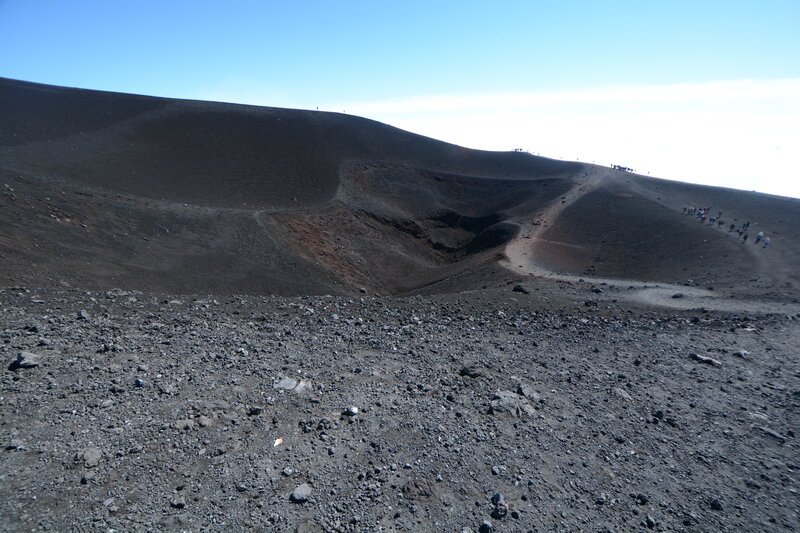 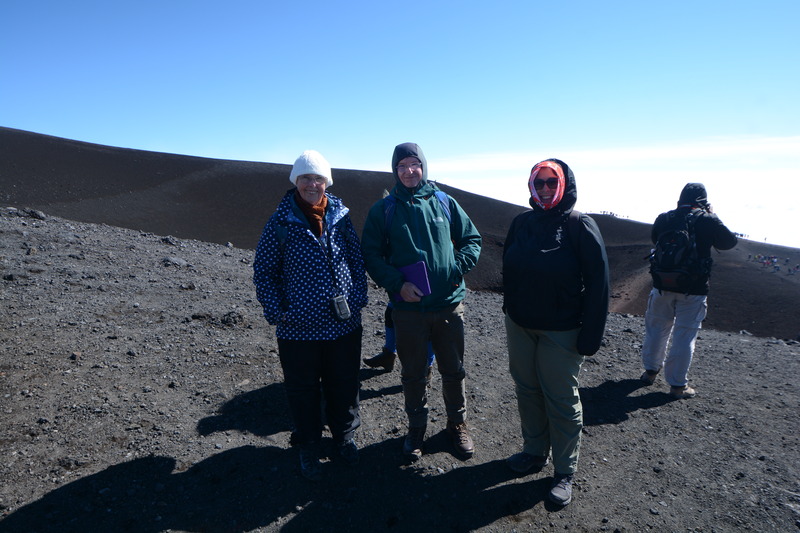 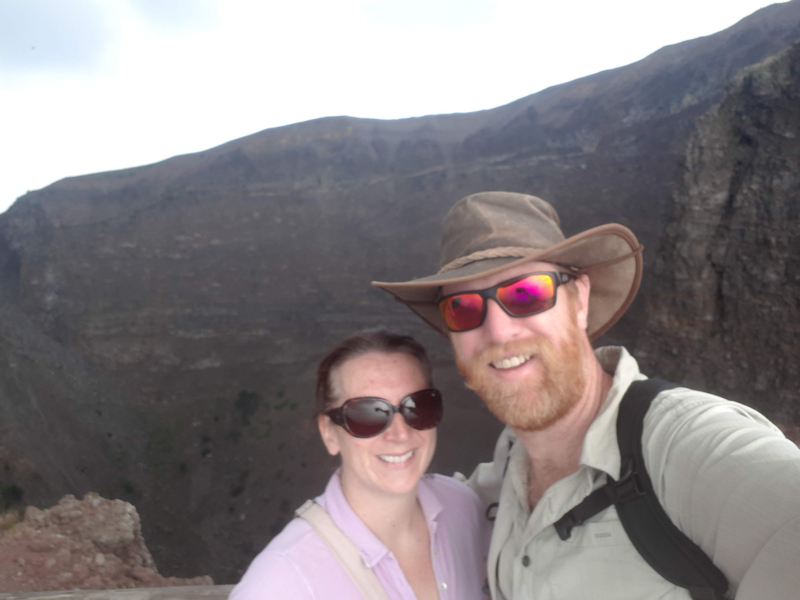 We climb to the crater rim and learn about its eruptions and get great views of Largo Averno, a lake filling a neighbouring crater. 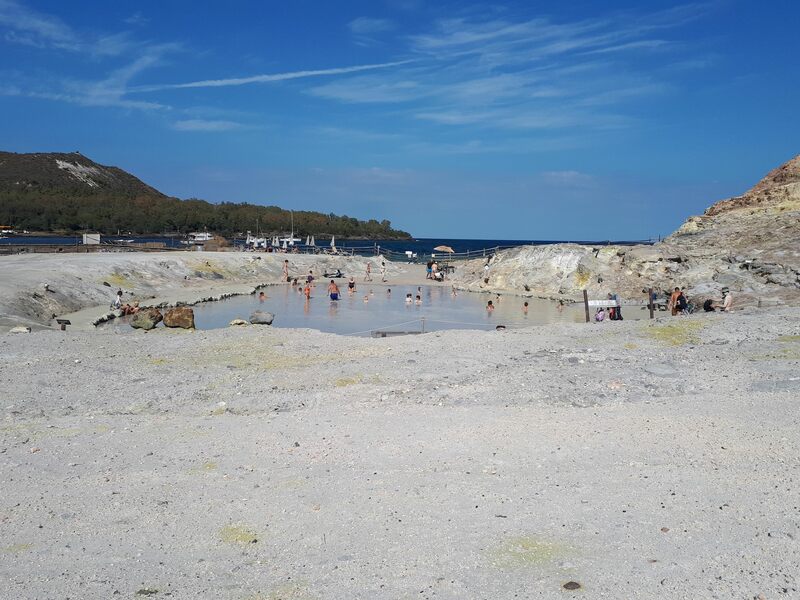 The lake's name means 'the lake without birds' due to its CO2 emissions and it was considered by the Romans to be the entrance to Hades. 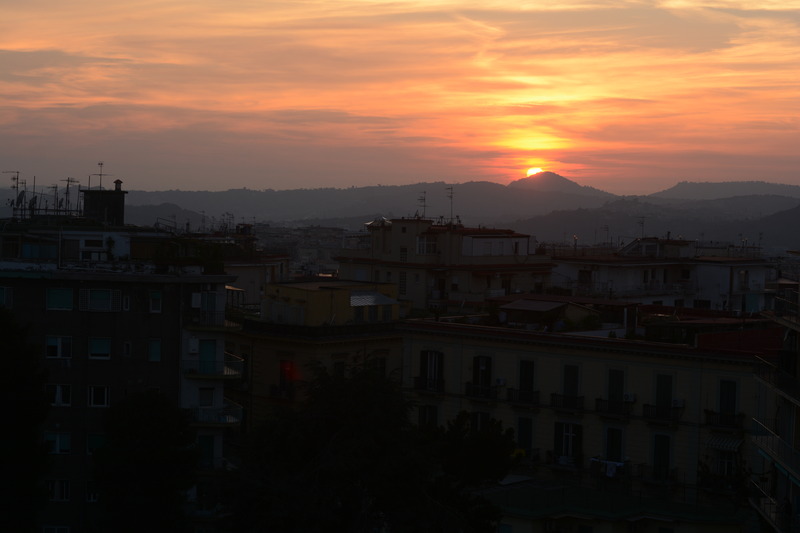 We then take the train back to Naples where we spend another night. 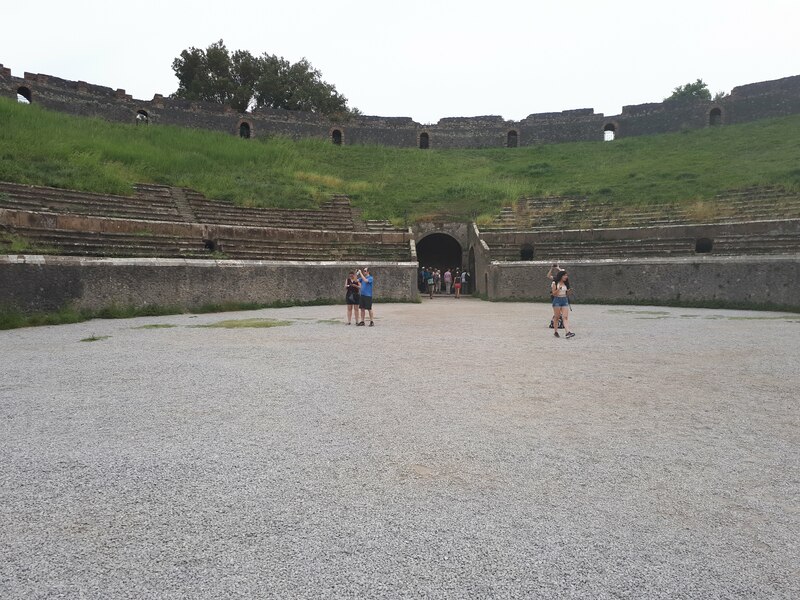 Day 4 - Pompeii World Heritage Site , Naples. 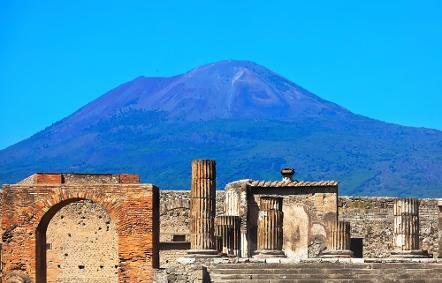 In the morning we travel by train and visit the Roman ruins of Pompeii which were also destroyed by an eruption of Mt Vesuvius in 79 AD. 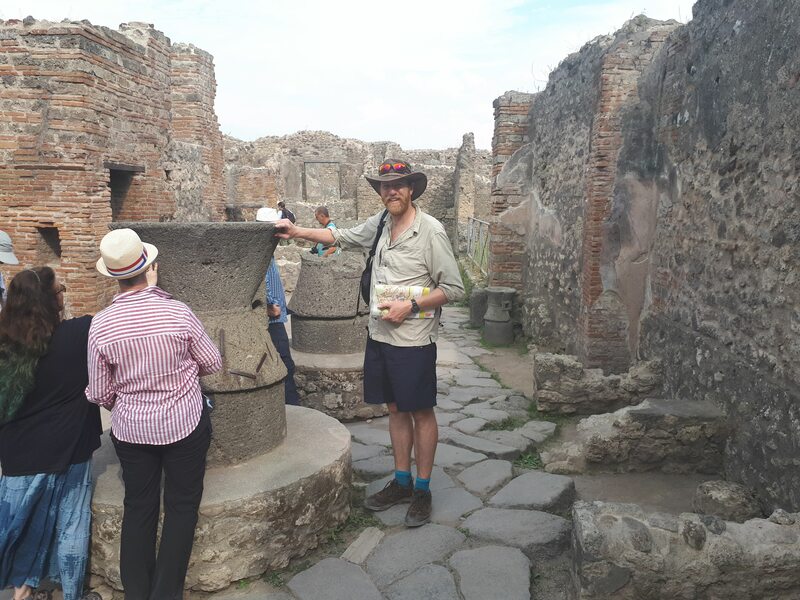 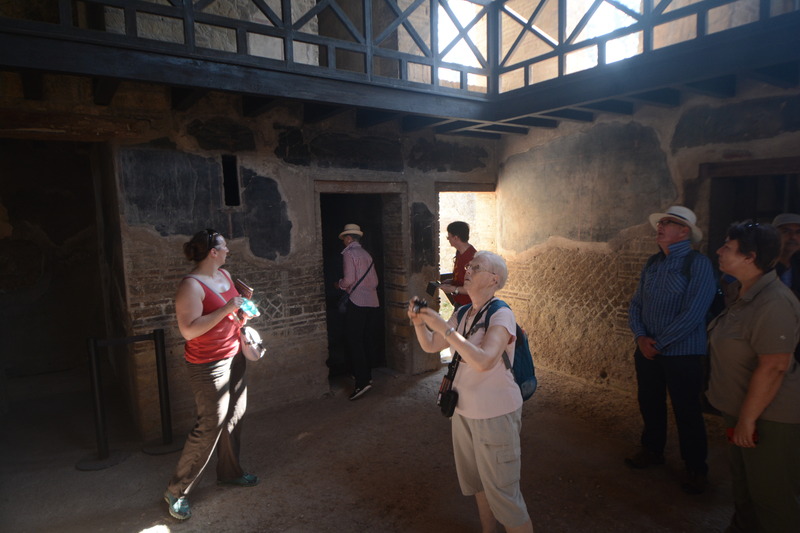 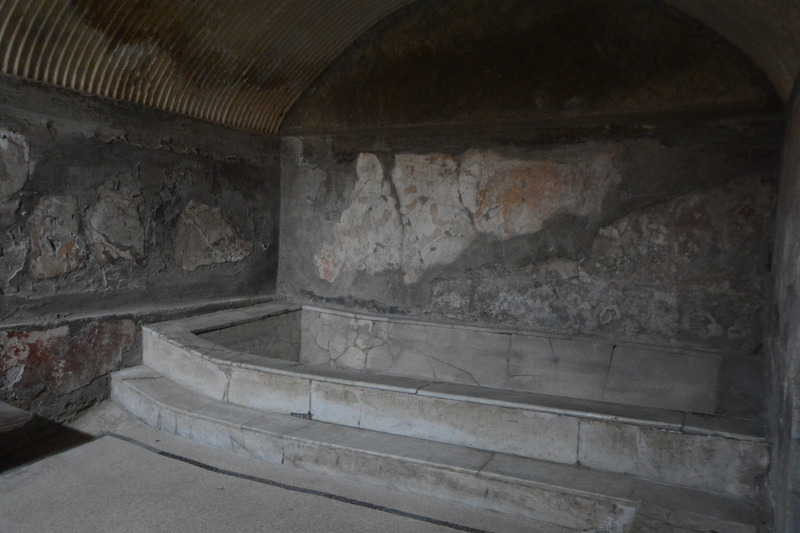 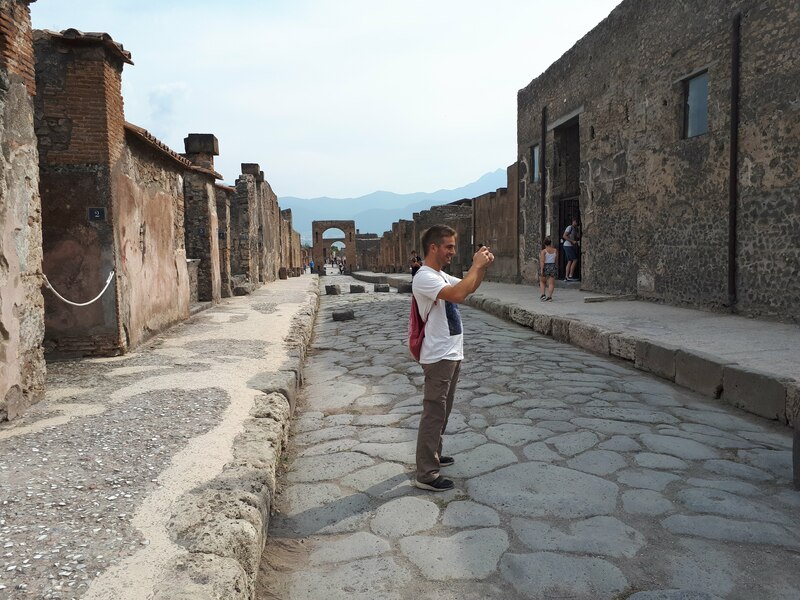 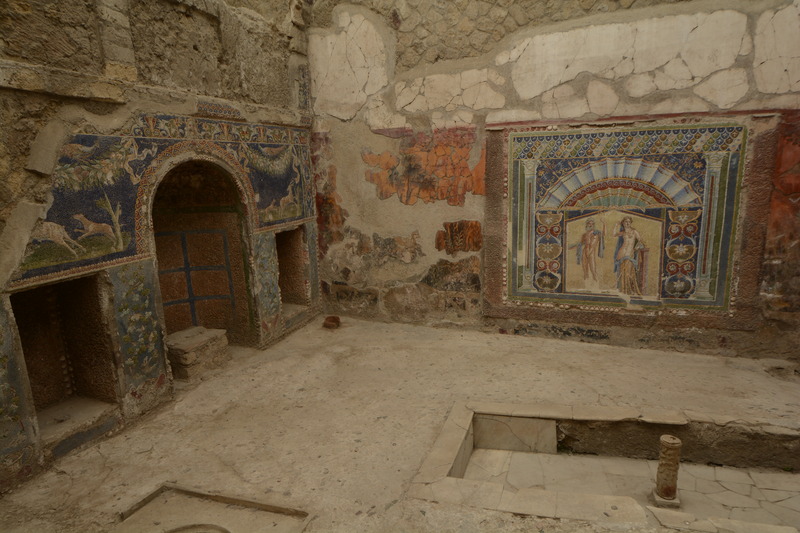 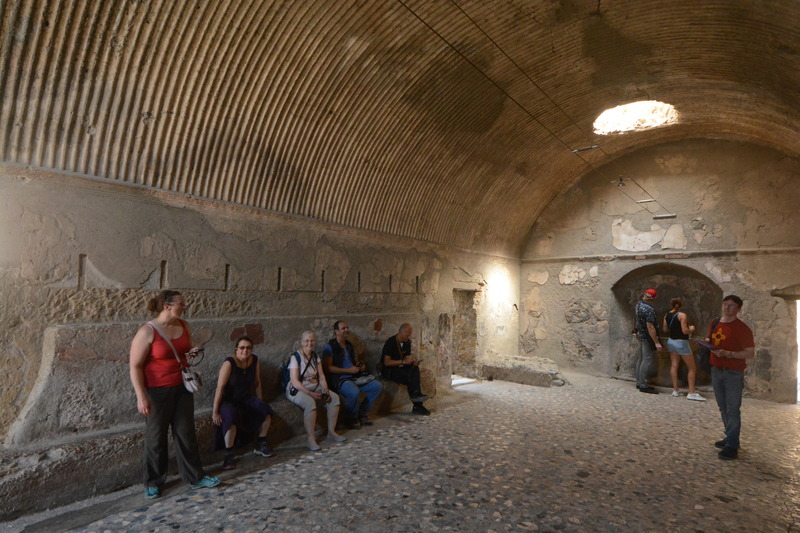 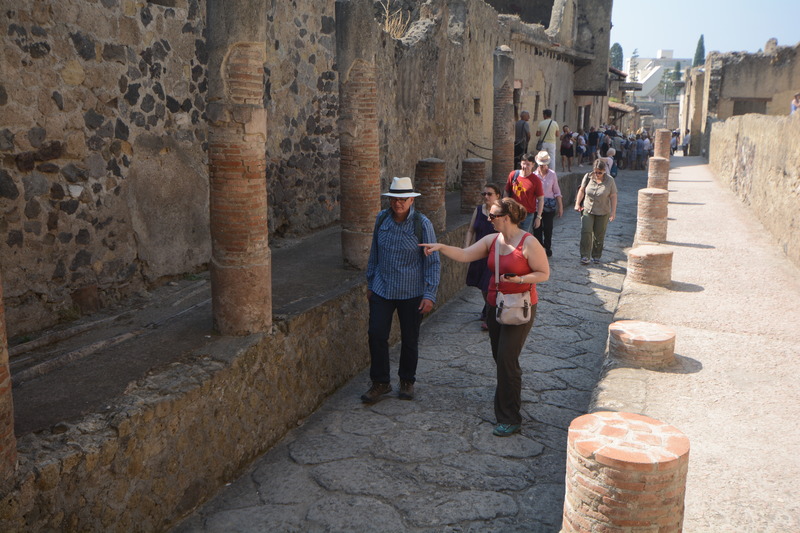 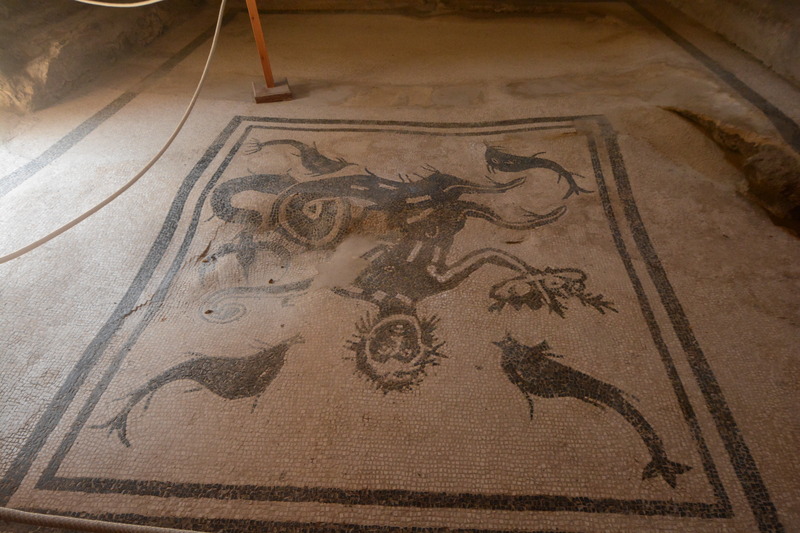 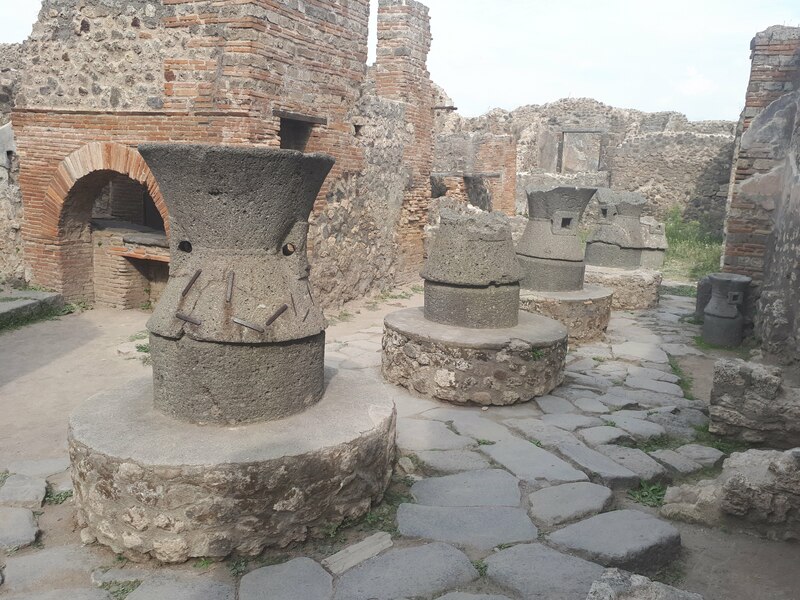 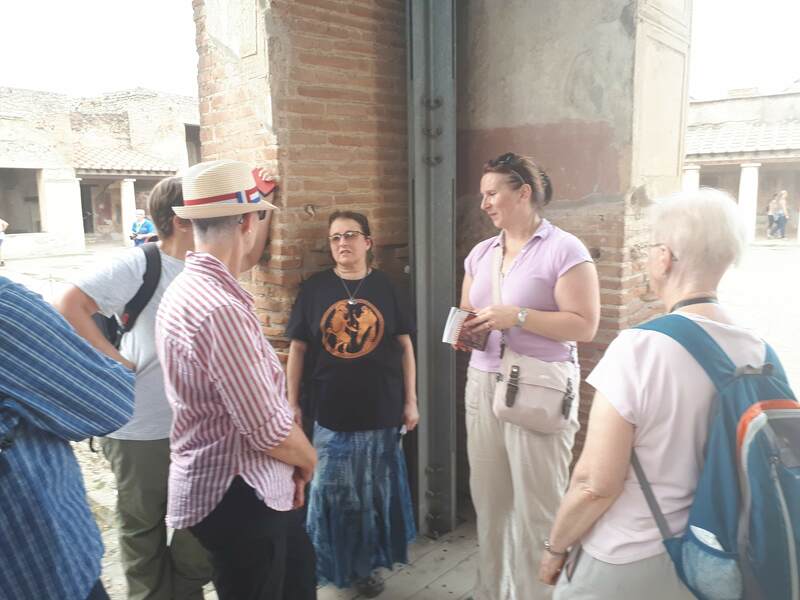 Pompeii is much bigger than Herculaneum and it needs more time to visit. 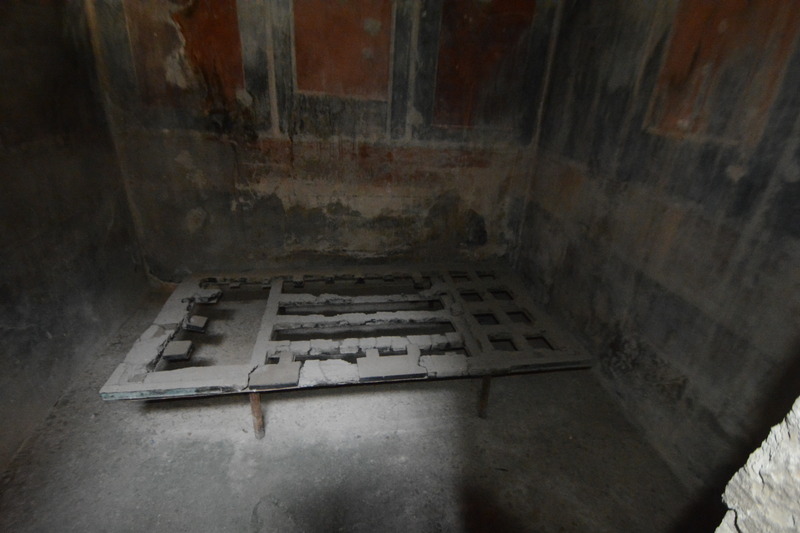 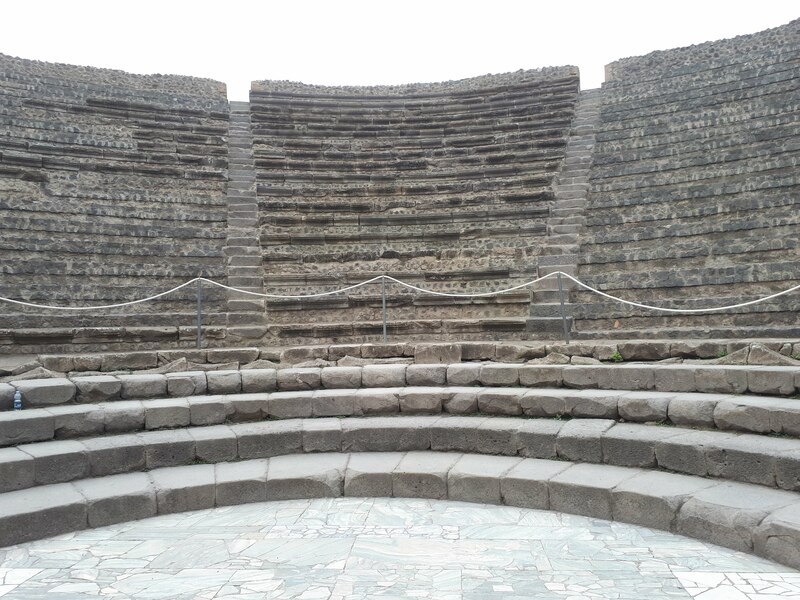 We will spend the morning together in Pompeii. 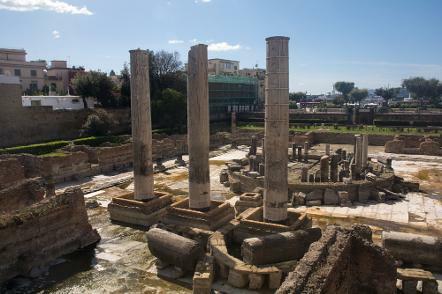 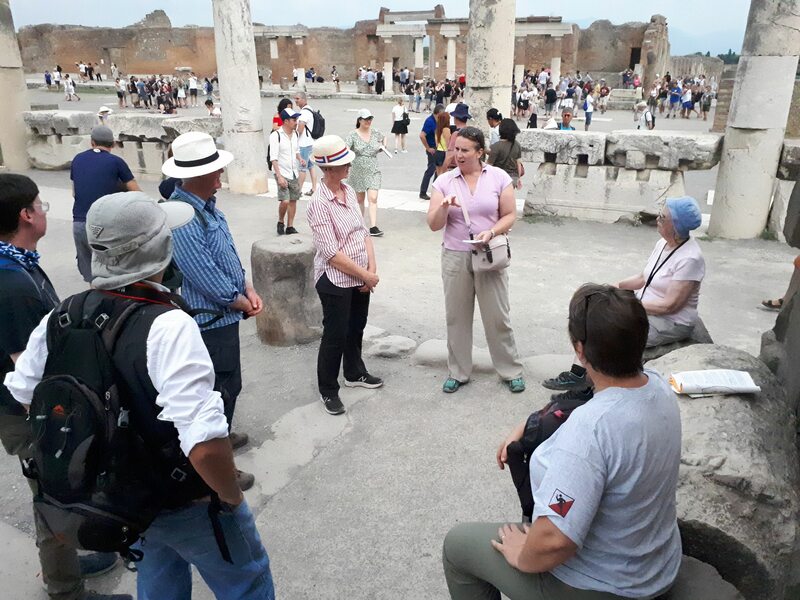 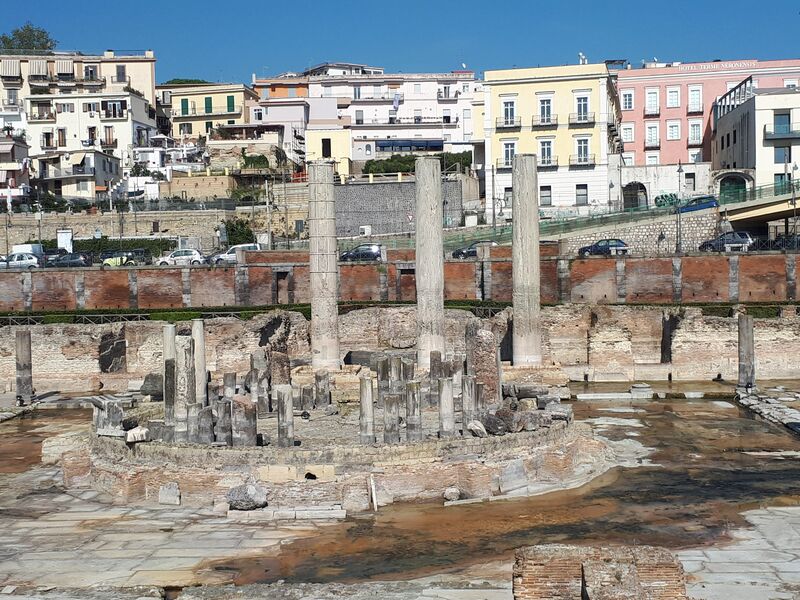 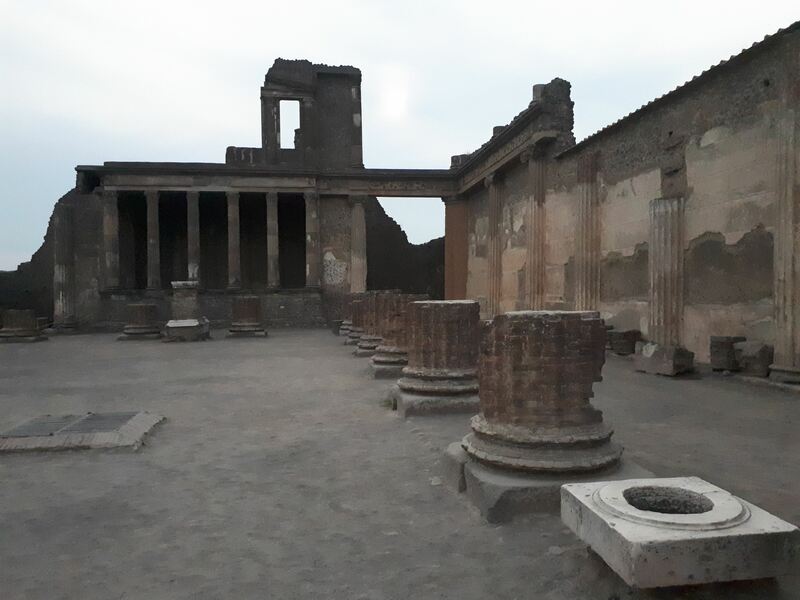 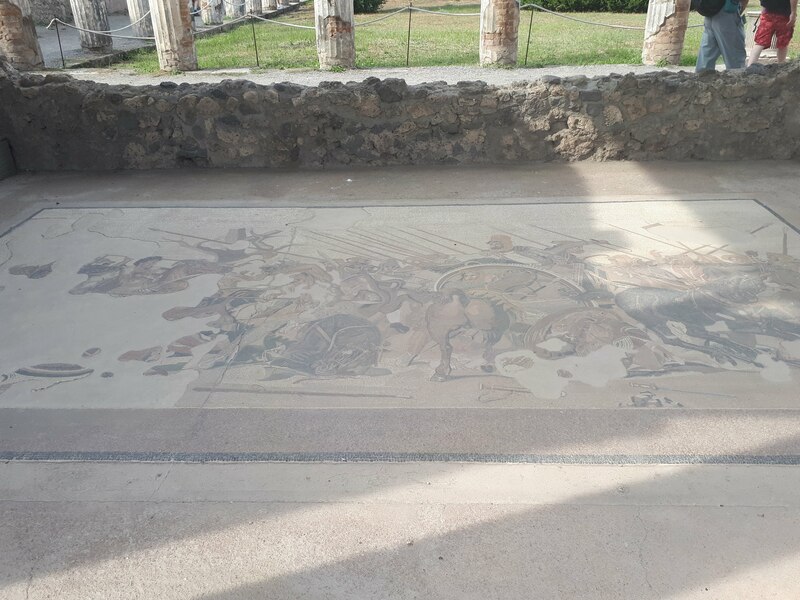 In the afternoon you have the option of additional time at Pompeii or free time in the Historic Centre of Naples which is also a World Heritage Site. 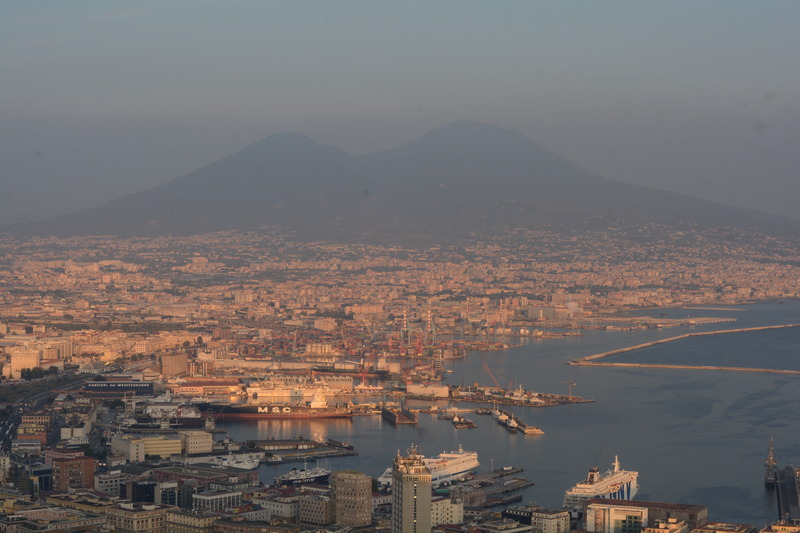 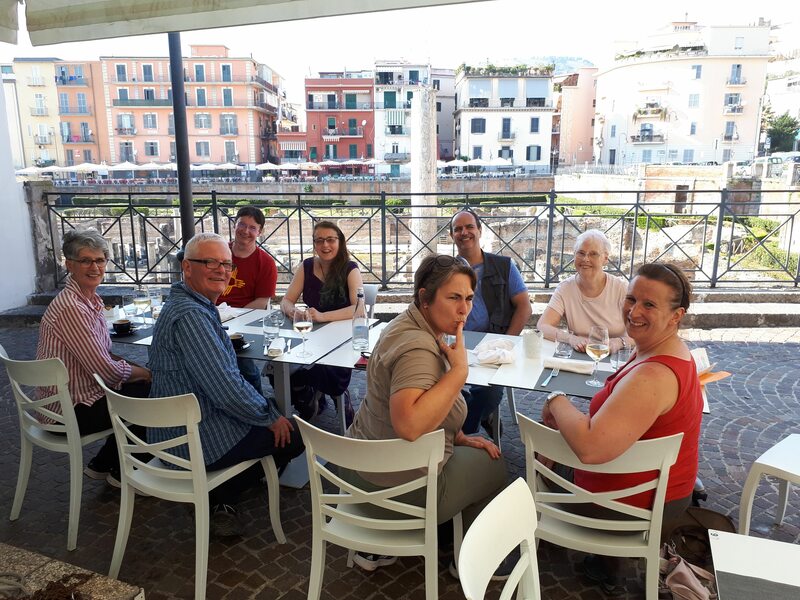 We will rendezvous at our Naples hotel at the end of the afternoon to collect our bags and will travel by taxi to the port of Naples, where we will take an overnight ferry to Lipari. 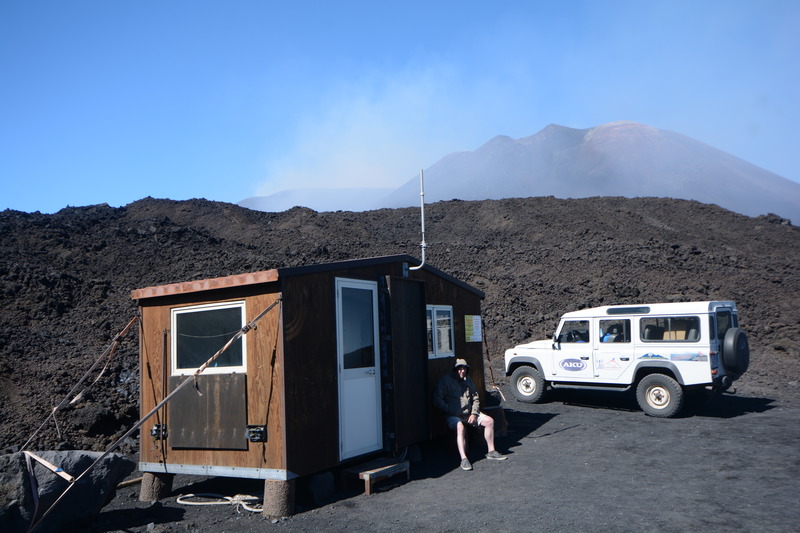 Our onboard accommodation will be in cabins. 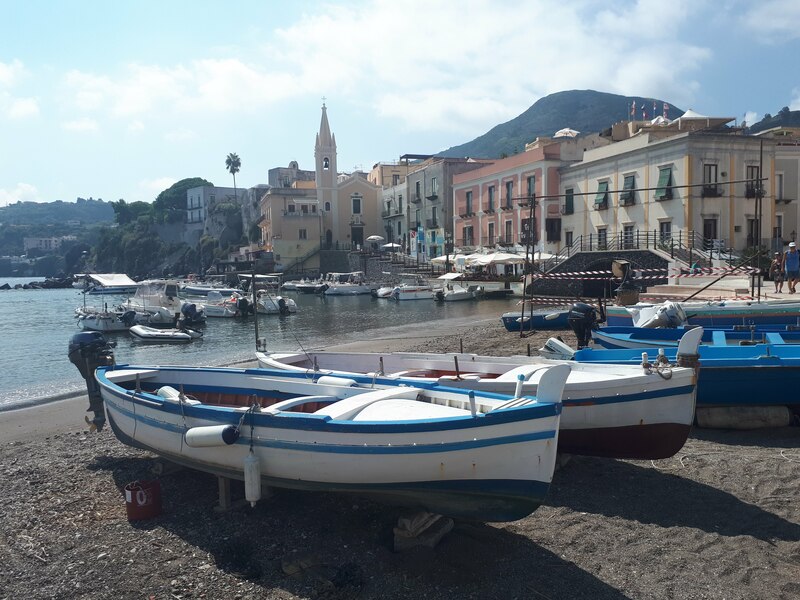 Day 5 - Lipari. 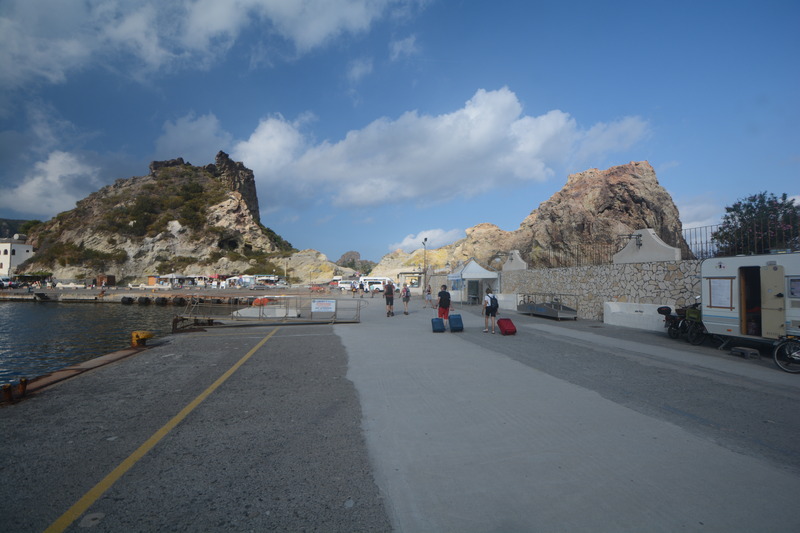 The ferry docks in the morning and we spend the whole day on Lipari. 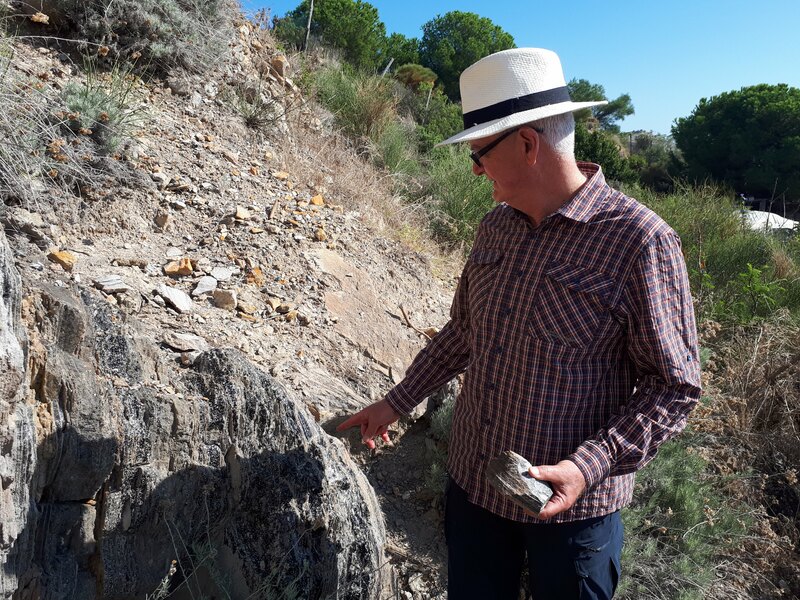 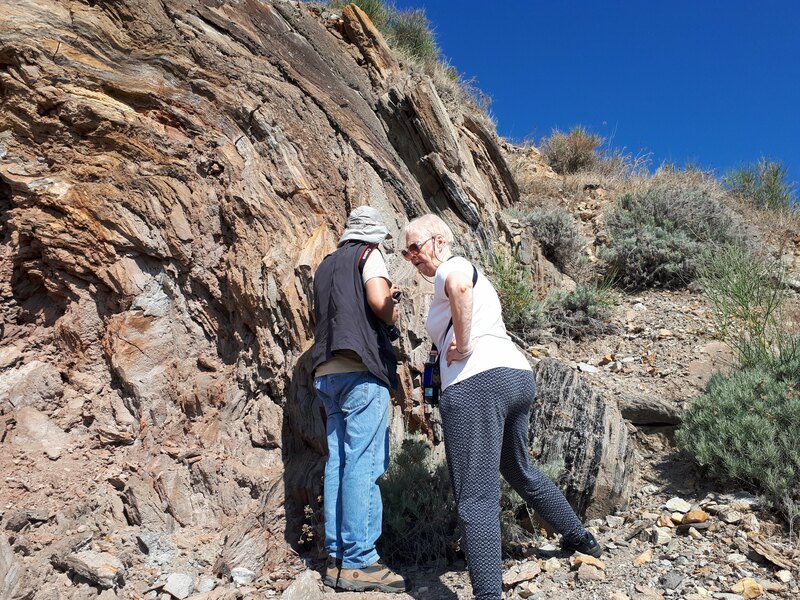 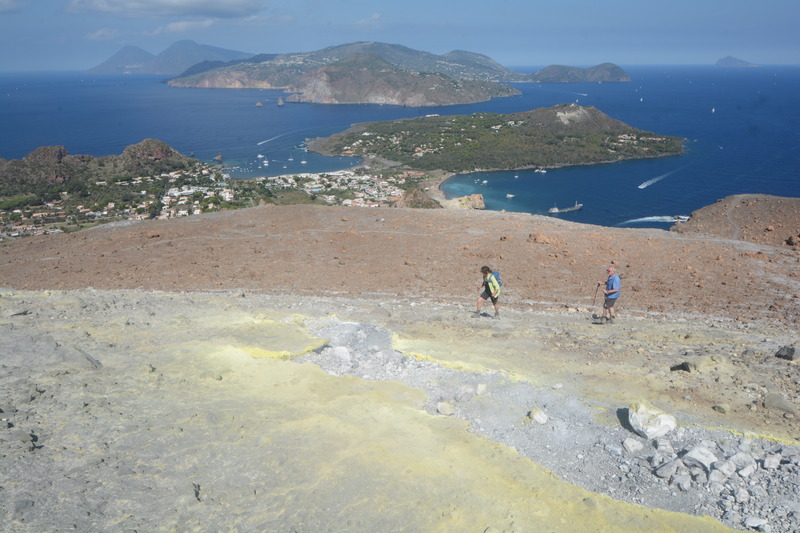 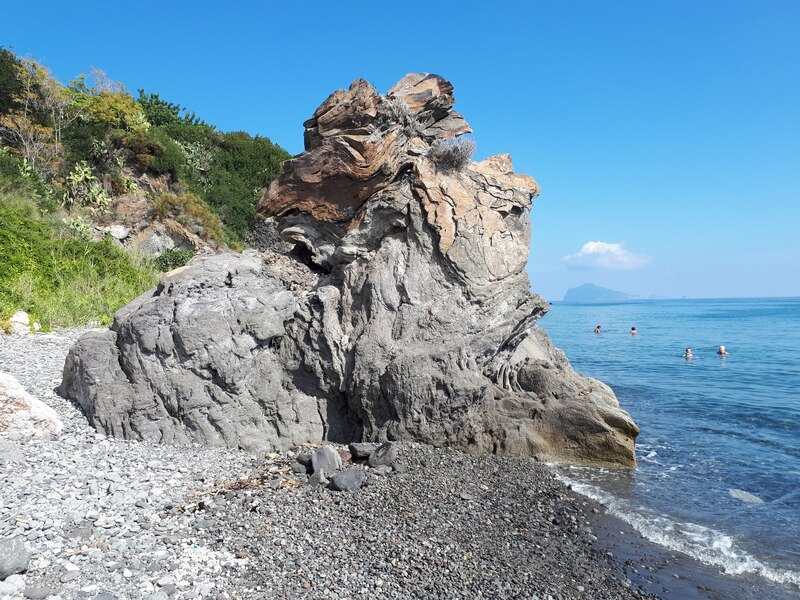 We take a local bus to the north of Lipari Island to see obsidian flow and pumice deposits from Monte Pilato. 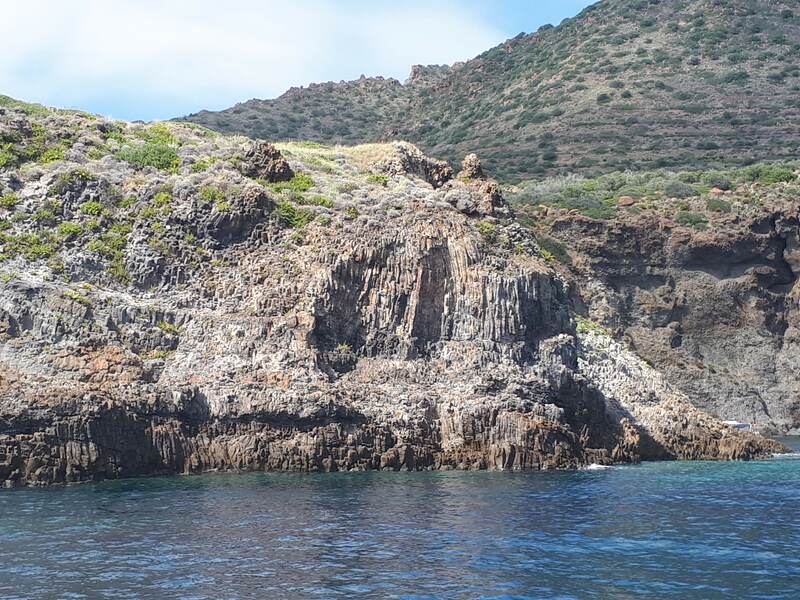 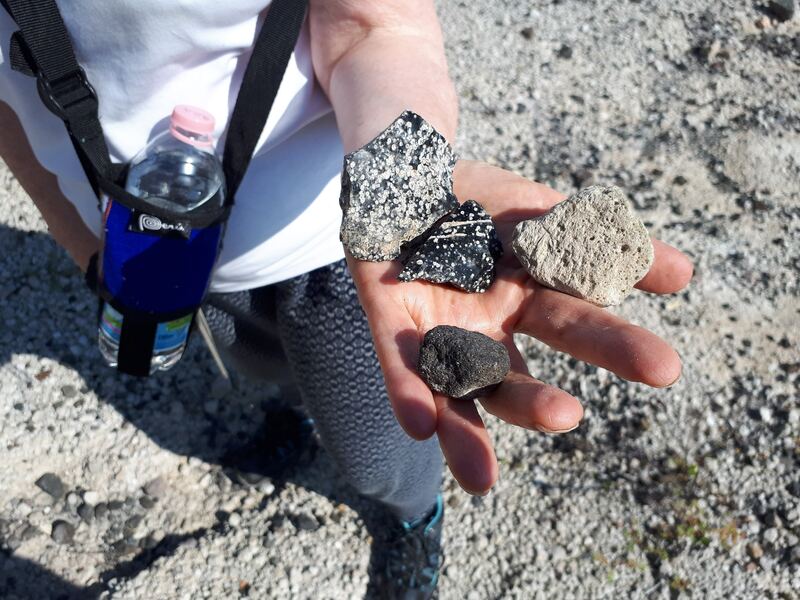 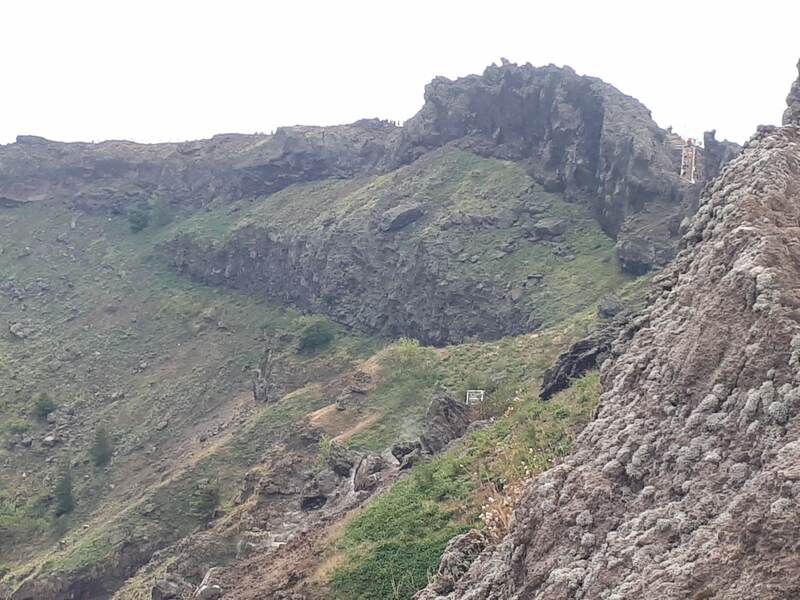 In the afternoon, again via local bus, we visit Quattrocchi on the west of the island, which has a stunning view and we descend via a coastal path to the beach, passing layered ash and lava deposits. 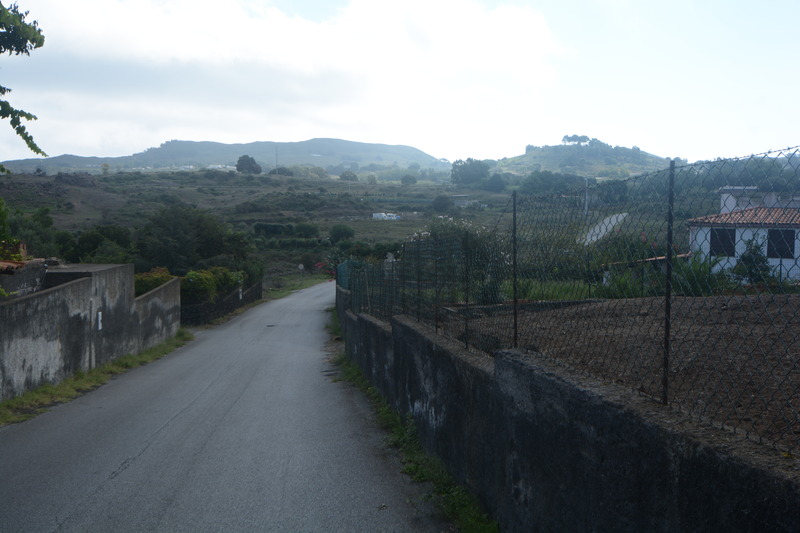 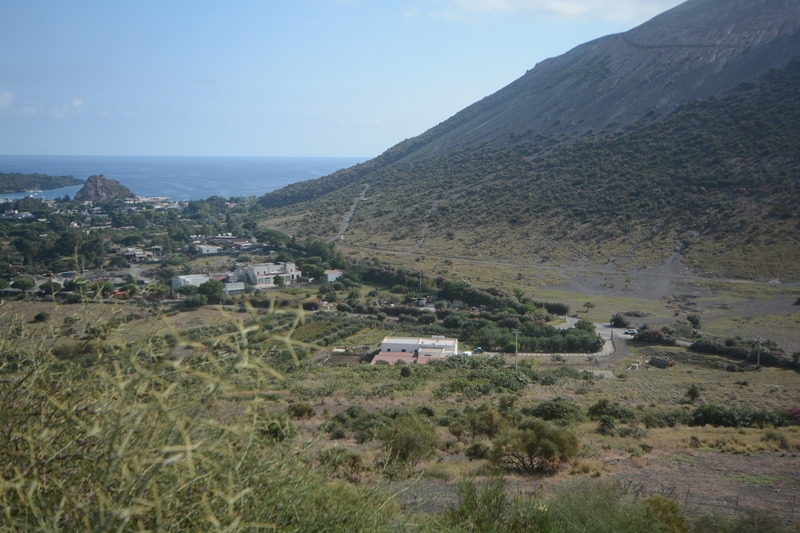 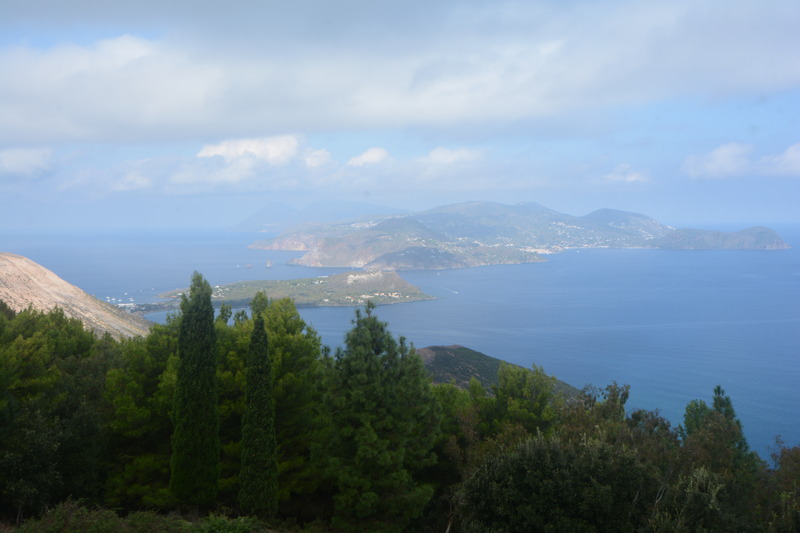 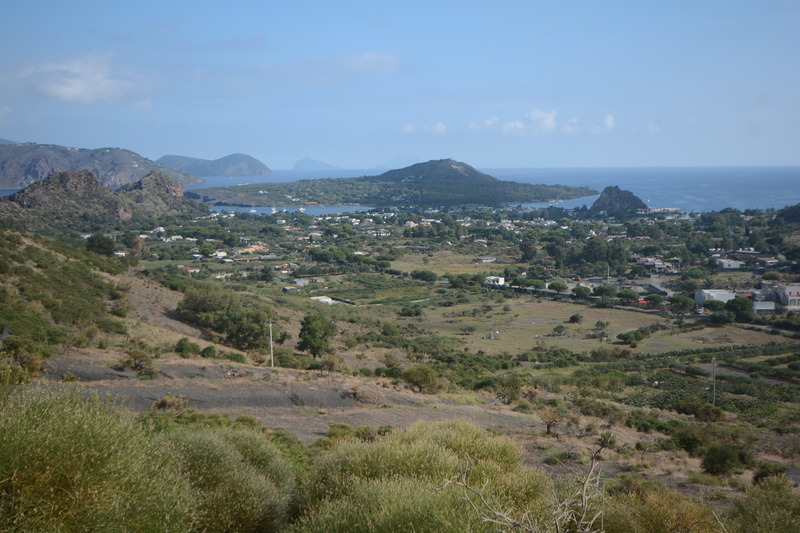 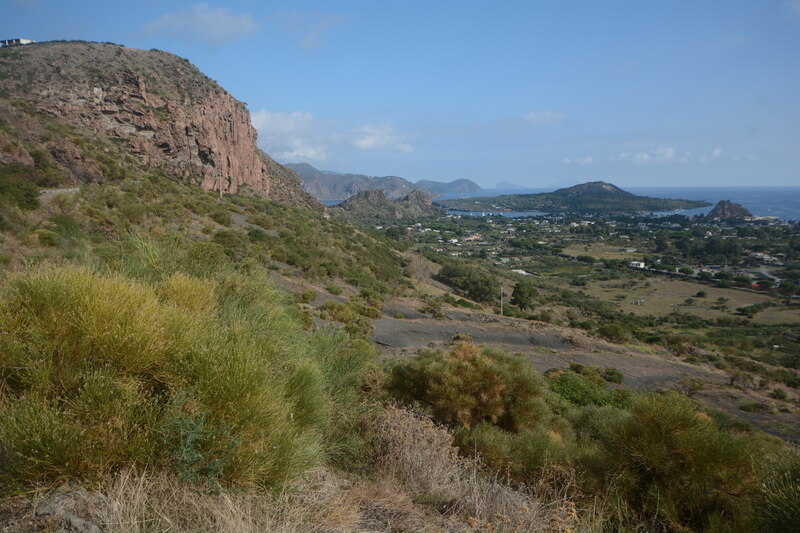 We then return to Lipari town on foot, by local path. 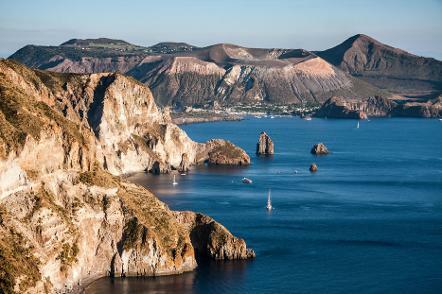 The night is spent in Lipari. 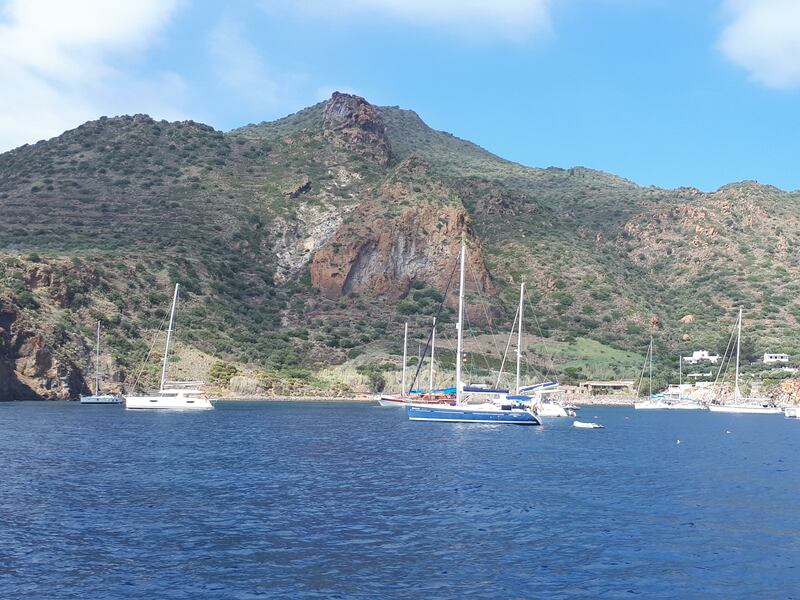 Day 6 - Lipari and Stromboli. 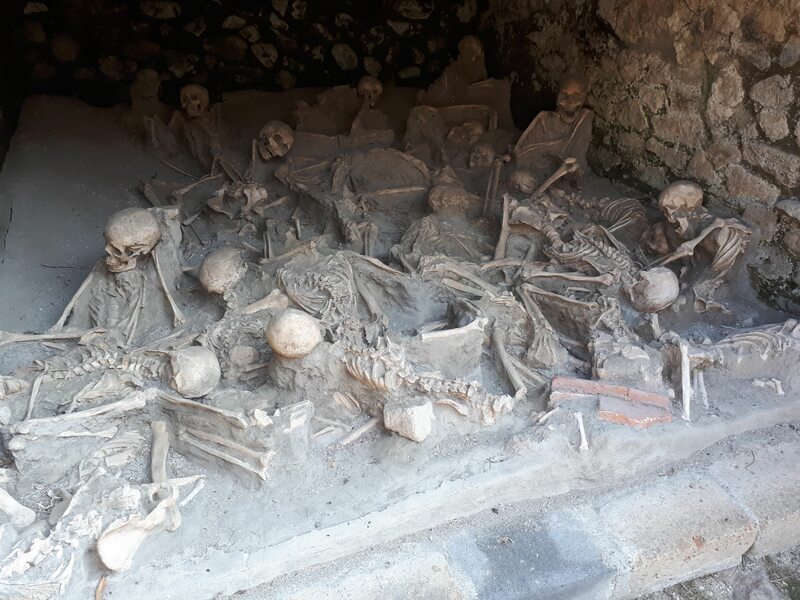 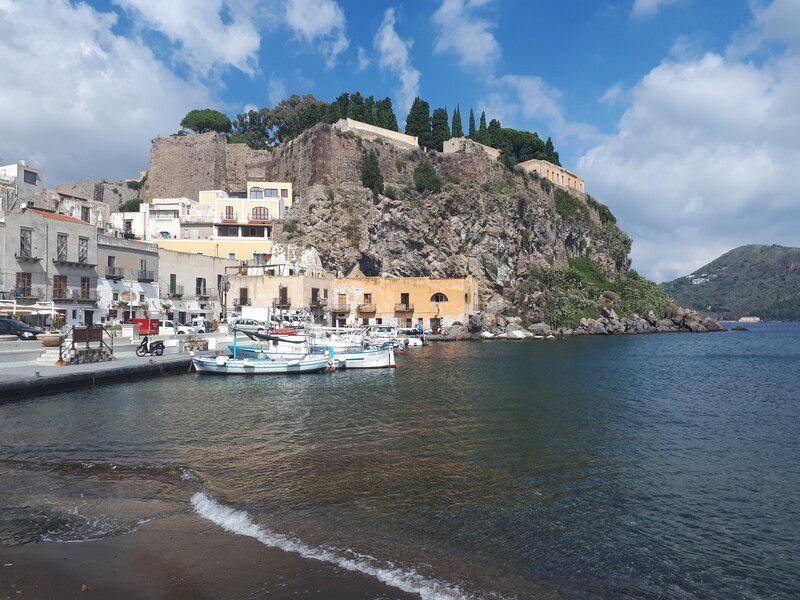 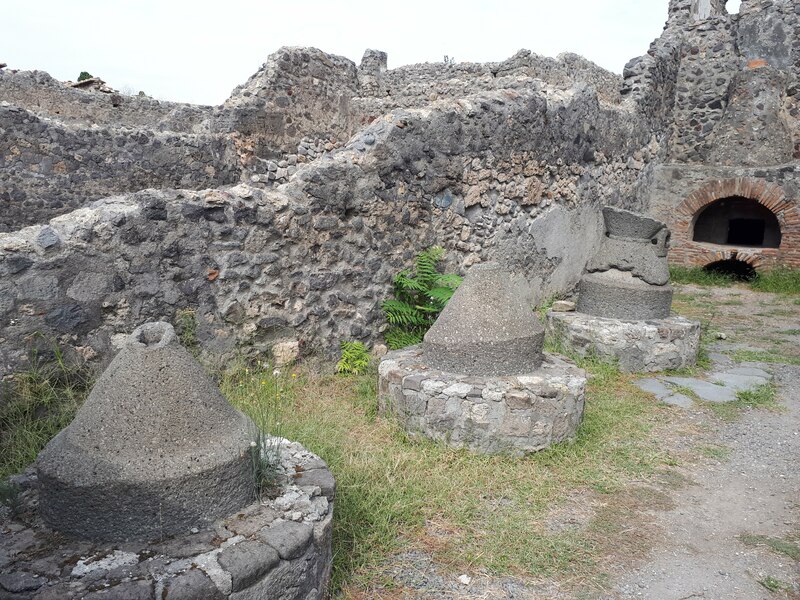 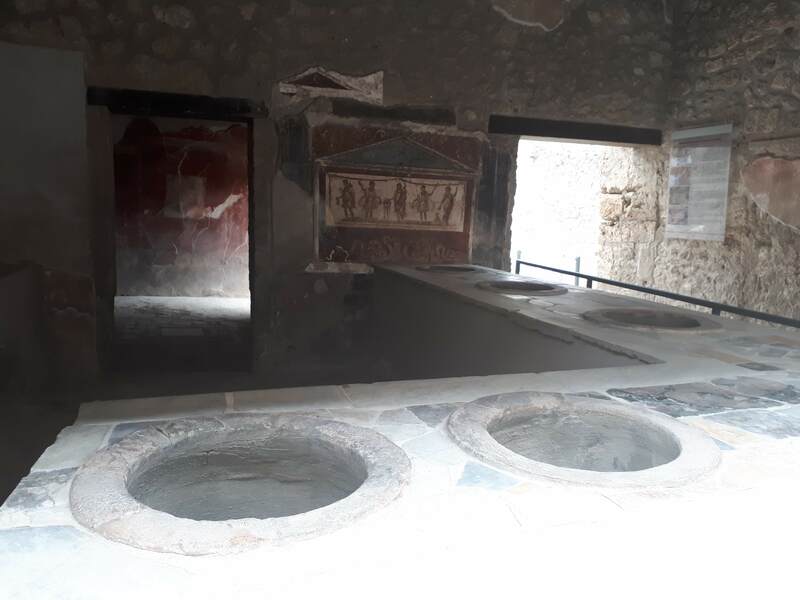 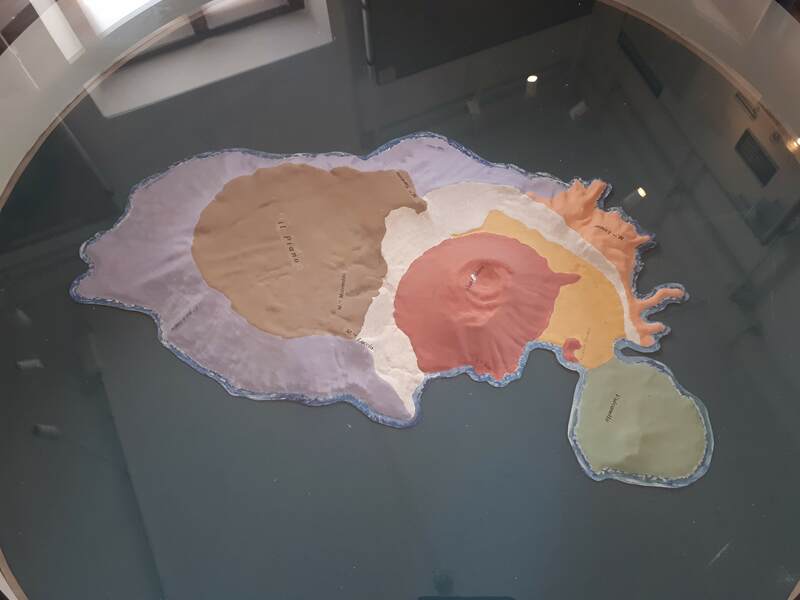 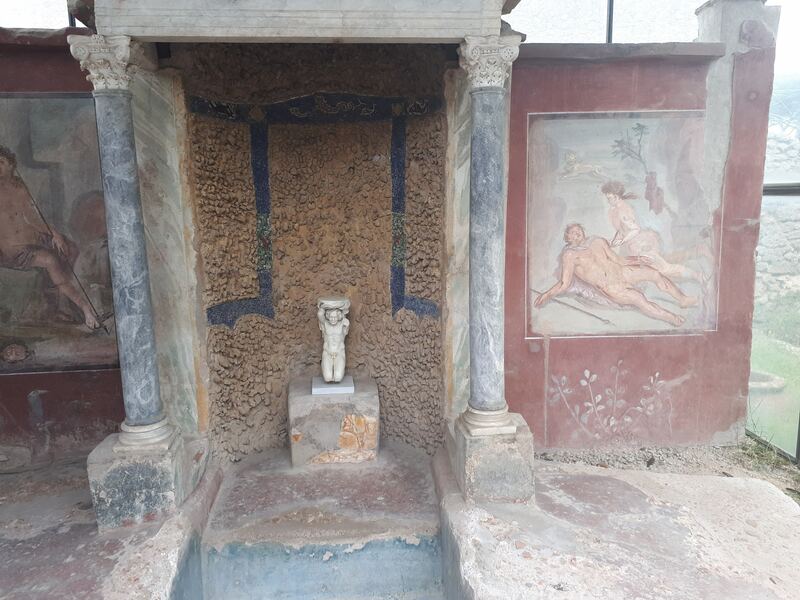 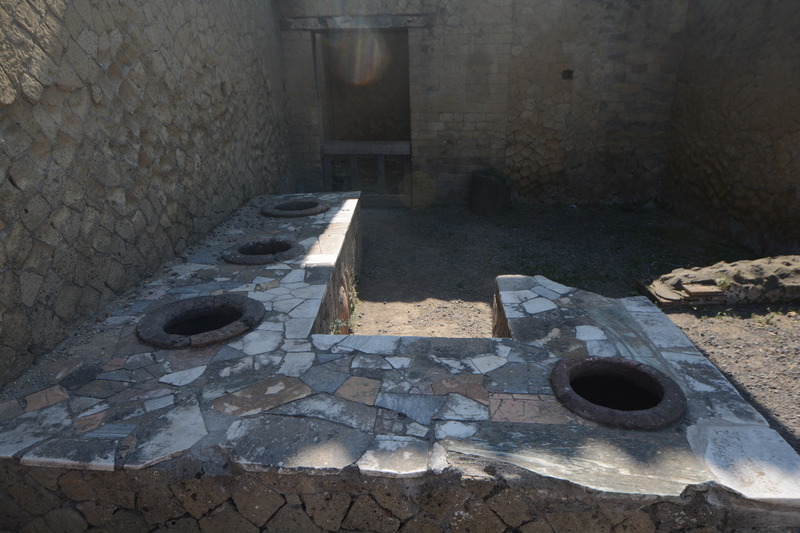 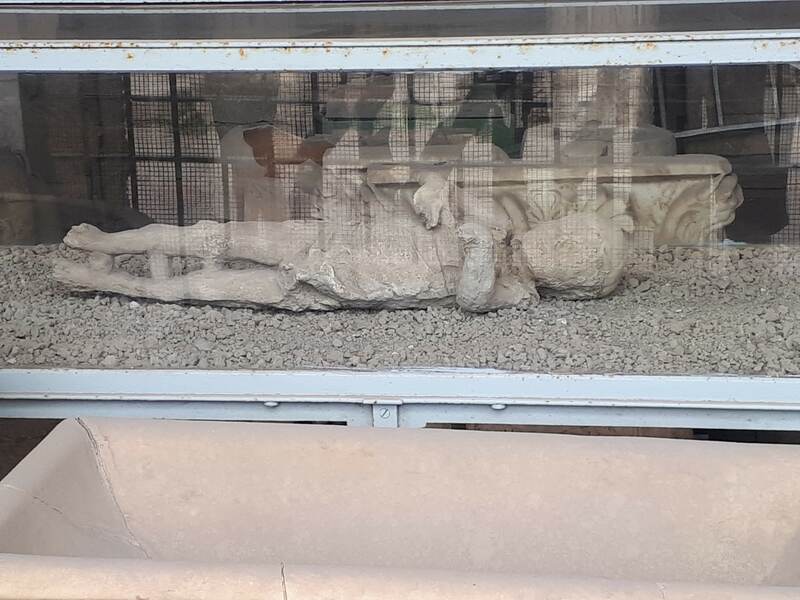 Free morning in Lipari Town with the opportunity, if you wish, to visit the Old Town and Castle, in which the local museum is based with its displays on the colonisation of the islands dating back to Neolithic times, around 4000BC. 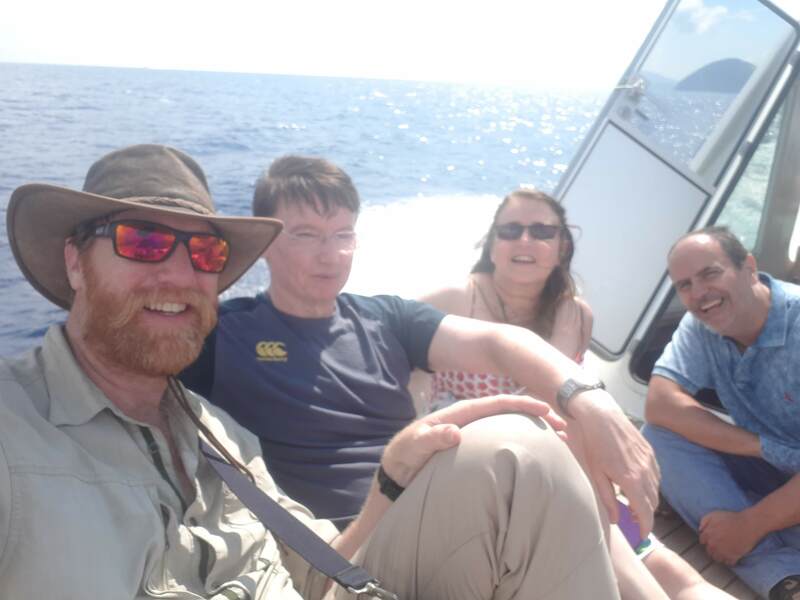 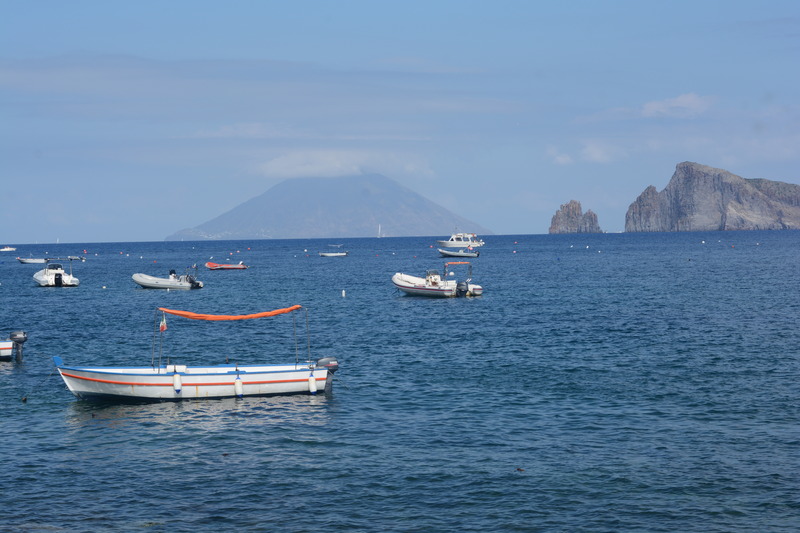 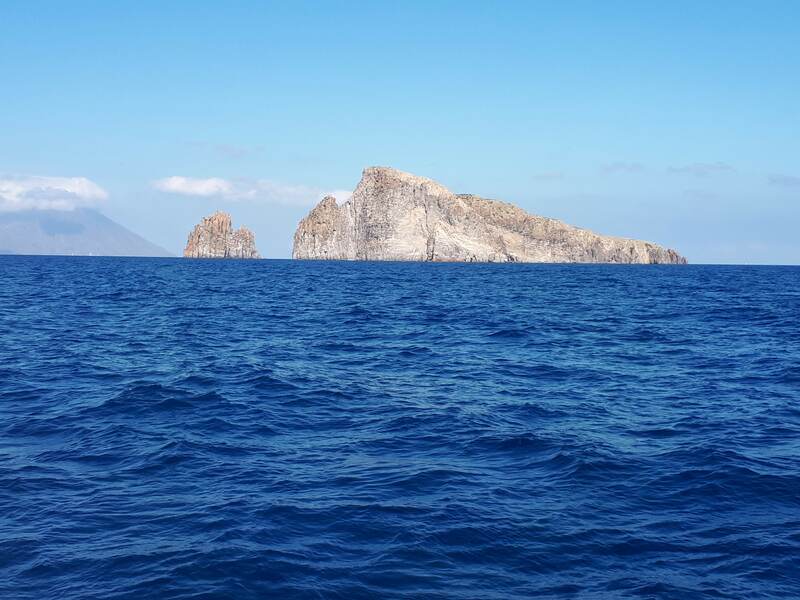 We take the hydrofoil over to Stromboli, leaving around midday, with a stop at Panarea to take a picnic lunch. 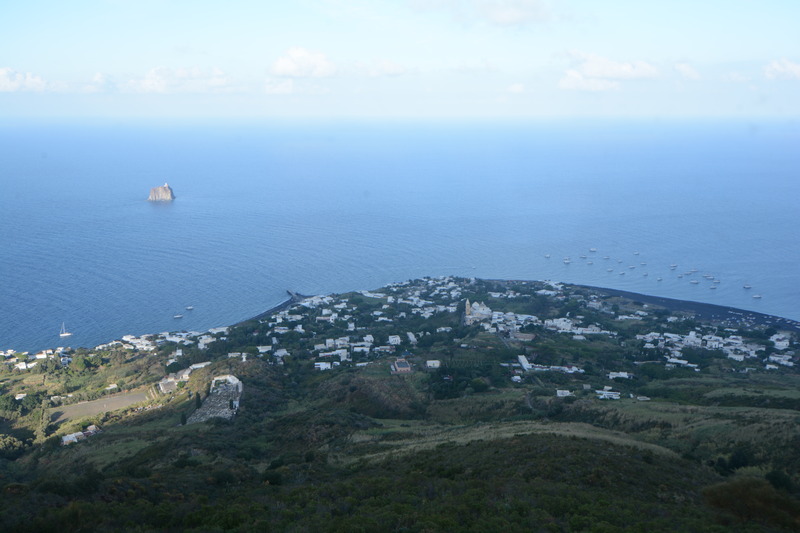 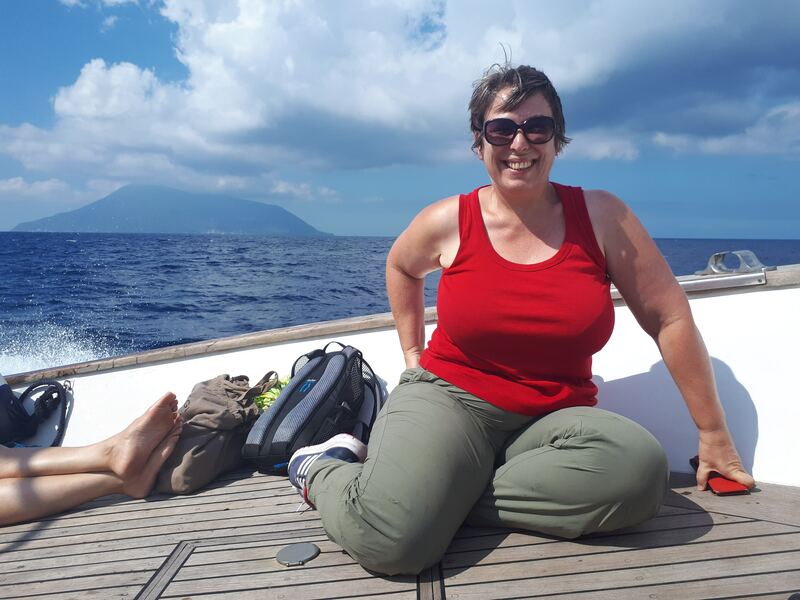 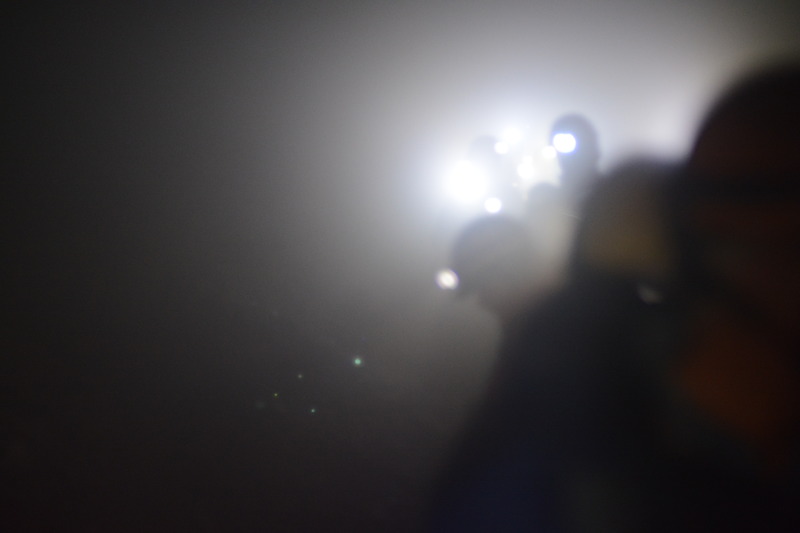 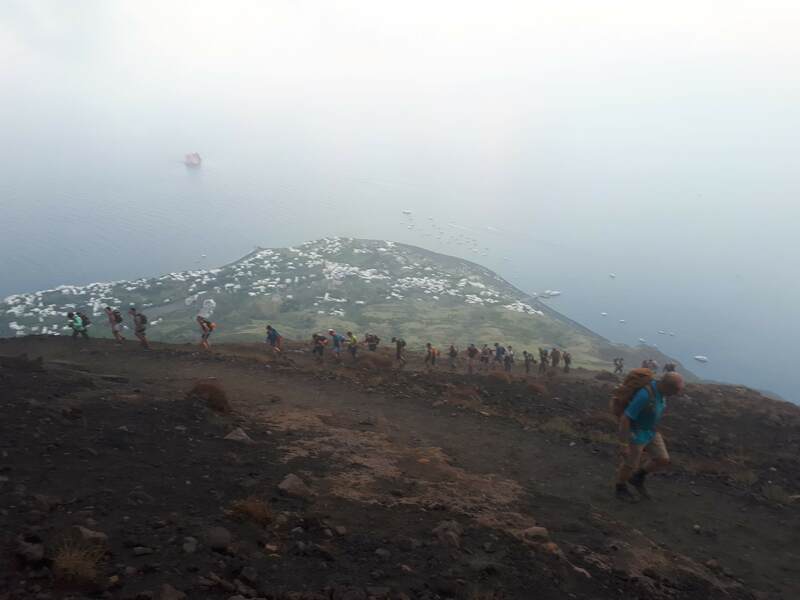 We arrive on Stromboli island in the late afternoon and then take a steady climb to the top, accompanied by local guides, reaching the summit at dusk. 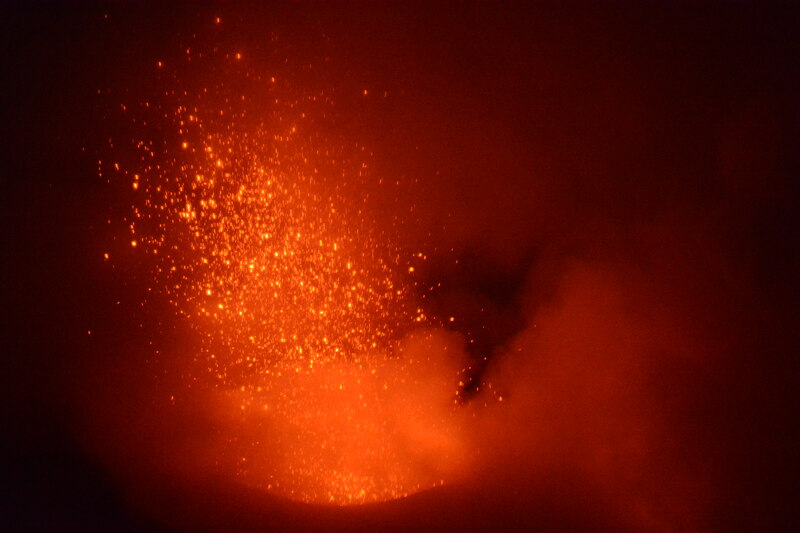 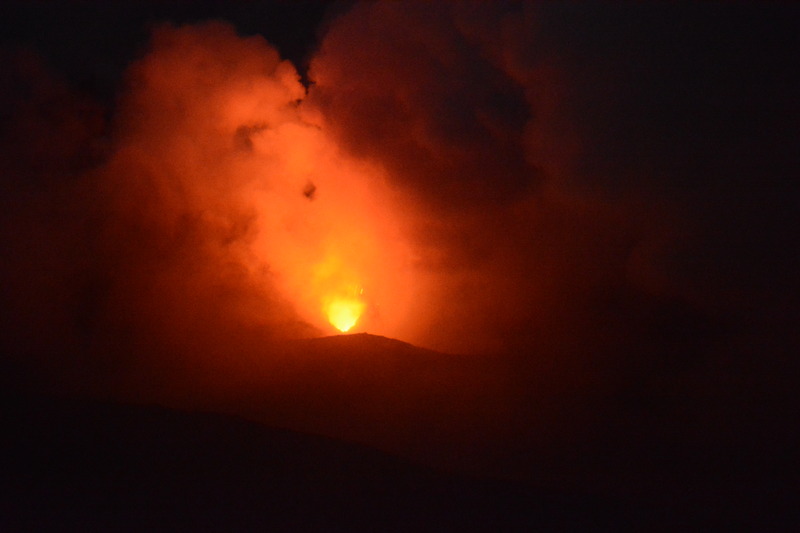 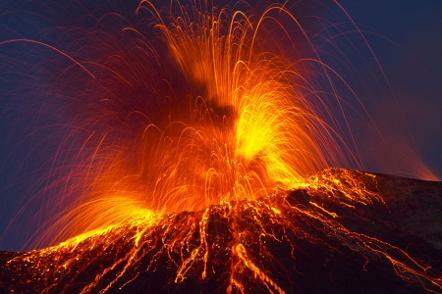 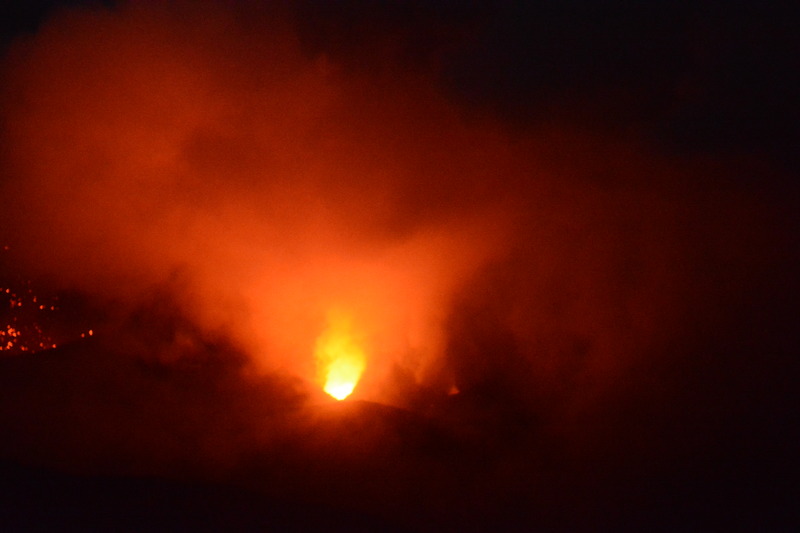 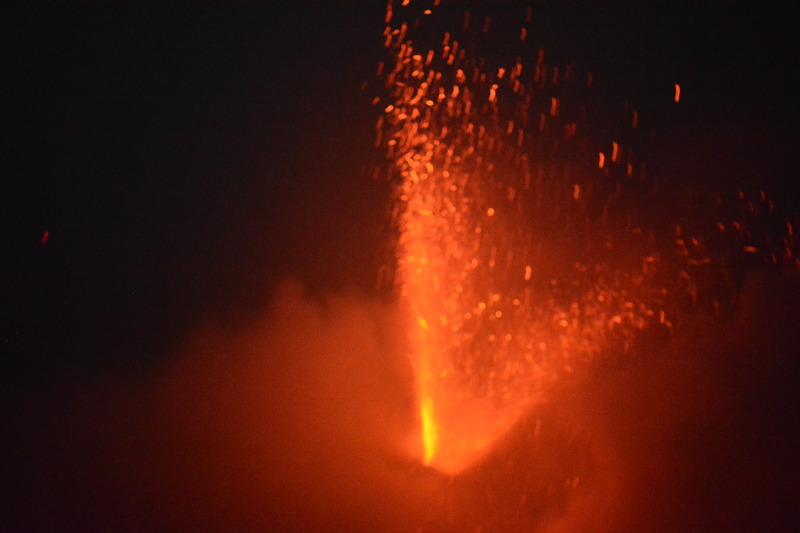 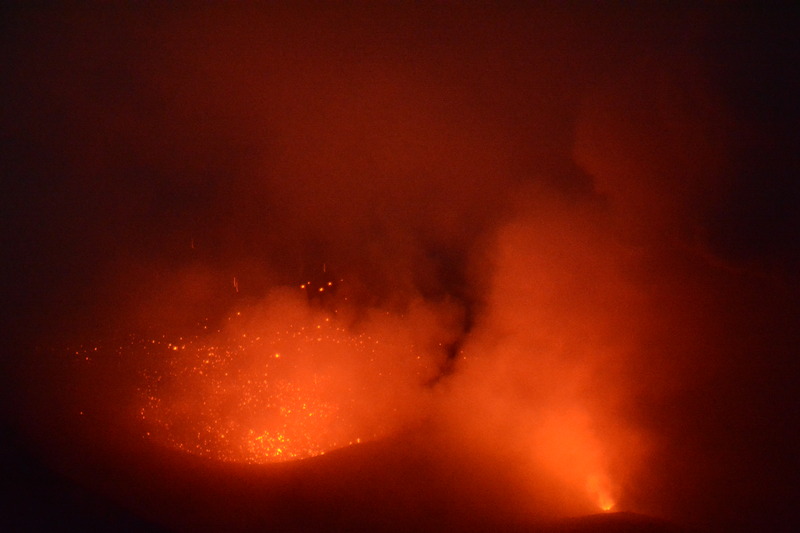 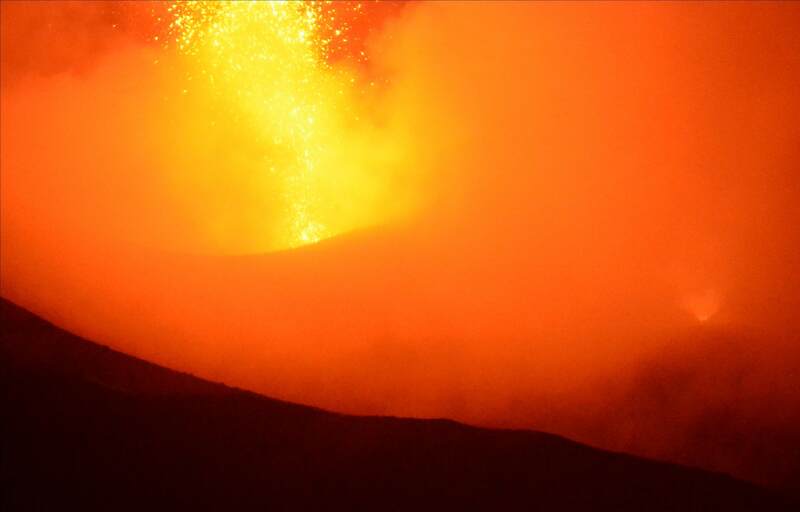 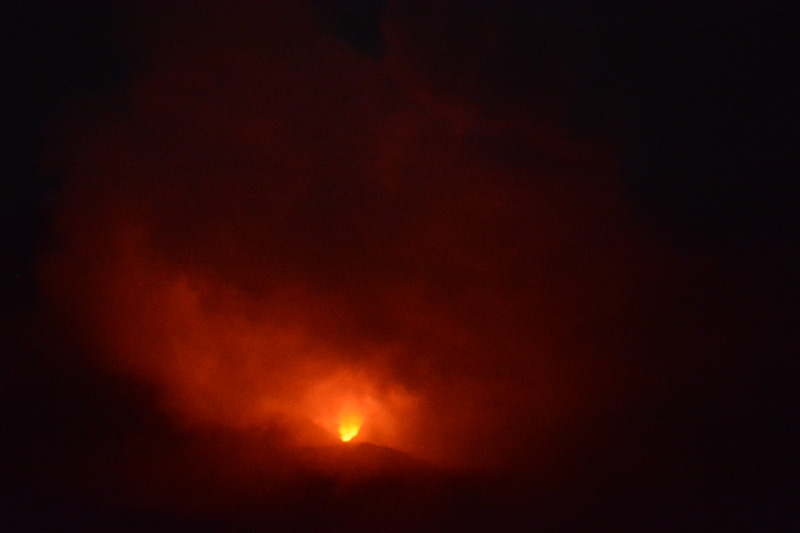 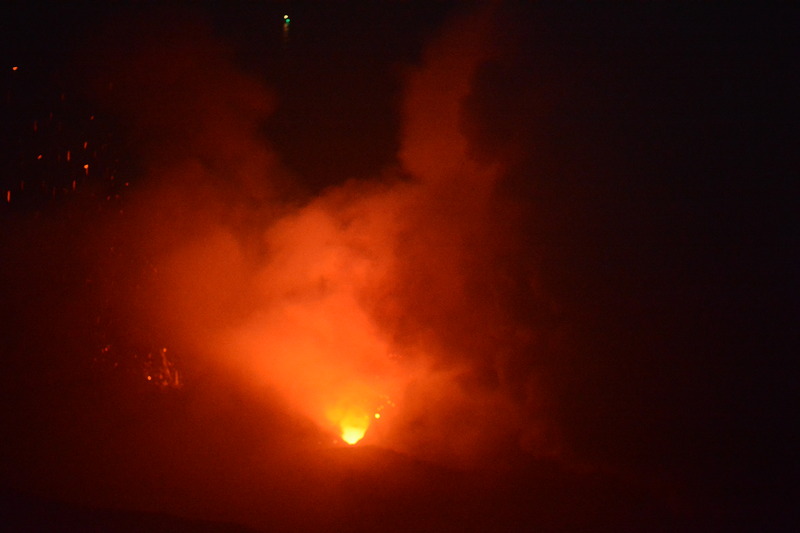 We will then spend time there watching the spectacular eruptions of Stromboli by night, before returning to the town. 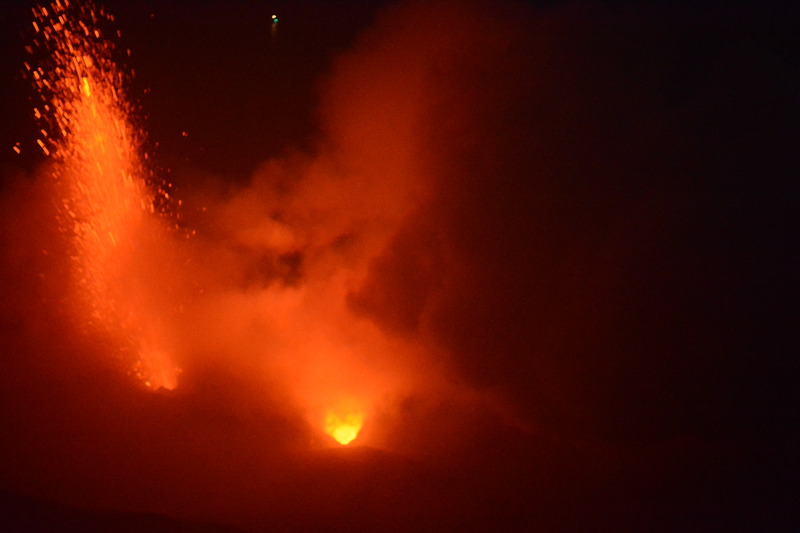 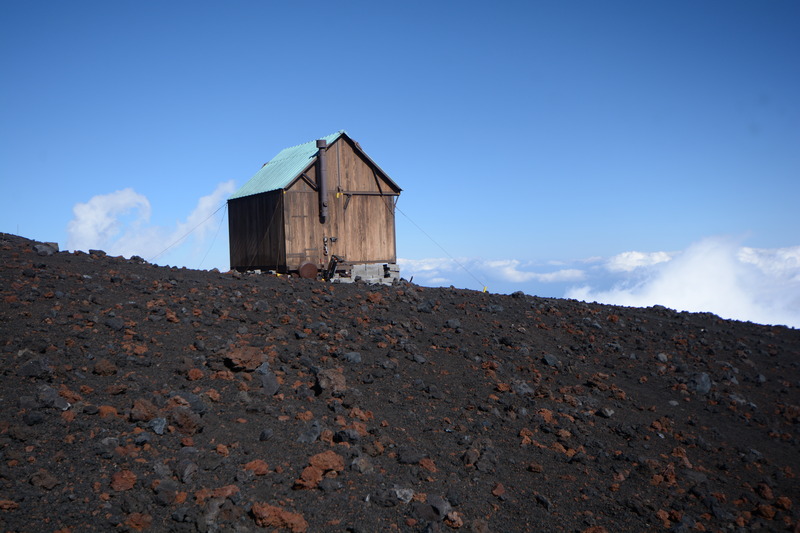 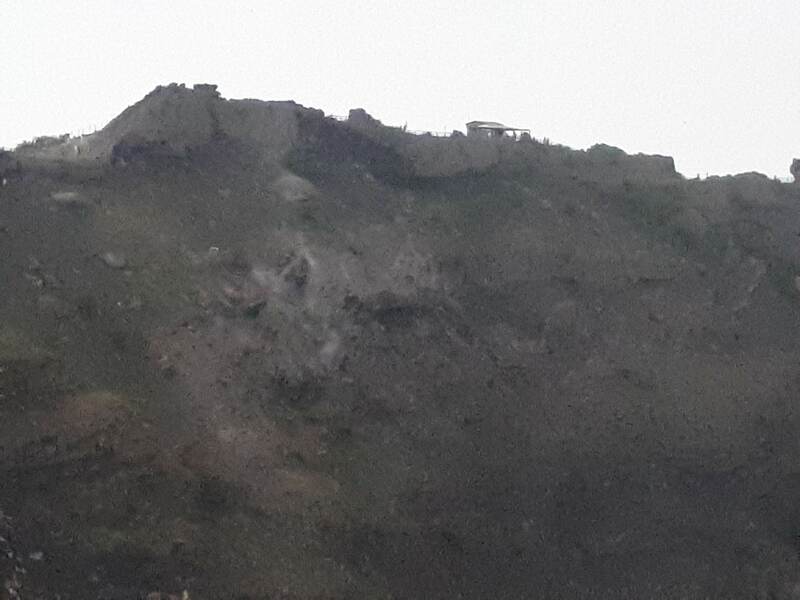 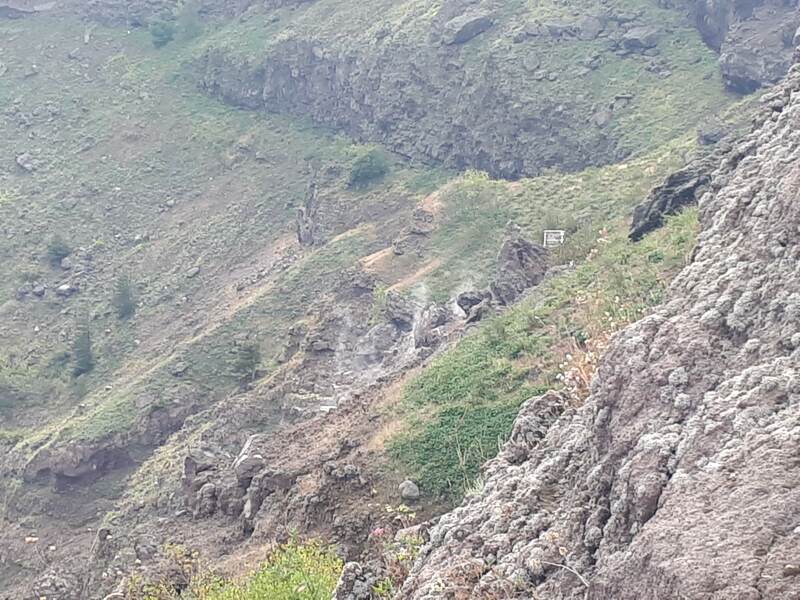 Those who do not feel up to the climb may wish to watch the eruptions from below by taking a short low-level walk to the Observatory (a pizzeria with a terrace giving good views of the eruptions). 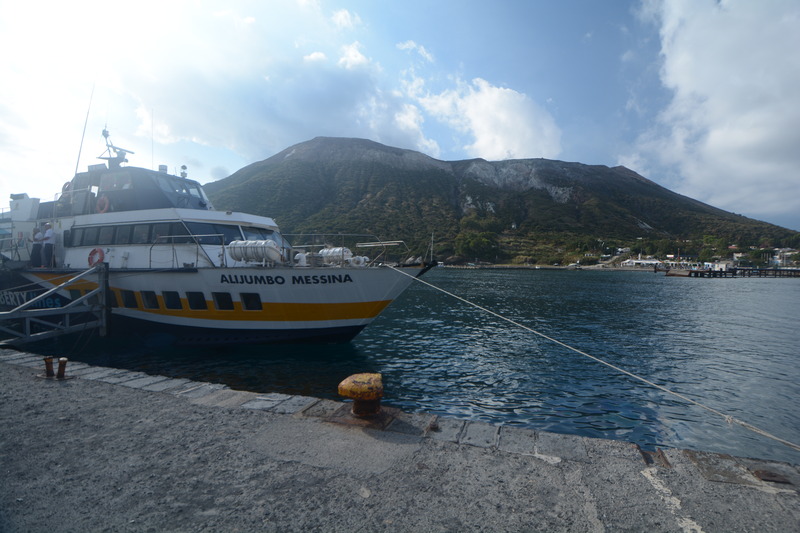 We then take the boat back to Lipari where we spend a second night. 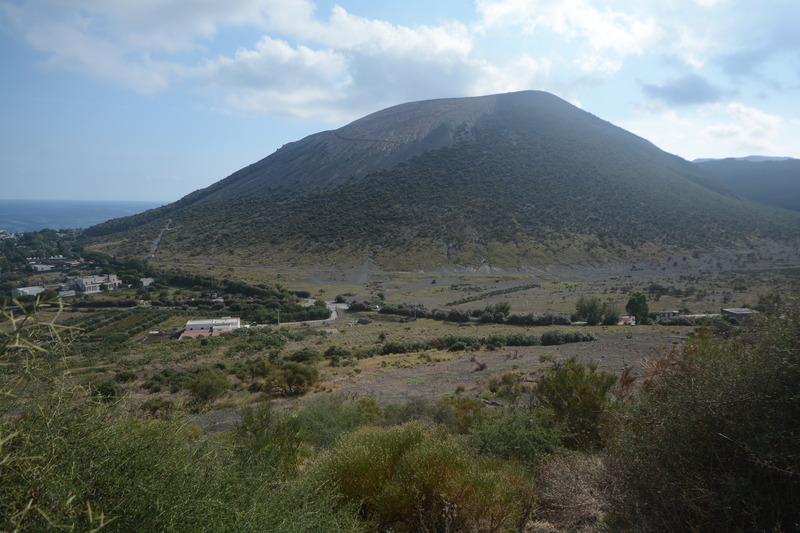 Day 7 - Vulcano. 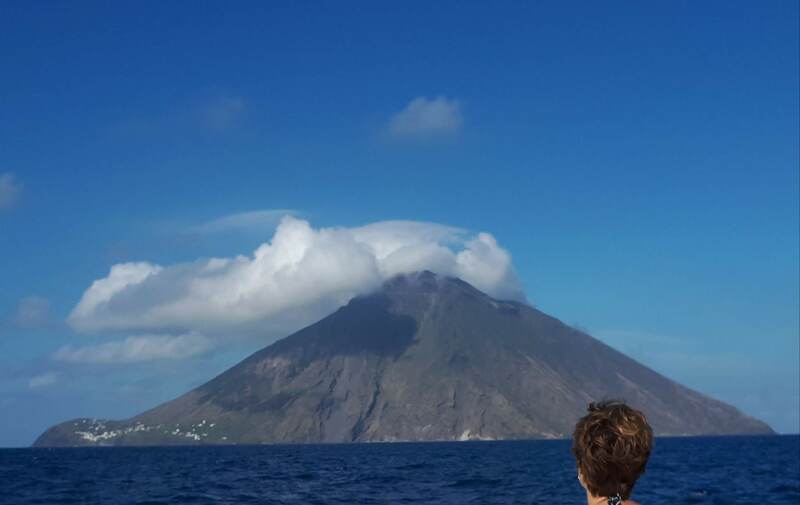 In the morning we take the hydrofoil to Vulcano, the island and volcano that lends its name to all the world's volcanoes. 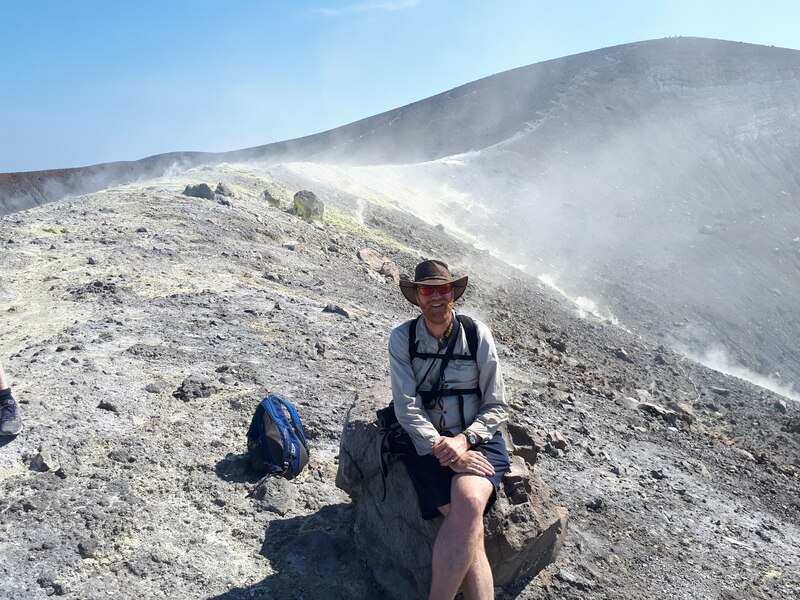 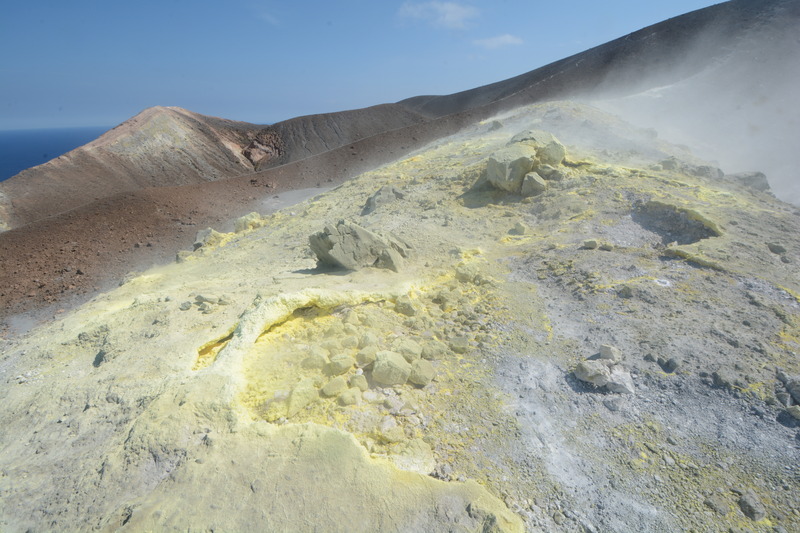 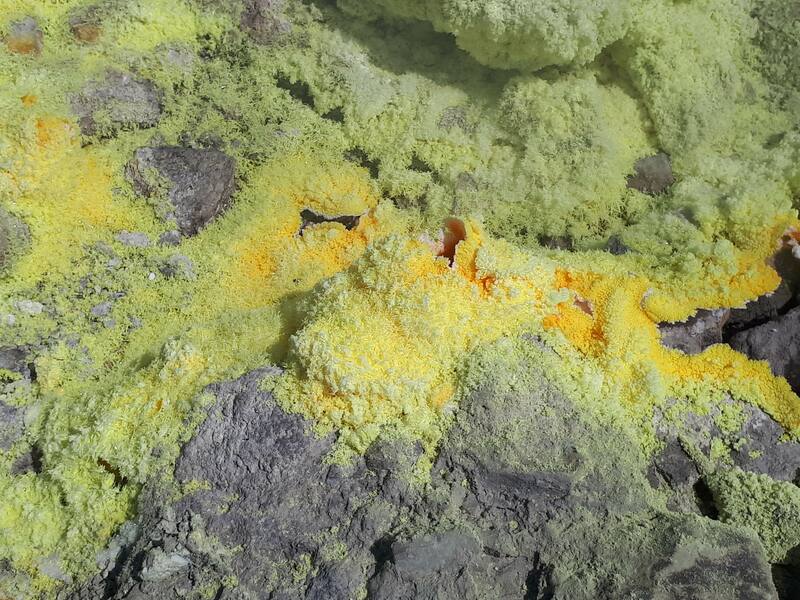 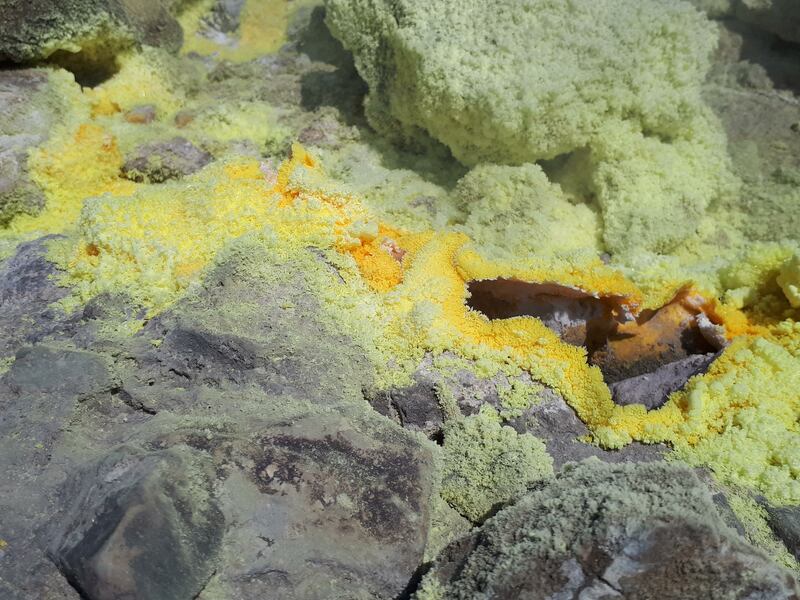 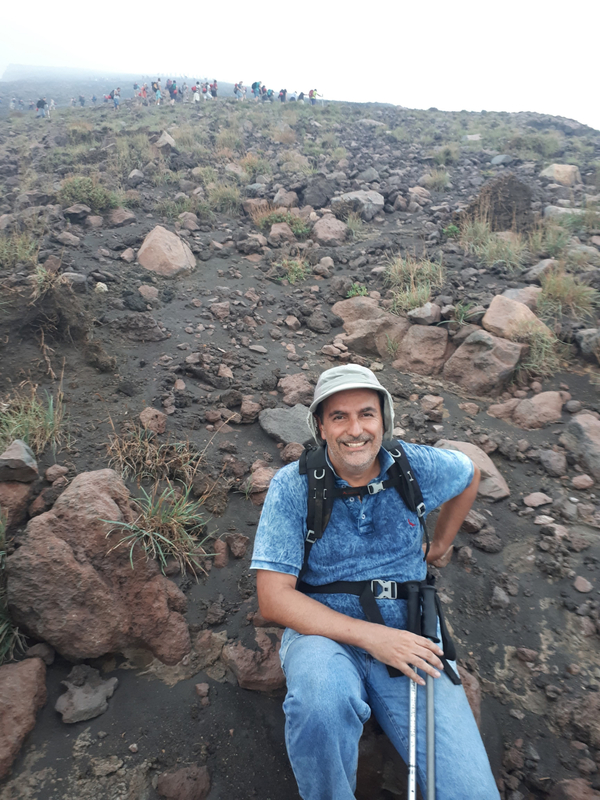 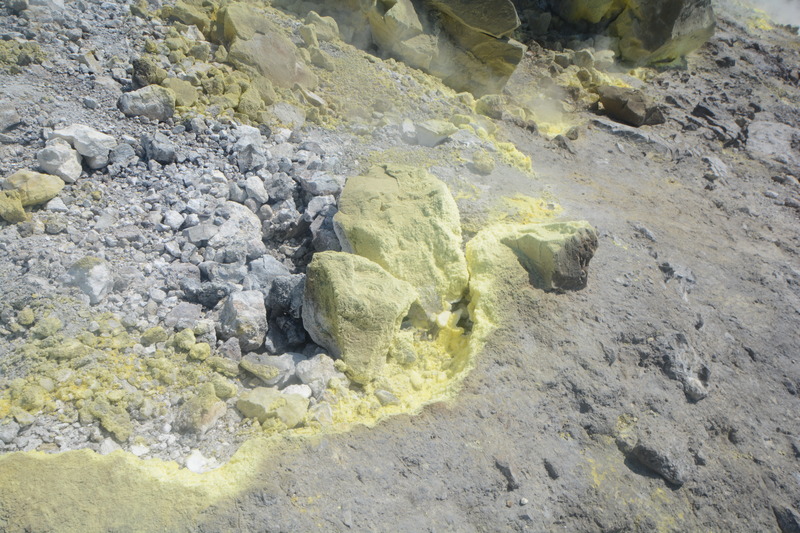 First we climb the spectacular summit crater and see fumeroles and lava flows, and then we descend and bathe in bubbling hot springs and mud pools. 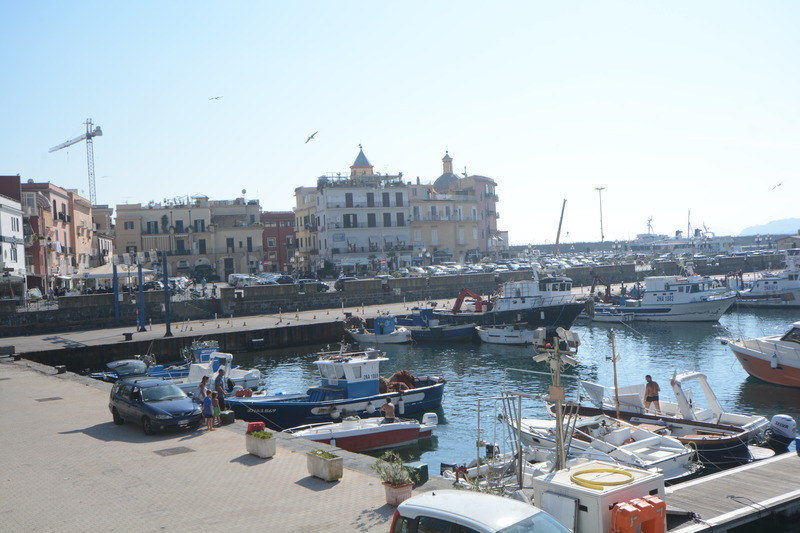 At the end of the day we take the hydrofoil to Milazzo on Sicily where we spend the night. 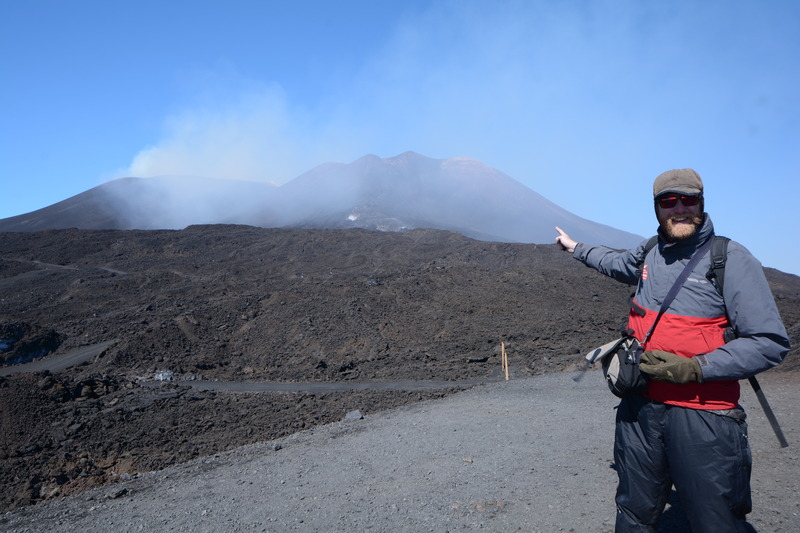 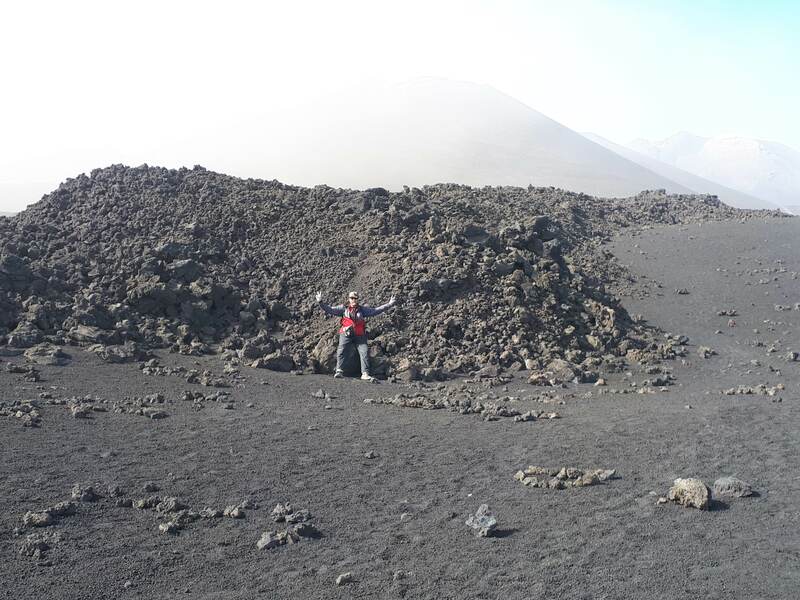 Day 8 - Mount Etna. 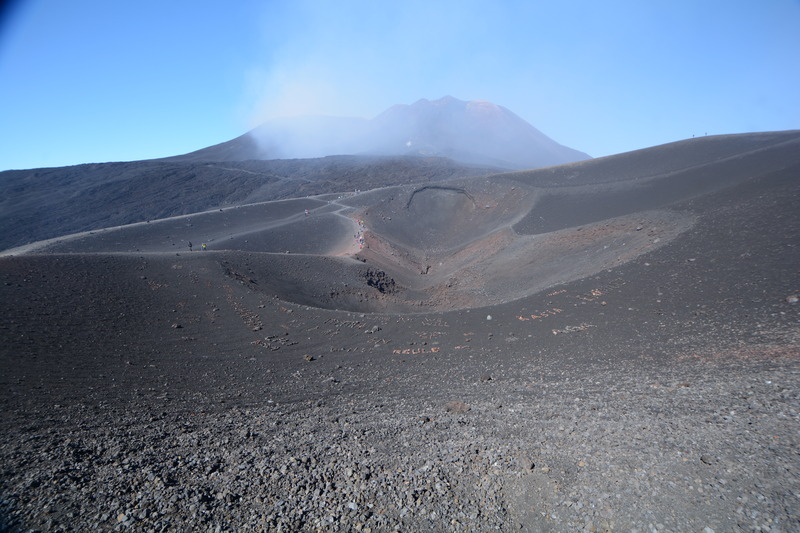 Today we visit Mount Etna volcano. 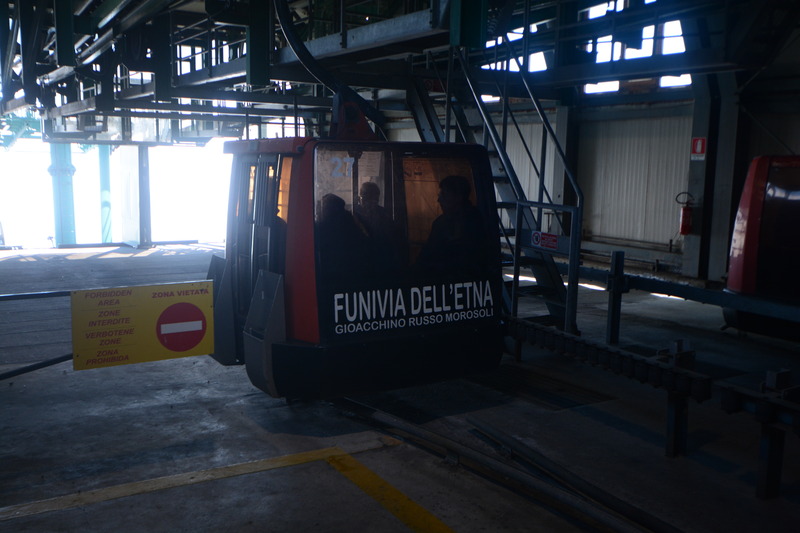 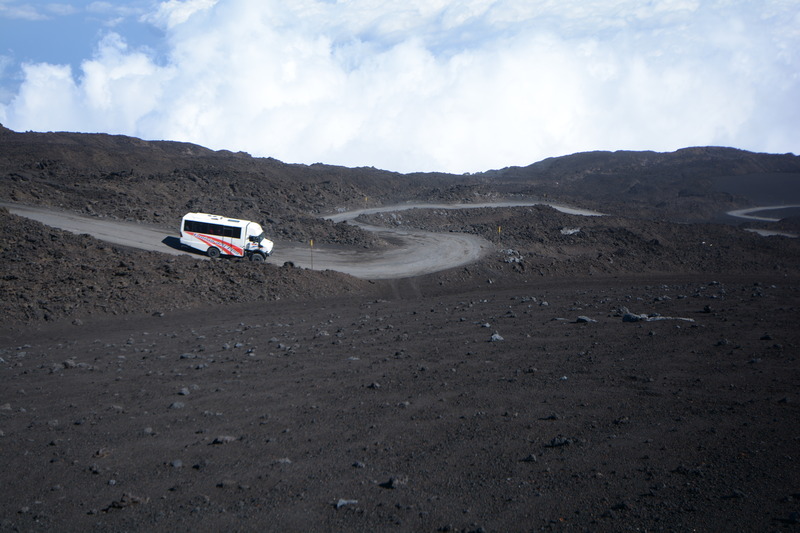 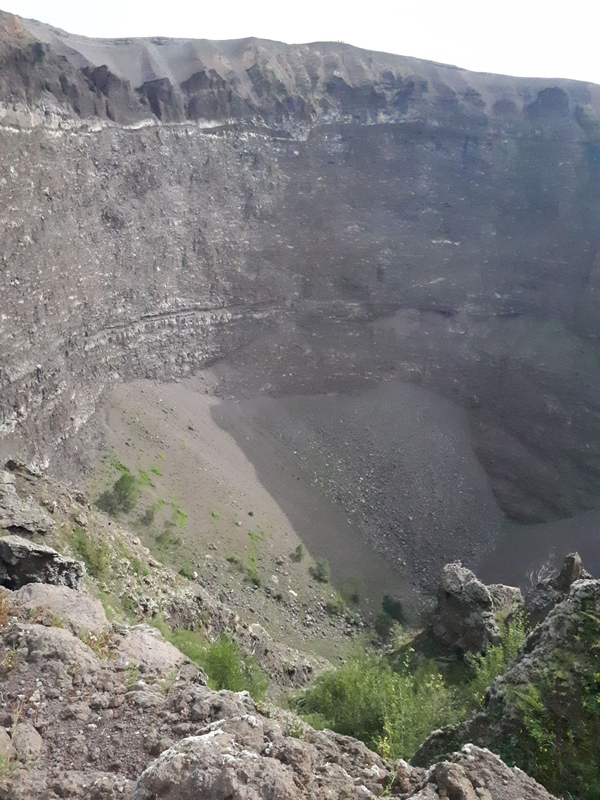 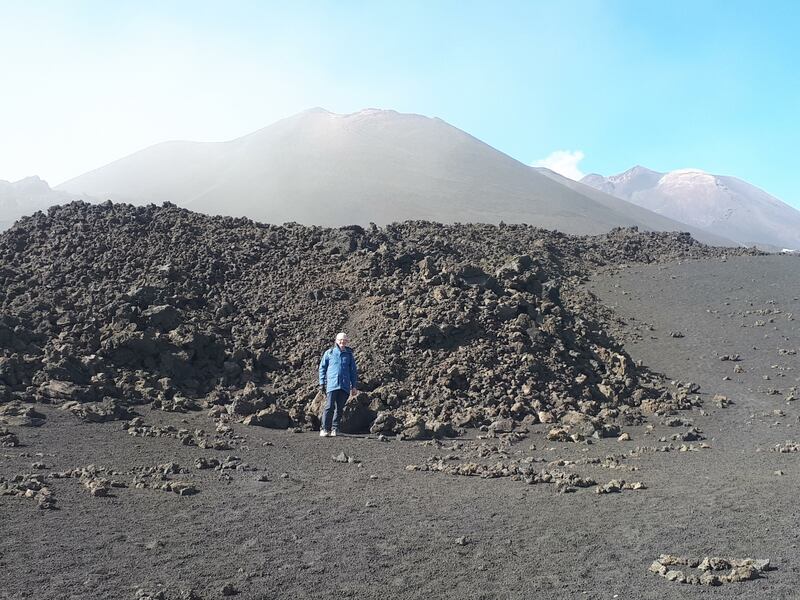 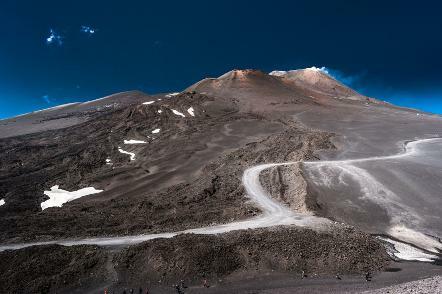 We drive to the Rifugio Sapienza and then take the cable car and four-wheel drive bus to a place near the south-east crater. 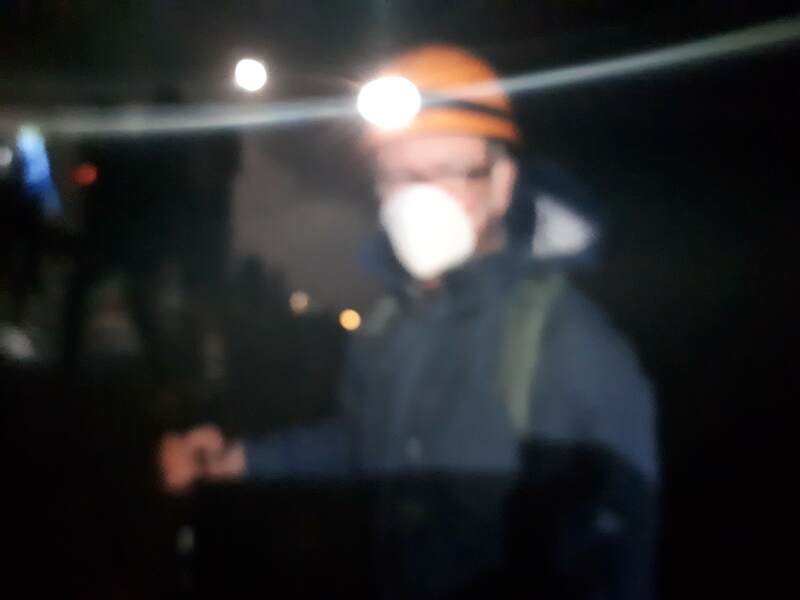 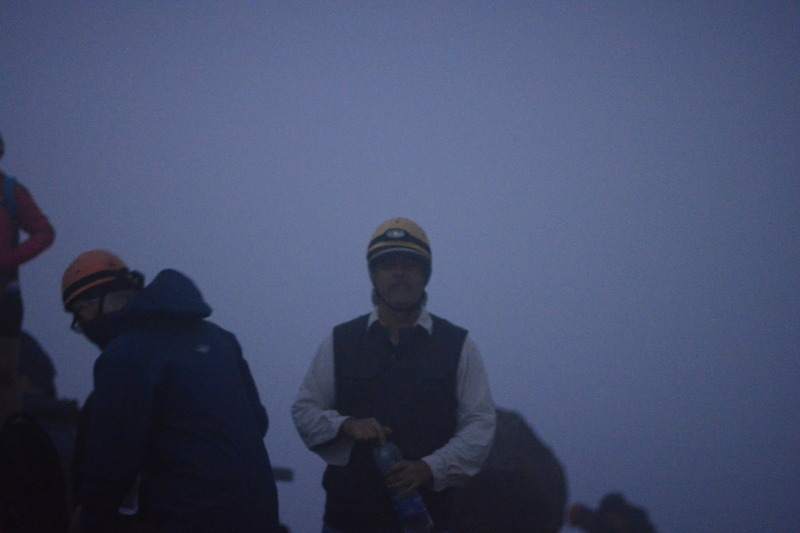 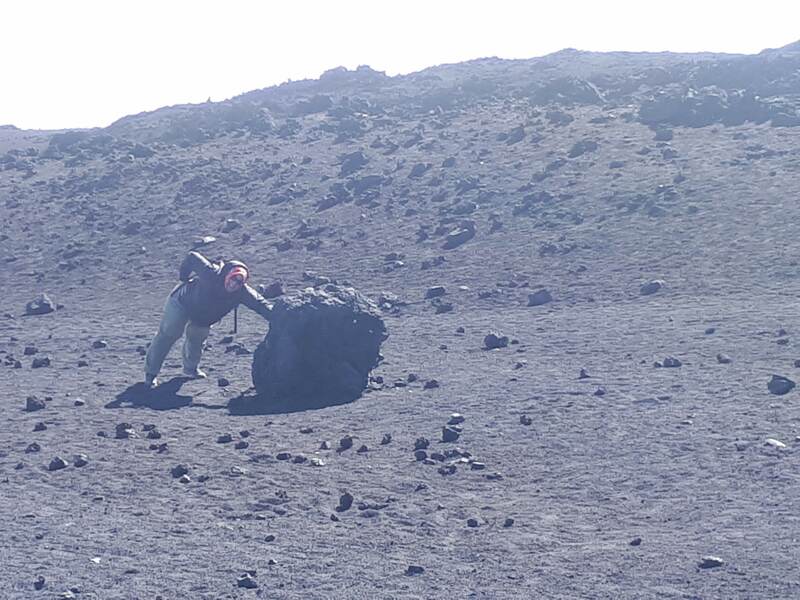 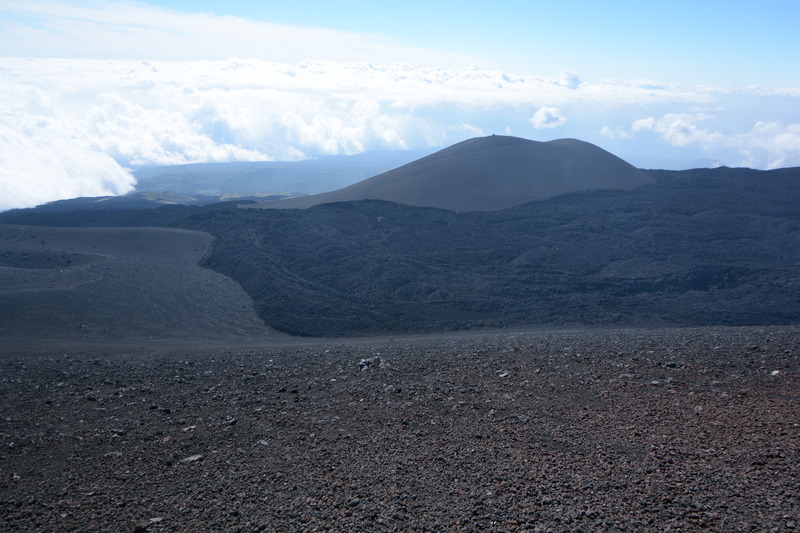 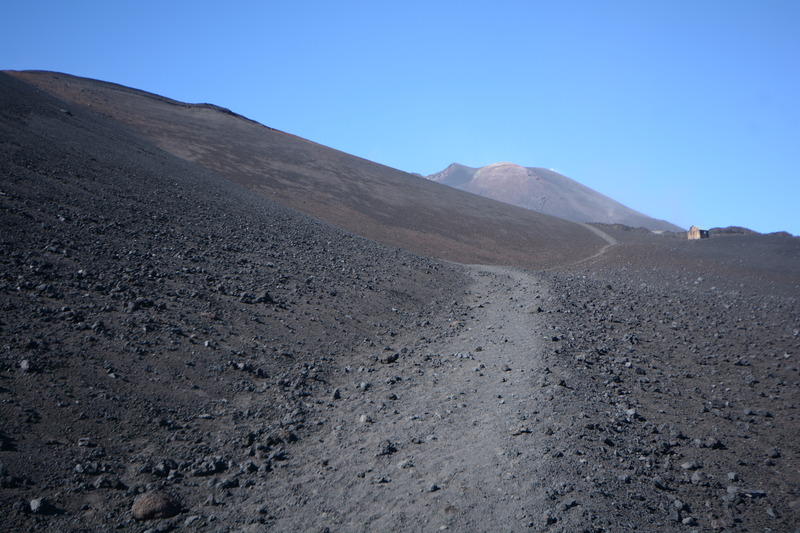 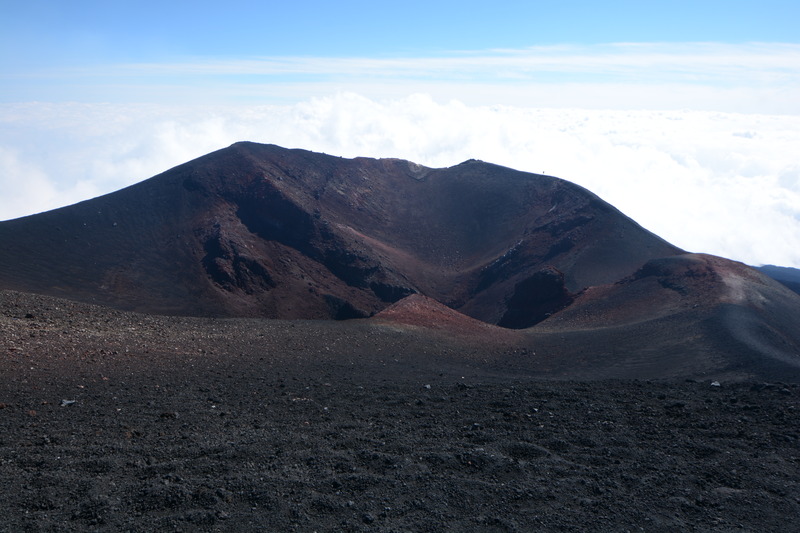 From there a guide will walk with us to near the summit of the volcano. 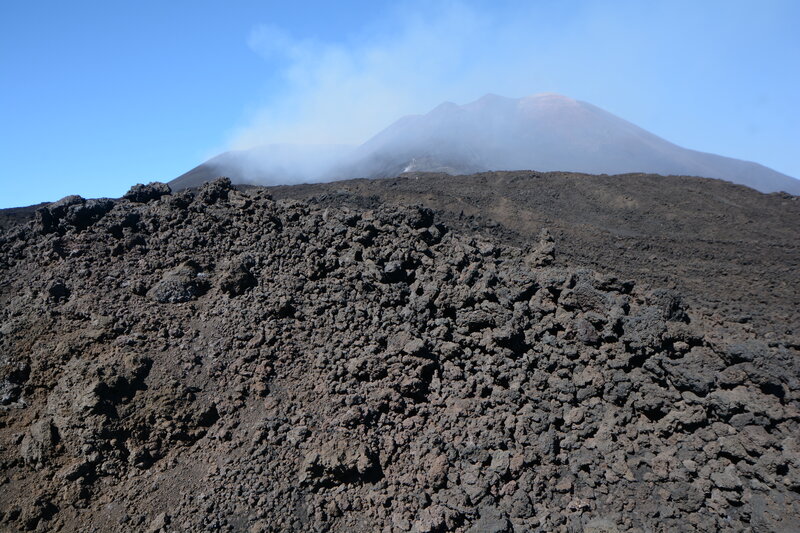 On our way we will see lava flows, steaming vents and fumeroles. 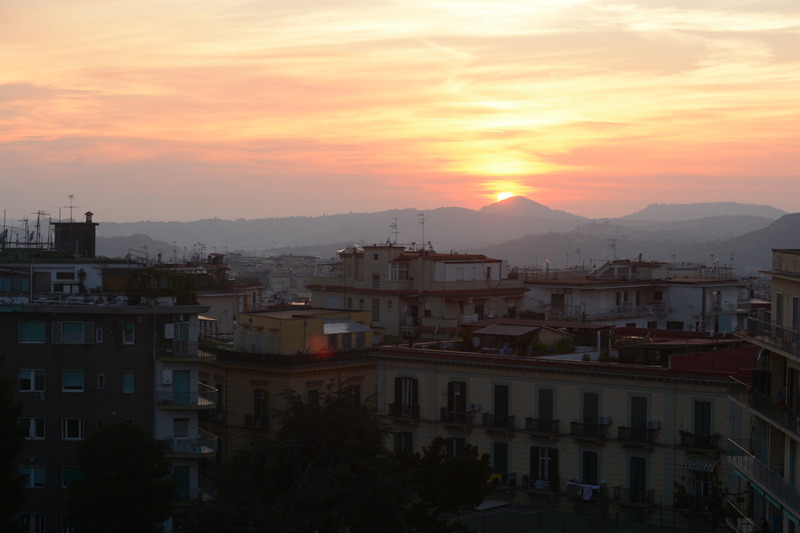 We spend the night in Catania. 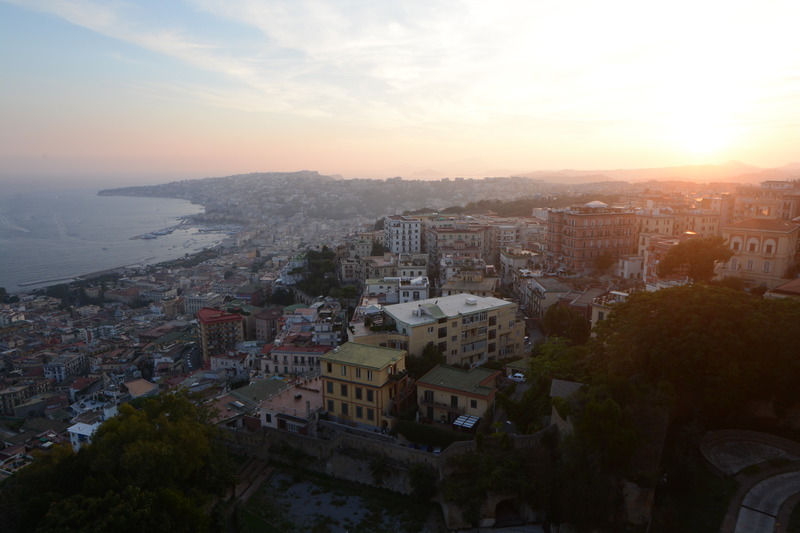 Day 9 - Depart from Catania. 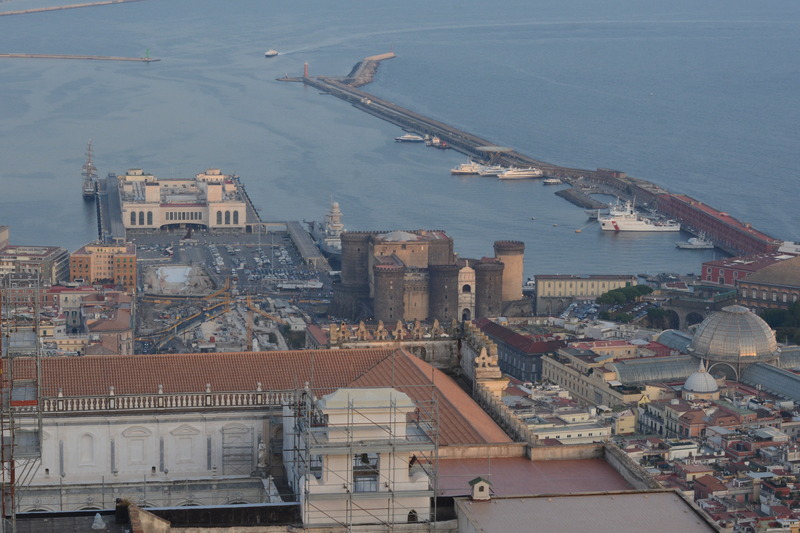 There are direct flights from Catania to the UK and many other destinations. 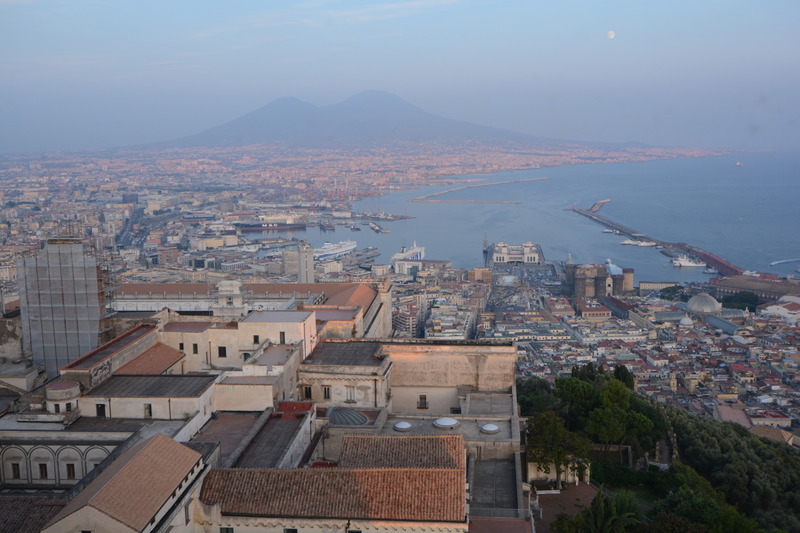 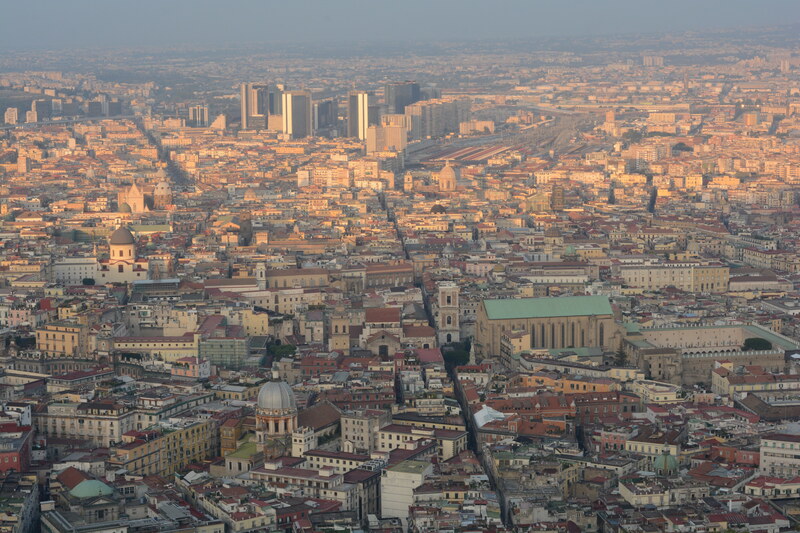 It is also possible tofly or take the train back to Naples. 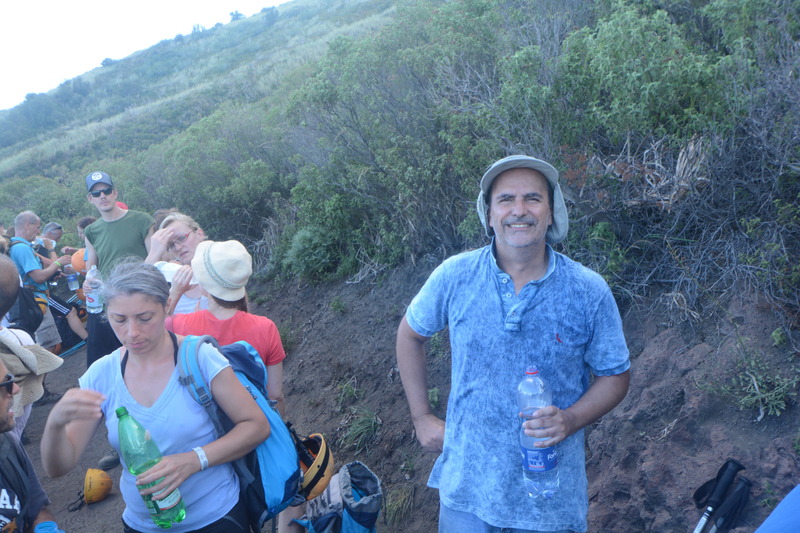 "A great trip. 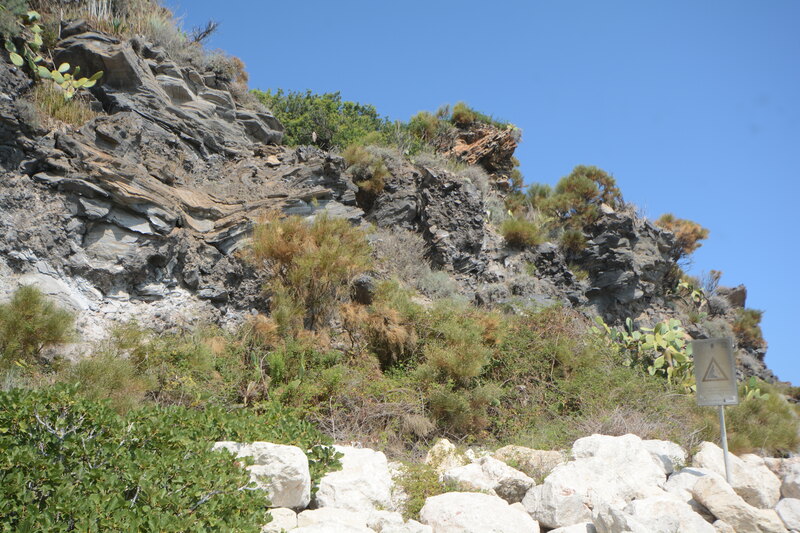 The amazing landscapes were brought to life by James's explanations. 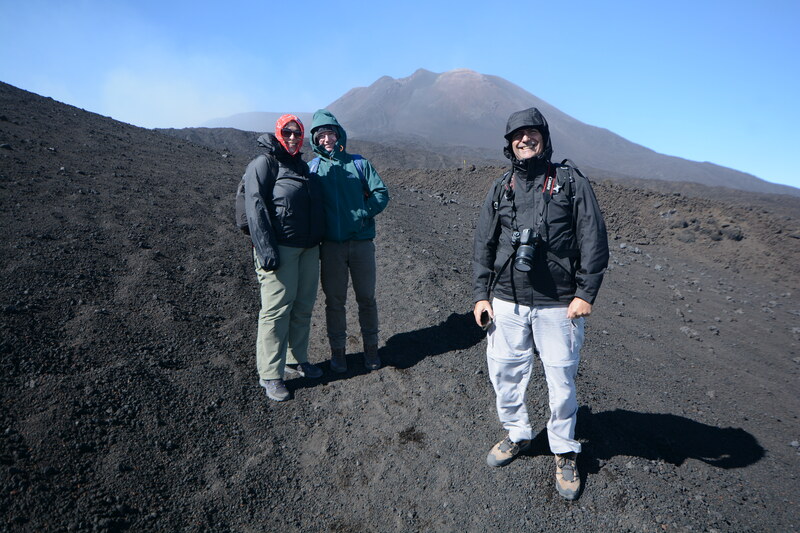 Climbing Stromboli at dusk to see the eruptions was the highlight of the trip, but every day was great. 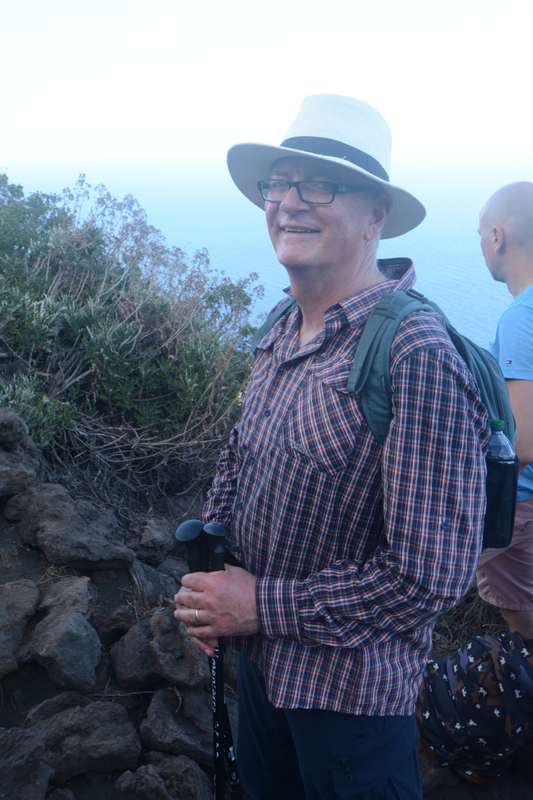 James was always cheerful and good company."